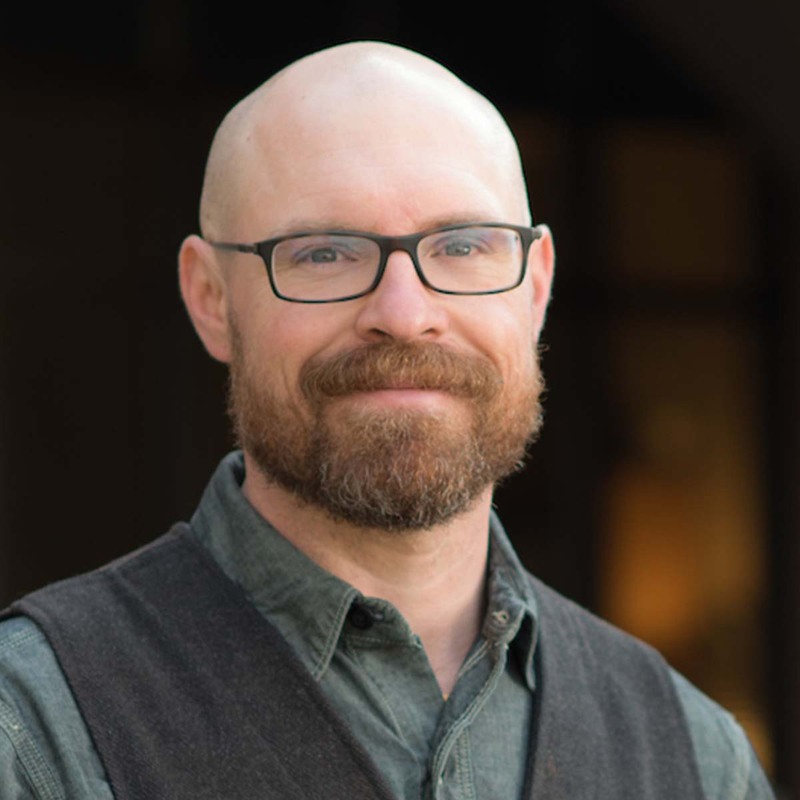 Ariel leads and facilitates collaborative, multidisciplinary and multifaceted applied research and education in community food systems and small farms for a six-county area which includes Payette, Gem, Canyon, Ada, Owyhee and Elmore. Jackie Amende, an Extension educator, specializes in family and consumer sciences for Canyon County. She is a registered dietitian nutritionist focusing on nutrition and health programming. 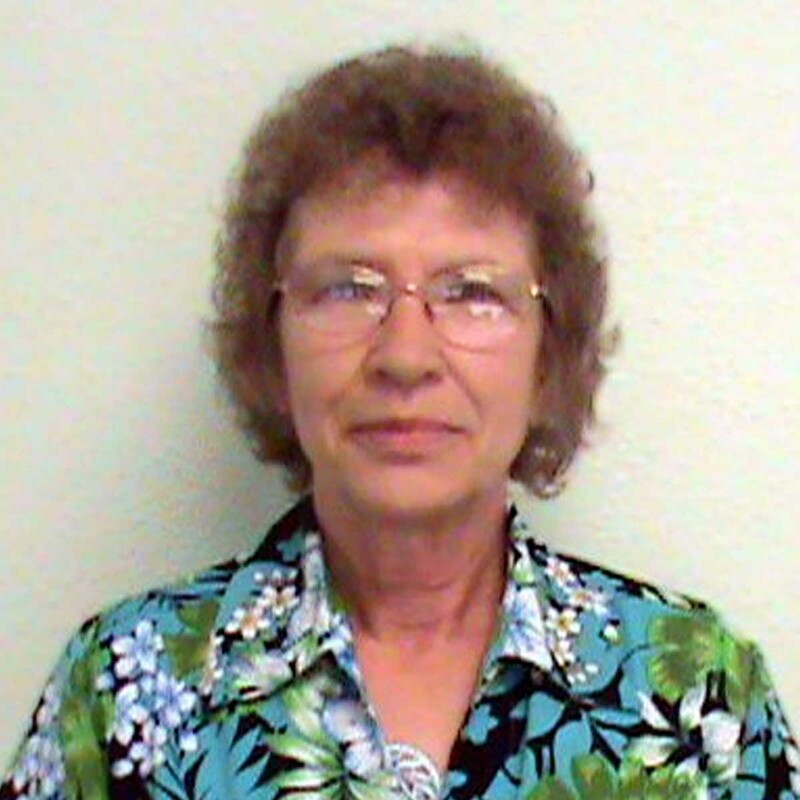 Rhonda maintains the office and the UI Extension, Benewah County website. Responsibilities: Fusarium Head Blight ratings, isolation and culturing pathogens and associated laboratory work, preparation of disease inoculum, disease ratings, sample collection and statistical analyses. I provide programming focusing on livestock, range management and 4-H youth development. I conduct educational beef cutting demonstrations that focus on end-product quality, and collect carcass data for numerous fairs. 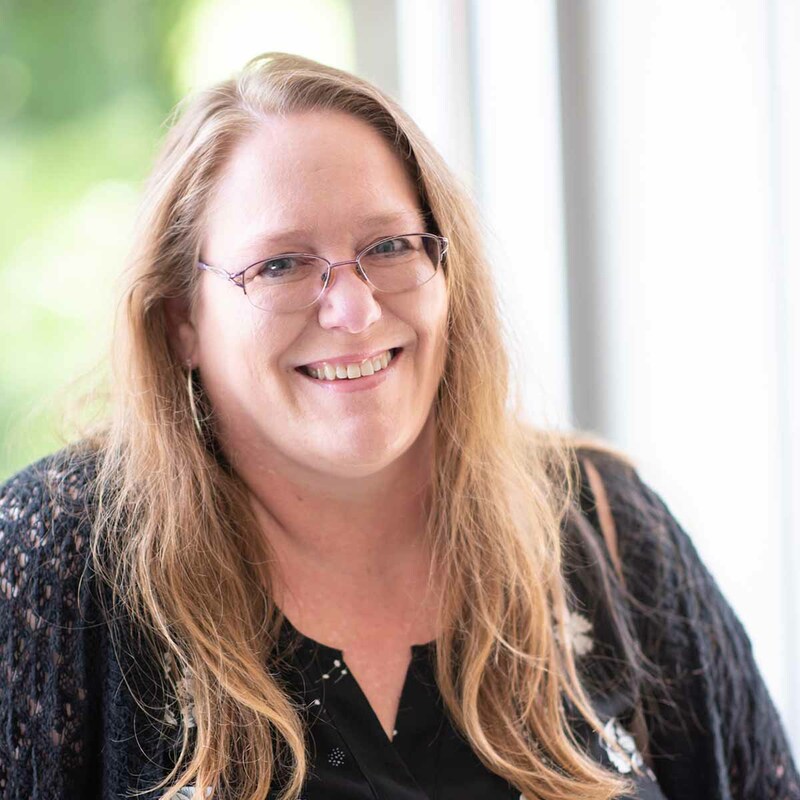 Teresa provides leadership for various aspects of day-to-day 4-H operations in Kootenai County, including enrollment, volunteer training, dog program and a variety of local educational events. 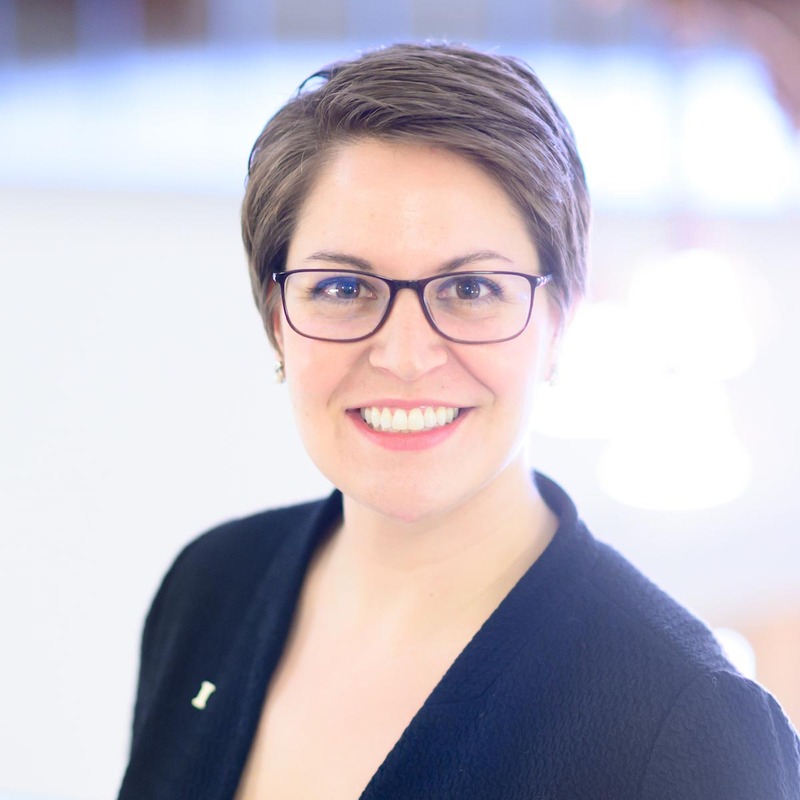 Mashelle’s mission is to motivate, involve and encourage 4-H youth and adults so they can build teamwork, self-confidence and succeed in ventures within the 4-H program. 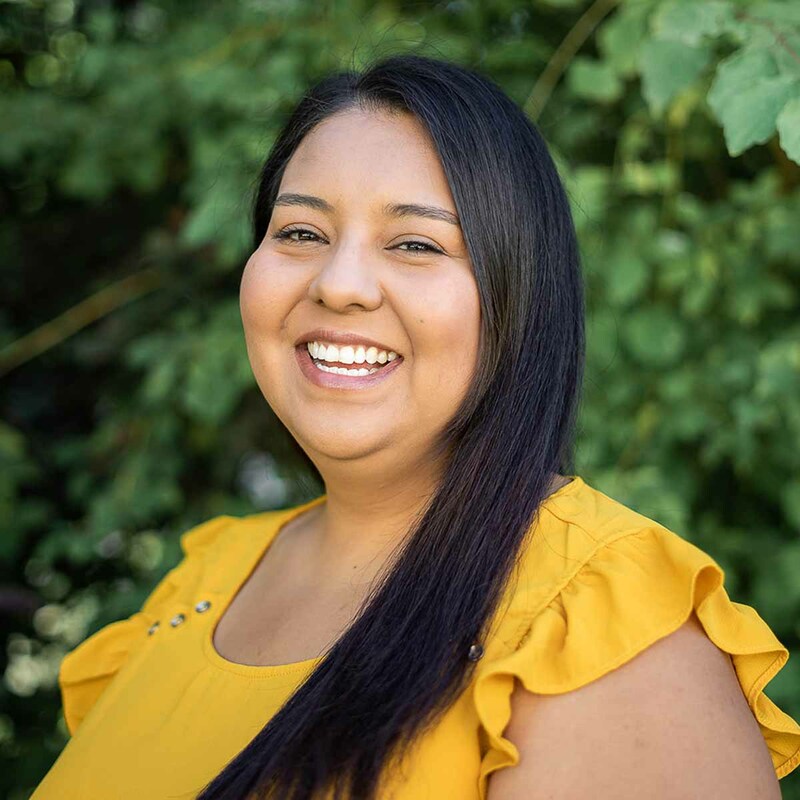 Mashelle graduated from cosmetology school and worked in the field for numerous years before earning an associate’s degree from the College of Southern Idaho, followed by a bachelor’s in human resource development from Idaho State University. 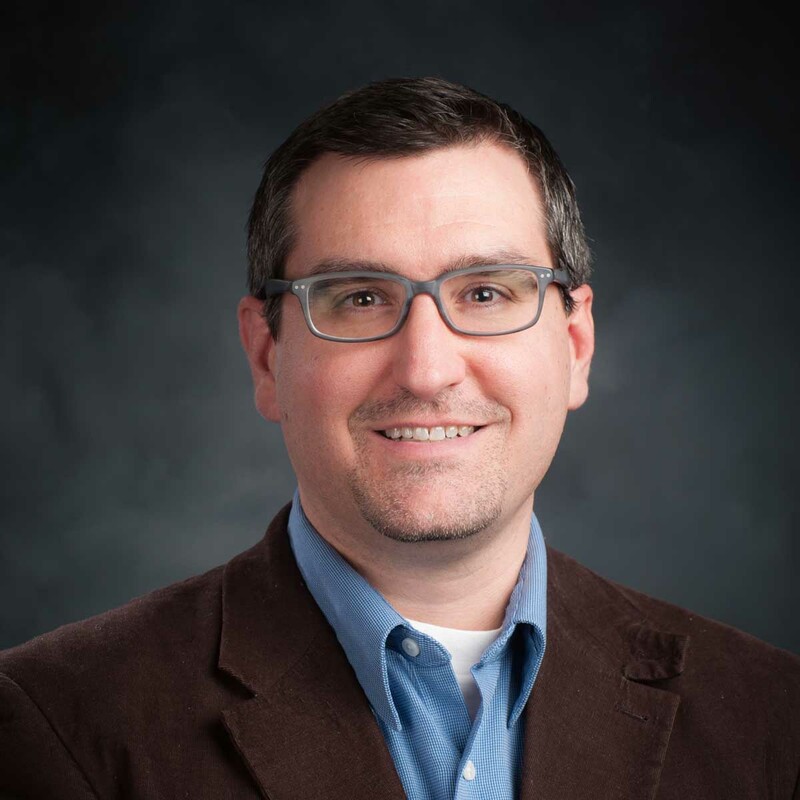 Phil is an assistant professor in the Animal and Veterinary Sciences Department where he will teach classes, and conduct applied research in meat quality with an emphasis in beef. 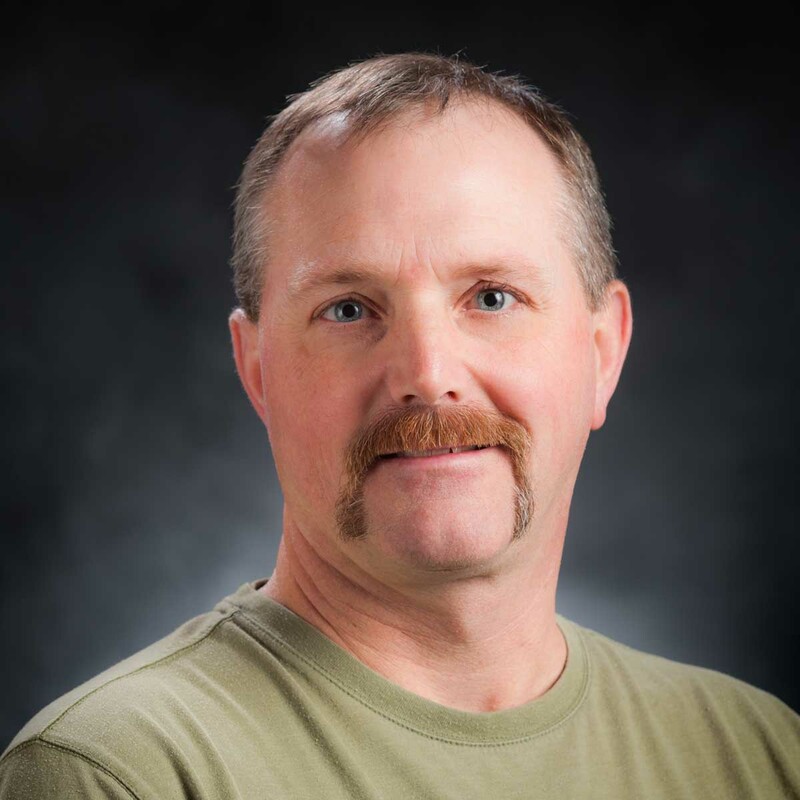 Phil will use his industry experience to teach and advise students and others involved in the Idaho and Pacific Northwest meat production and processing community. 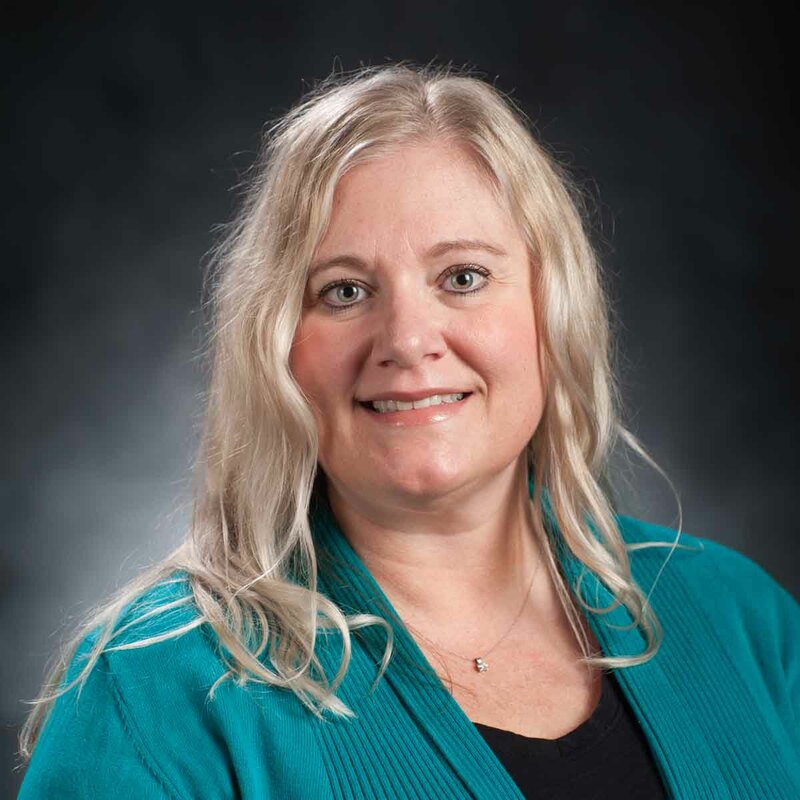 Ms. Baumgartner currently serves as the Affiliate Partner for FIRST LEGO League Jr., FIRST LEGO League and FIRST Tech Challenge programs in Idaho. 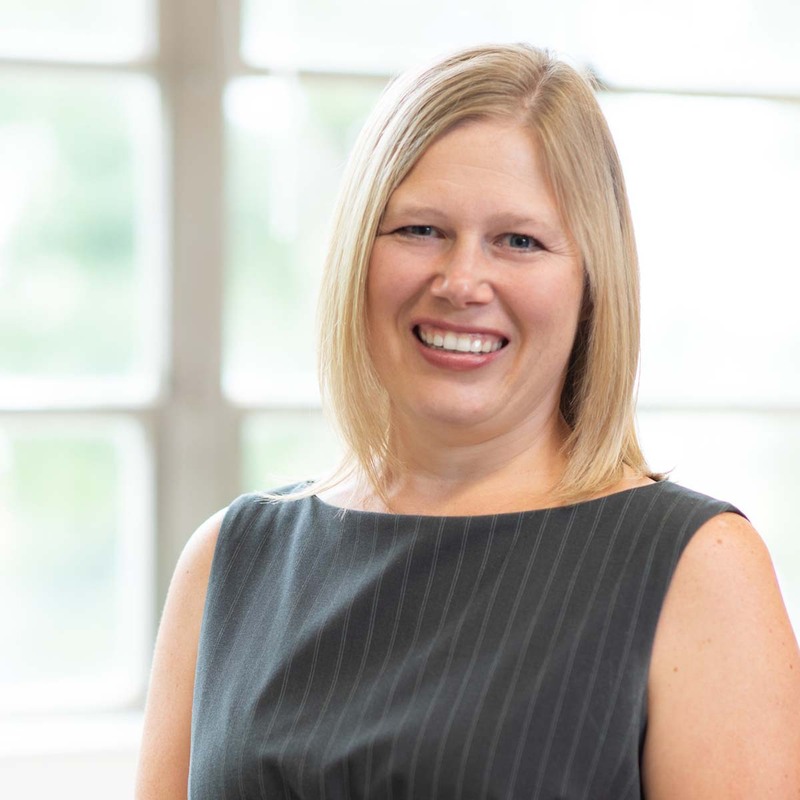 Directs the nationally accredited dietetics program, leads development efforts of the dietetics program, recruits and advises dietetics students, and teaches food and nutrition courses. 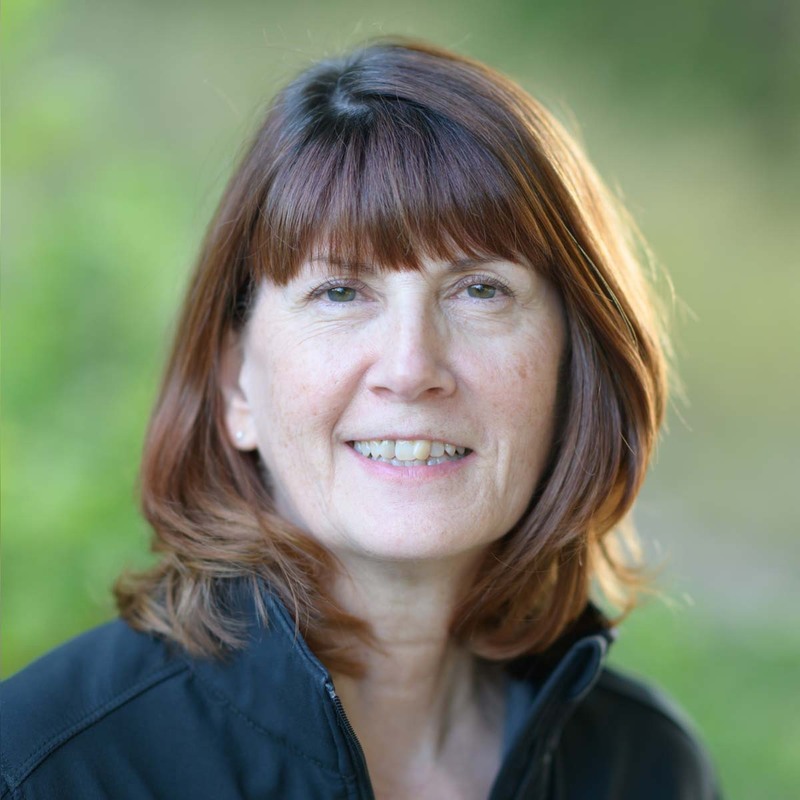 Susan is a leader in consumer and commercial horticultural education and provides practical educational programming for Ada County (Boise) and surrounding counties. 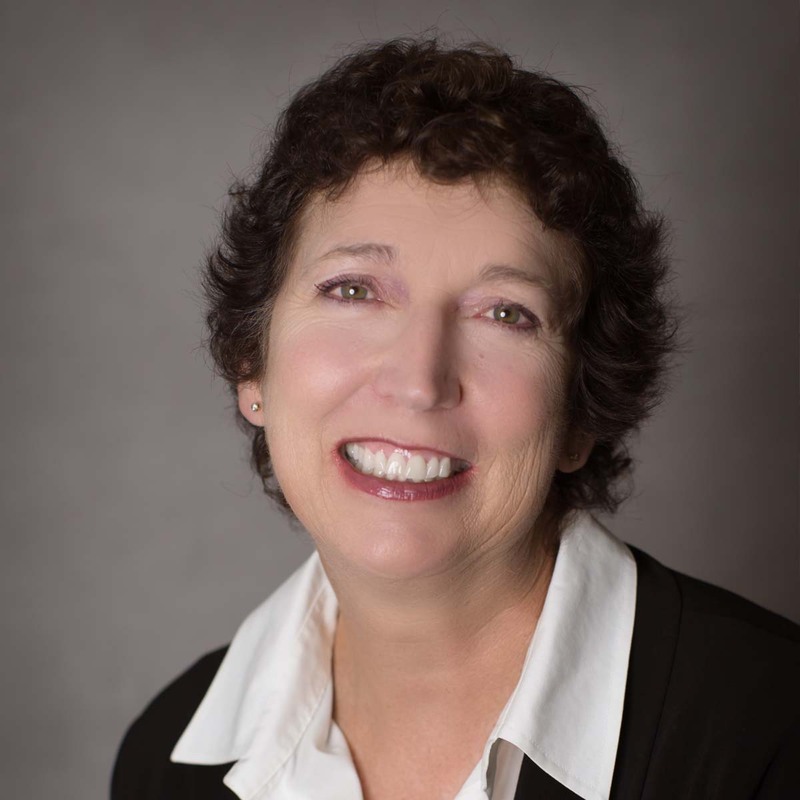 Susan collaborates with Extension faculty in southern Idaho and eastern Oregon, along with state and county agencies, city departments, and private businesses and civic groups to deliver programming. She directs a variety of Idaho Master Gardener programs and trains and supervises 100 volunteers annually. 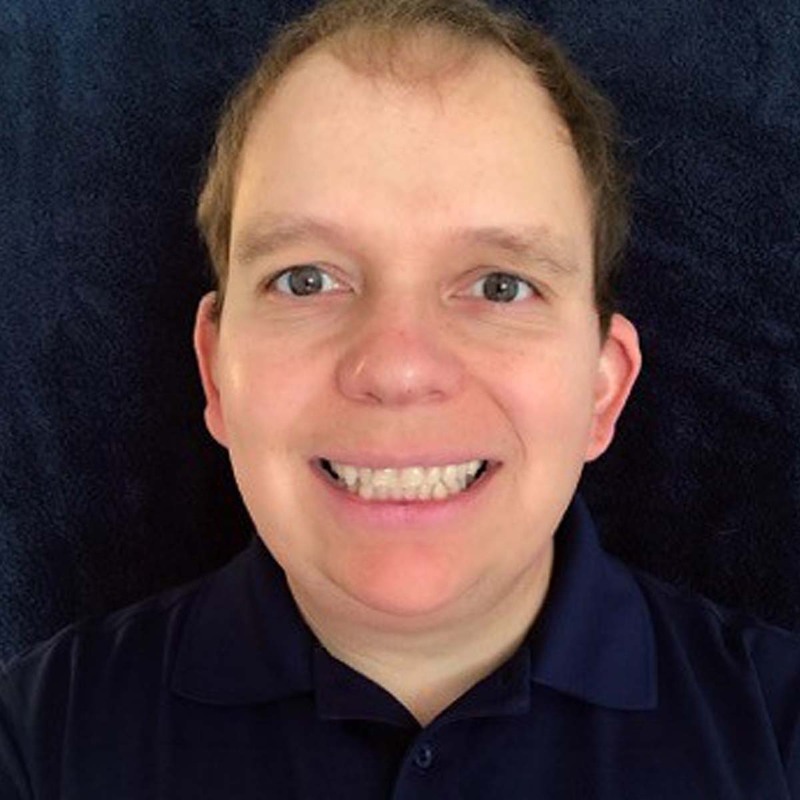 Andrew is an Extension educator with a focus on financial management. 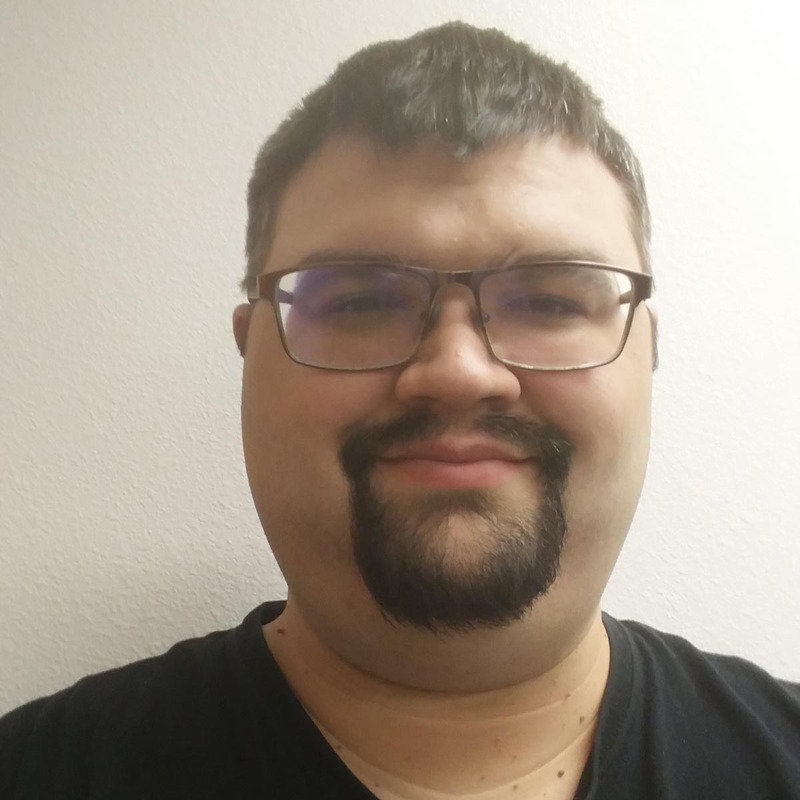 Based in Ada County, Andrew works with community partners to provide financial literacy programs to individuals in need. Hovde Bohach’s area of expertise is infectious disease with emphasis on the foodborne pathogen E. coli O157:H7. Primary interests are in the relationship of this human pathogen with healthy cattle. 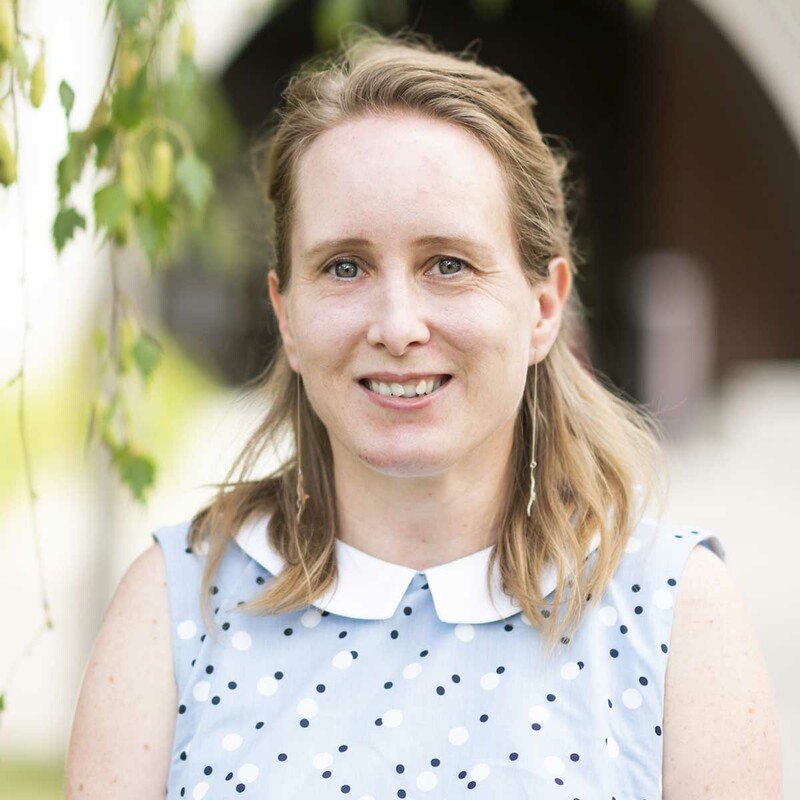 Karie specializes in rural development sociology, resource governance, food systems and social change. 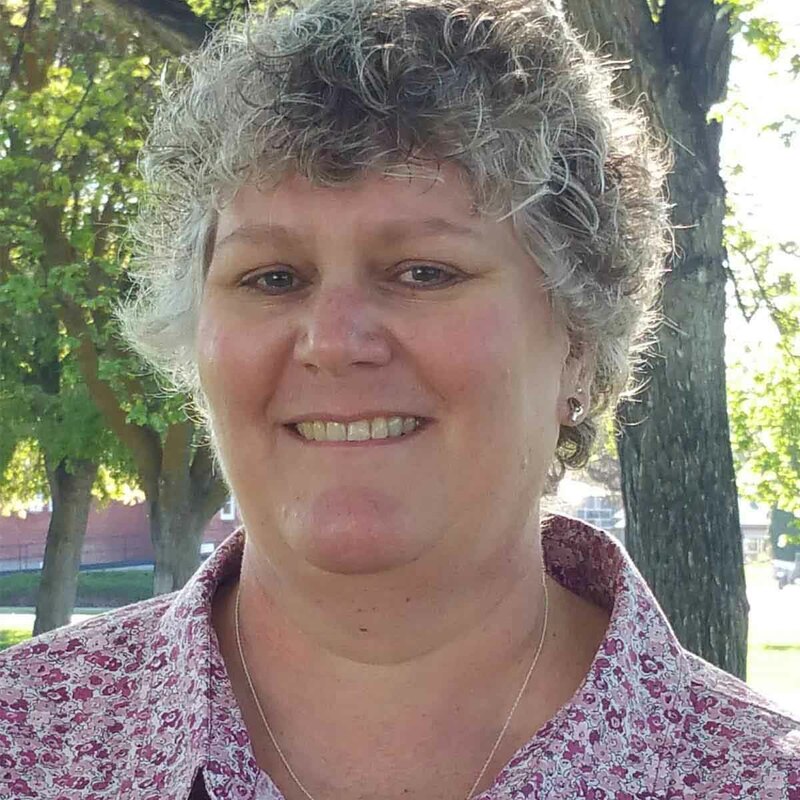 She will be planning and leading small farms educational programs for residents in Payette and surrounding counties. 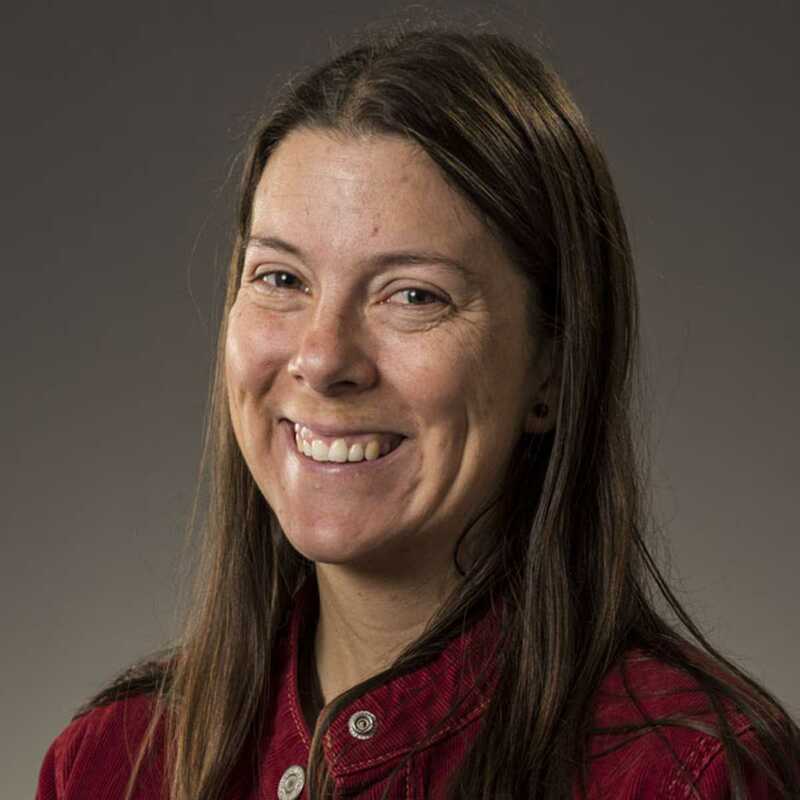 Erin is an agricultural engineer by training and is a licensed professional engineer in civil engineering in the state of Idaho. 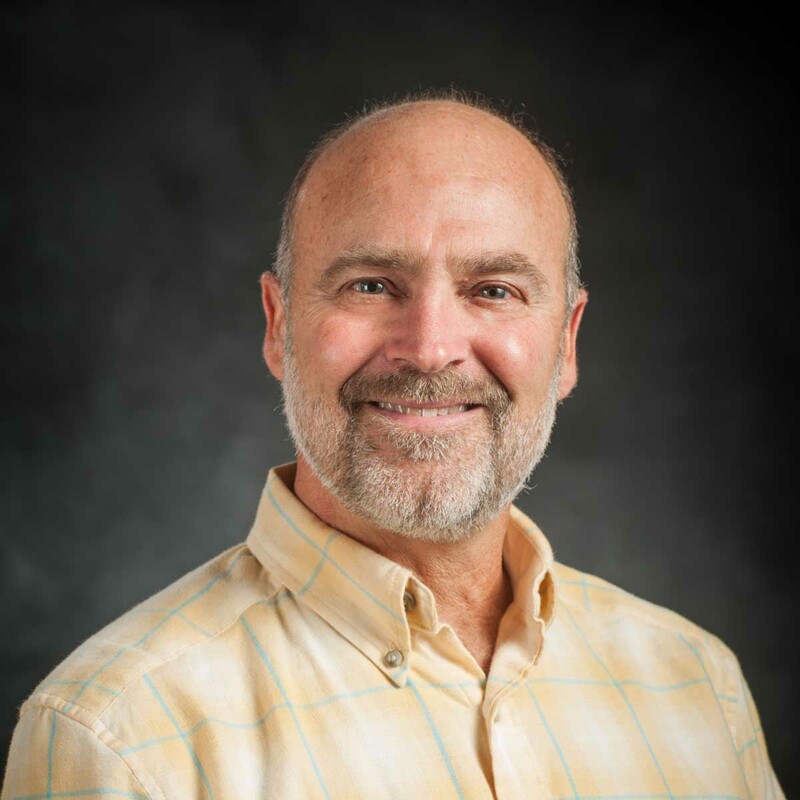 His research and teaching focuses on landscape hydrology, erosion, water quality, nutrient transport and cycling in forested and agroecosystems. 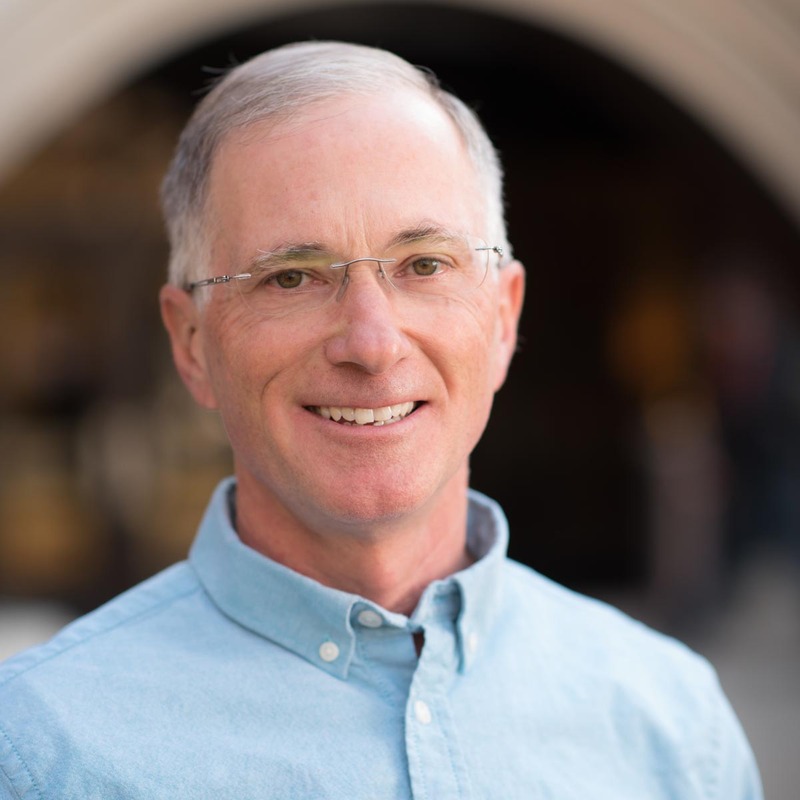 Brumbaugh’s teaching experience includes large animal internal medicine, respiratory physiology, veterinary pharmacology and veterinary clinical pharmacology. 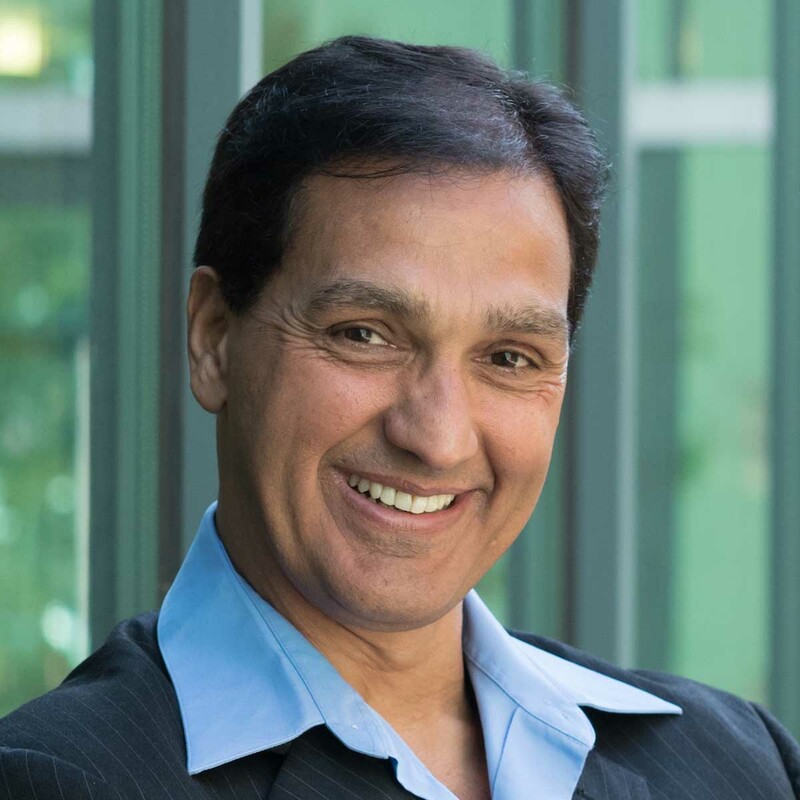 He advocates for proper application of evidence-based medicine because it provides a means to incorporate critical, analytical evaluation of results of valid research into clinical decisions. 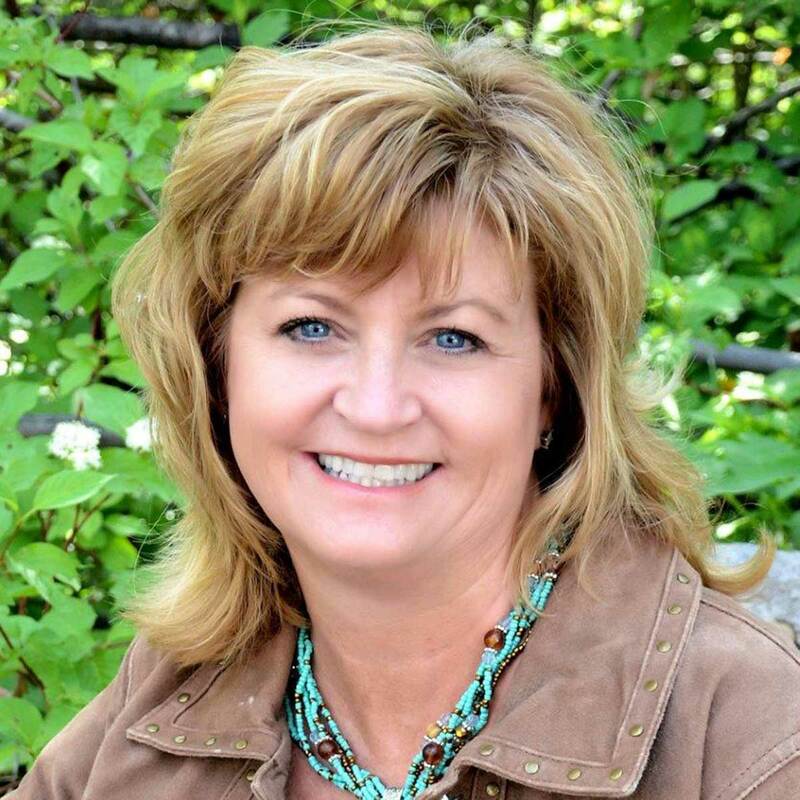 Julie's programming areas include health, nutrition, food safety, 4-H youth development and Bingham county chair. 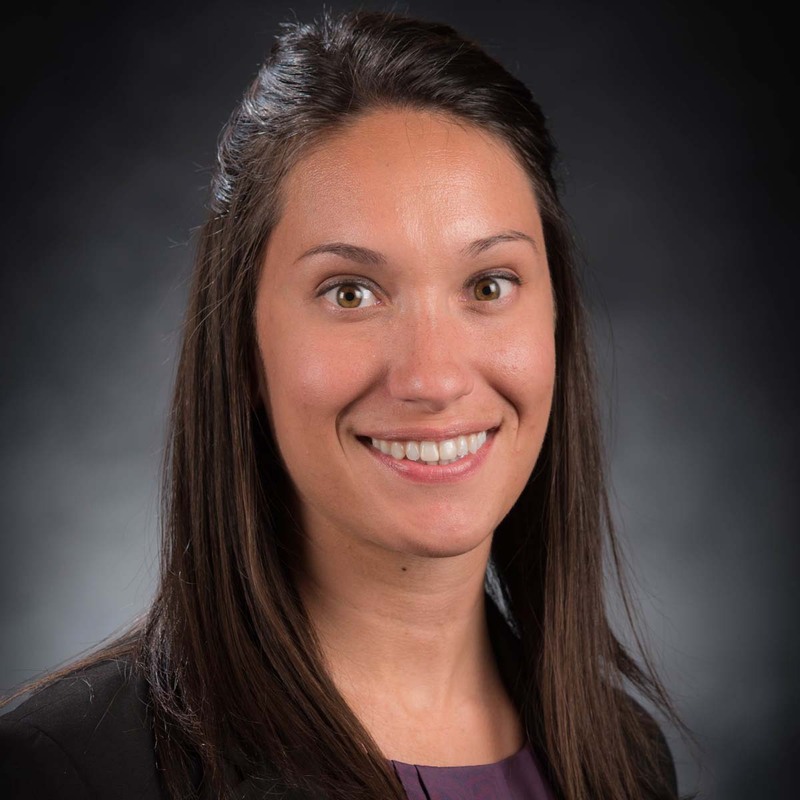 Julie is a registered dietitian nutritionist and worked as a nutrition faculty member at Brigham Young University Idaho prior to her work with University of Idaho. Jeni grew up on a farm in Minidoka County. She was very active in 4-H, taking on all sorts of projects, with her favorite being sheep. 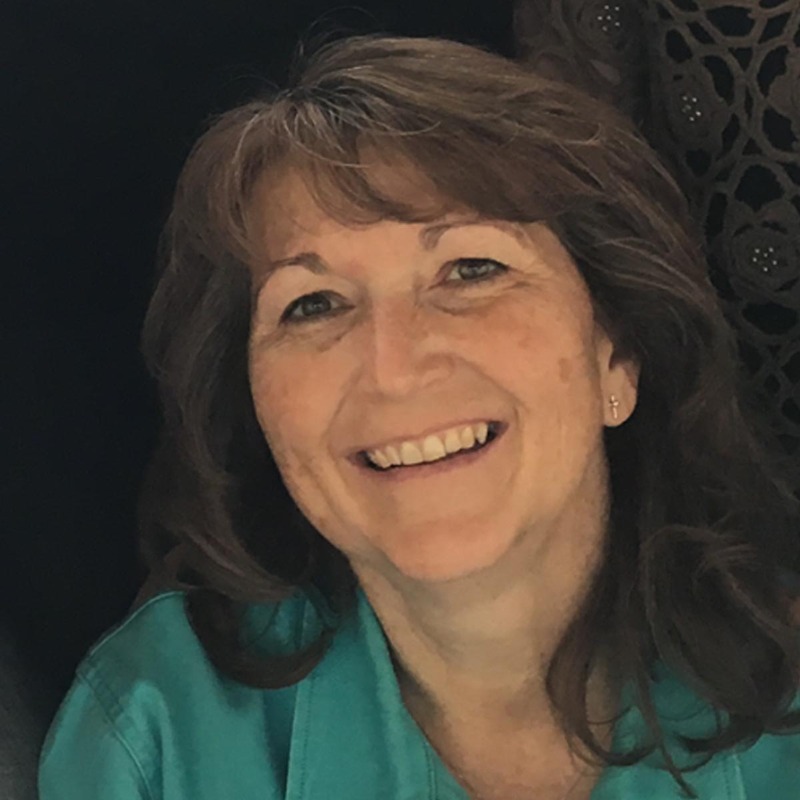 After many years of picking rock and thinning sugarbeets, she attended Boise State University’s Technical School in Business and Office Education. 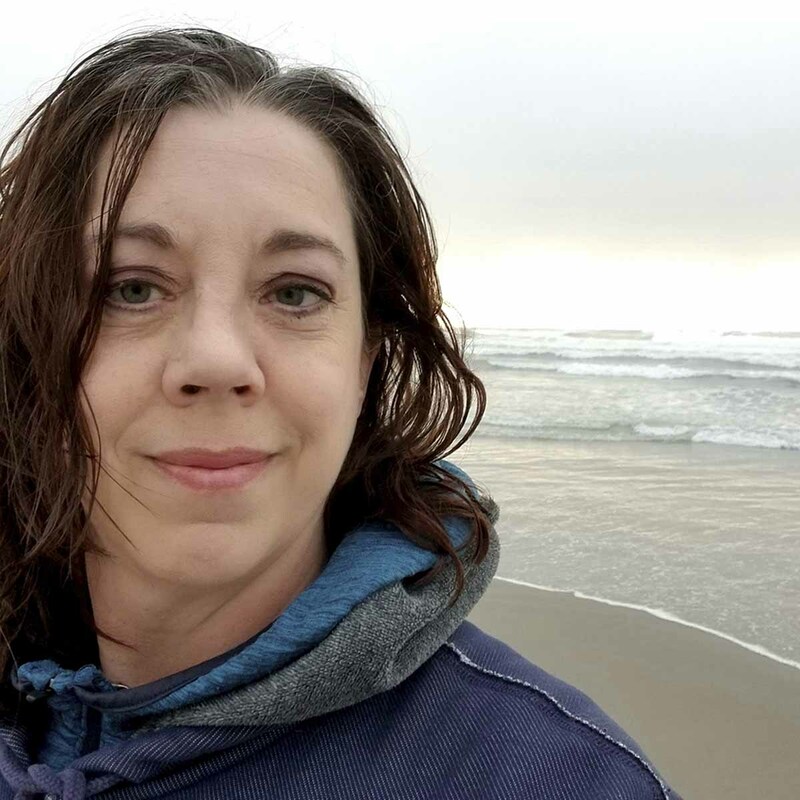 Jeni was ecstatic to be hired as Minidoka County’s 4-H program coordinator in 1993 and continues to “Make the Best Better." 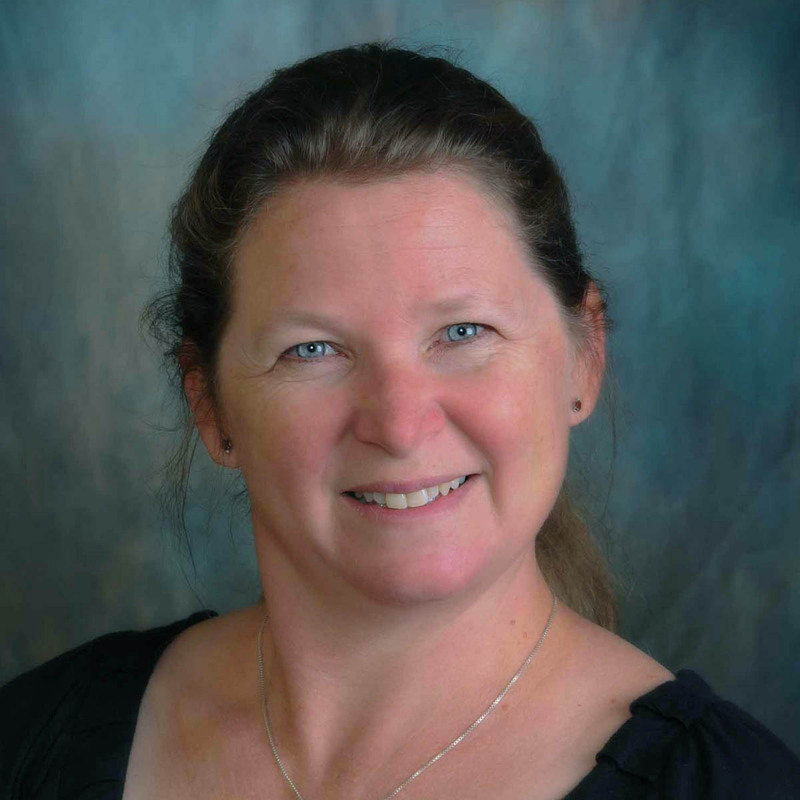 Kara Carleton joined the Idaho Master Gardener Program in 2013. 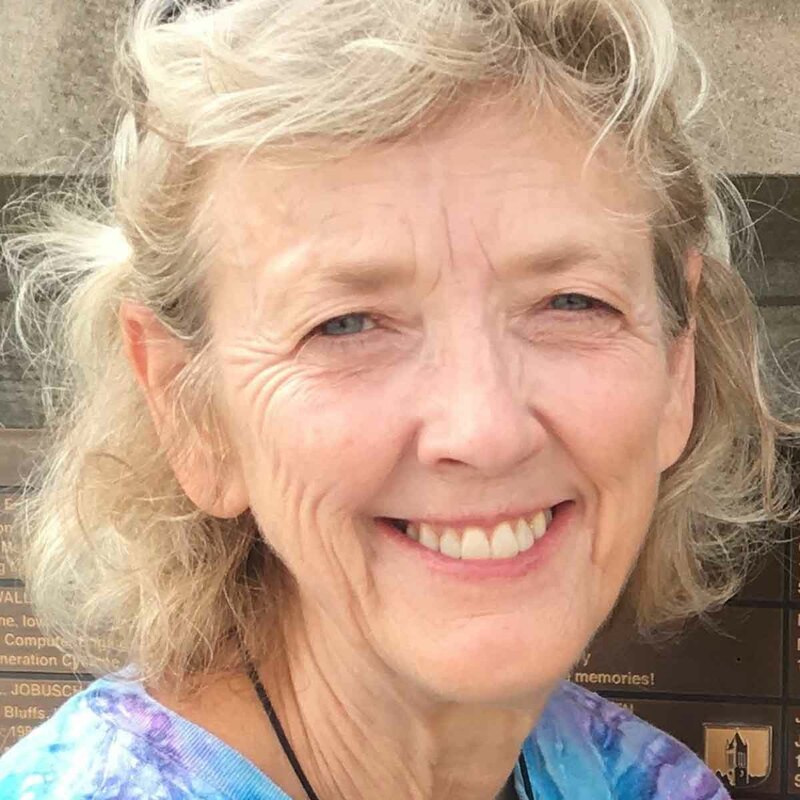 As program coordinator, she empowers a team of 60+ volunteers to provide educational outreach and research-based solutions that address a variety of home horticultural, lawn and garden challenges facing local citizens. 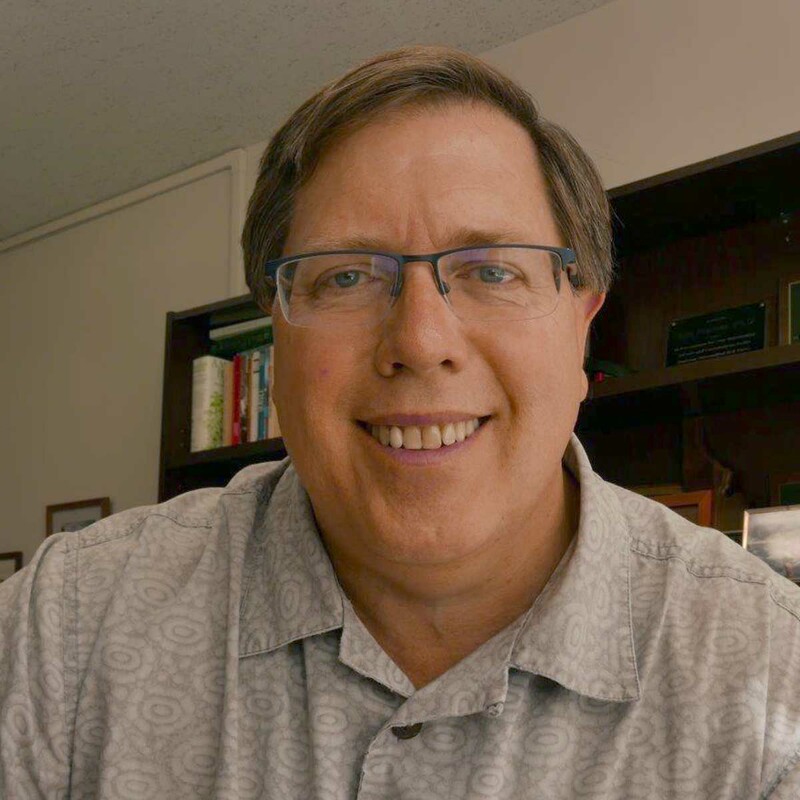 Carleton fosters a culture that supports the “Helping People Grow” mission. 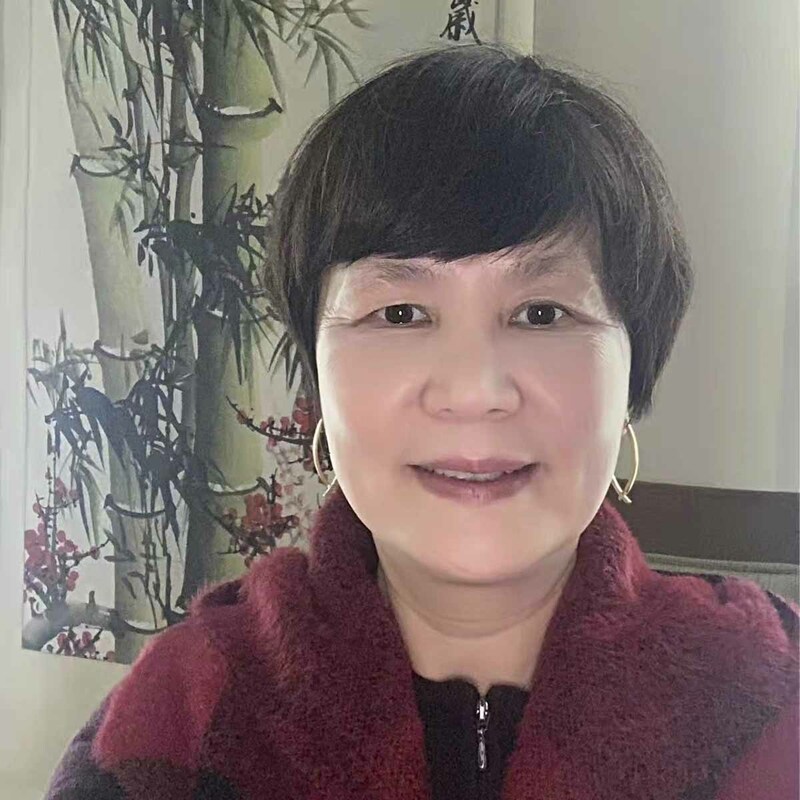 She has diverse experience in the fields of nonprofit administration, green design, horticulture and gardening. Responsibilities: Weed management, plant sampling, plant assessments, planting, harvest operations, post harvest processing, seed preparation. Group leader for Inorganic Laboratory and Soil Testing Facility. Responsible for sample analysis and direct supervision of a team of analytical scientists and laboratory technicians involved in testing of soils, waters and biological tissues. Responsible for work flow scheduling, quality control oversight, method development, instrument maintenance, report writing, training and client support. Instrumentation includes FIA, AA, ICP, ICP/MS, TOC/TN, CVAFS, CNS and IC. Reviews and approves SOPs relating to inorganic procedures and general laboratory operations. Maintains QA/QC protocols on the soil tests conducted in the laboratory. Jim Church provides educational programs for commercial livestock producers in UI Extension’s northern district. Specialties include beef cattle production, marketing and management. Jim also manages the 4-H animal science program in Idaho County. 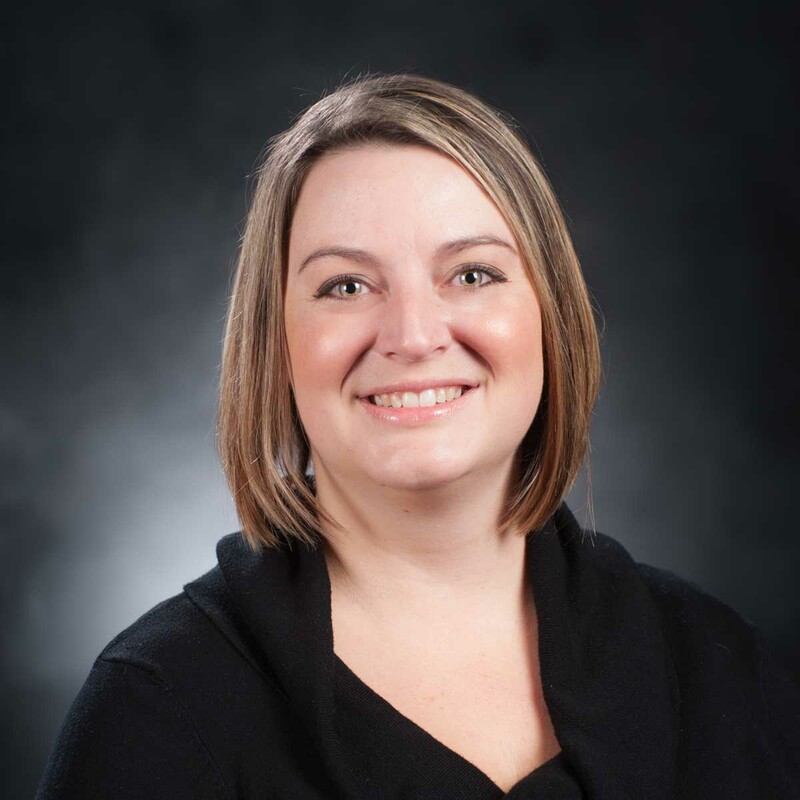 Shana Codr is responsible for the management and logistical coordination of all 4-H statewide and national events. She also provides for the financial management and accountability of the revenue and gift accounts as well as the management and facilitation of all 4-H college scholarships. 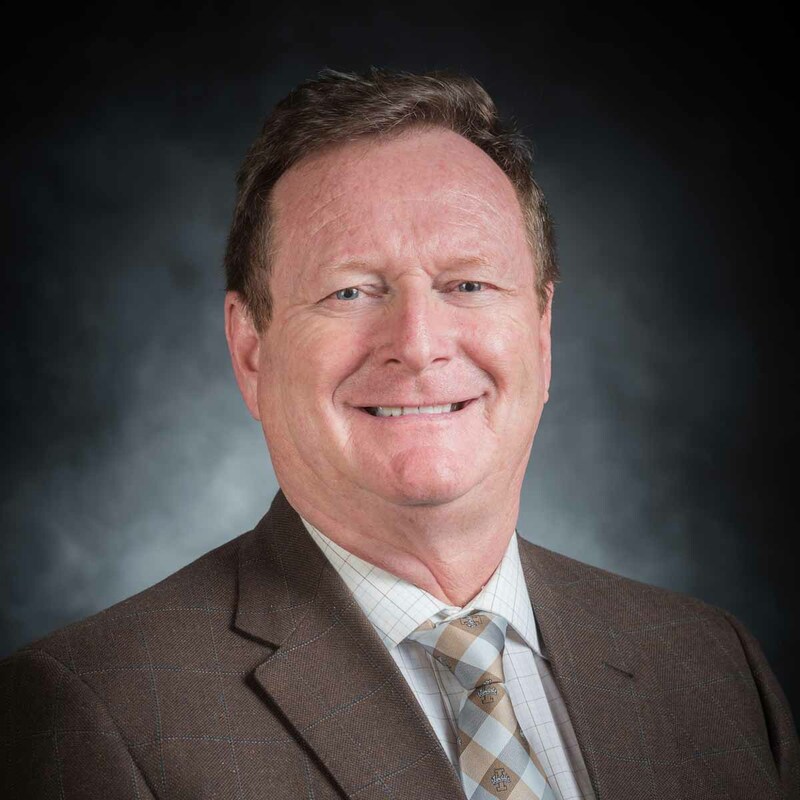 Jim Connors serves as the chair of the Department of Agricultural and Extension Education (AEE) in the College of Agricultural and Life Sciences. 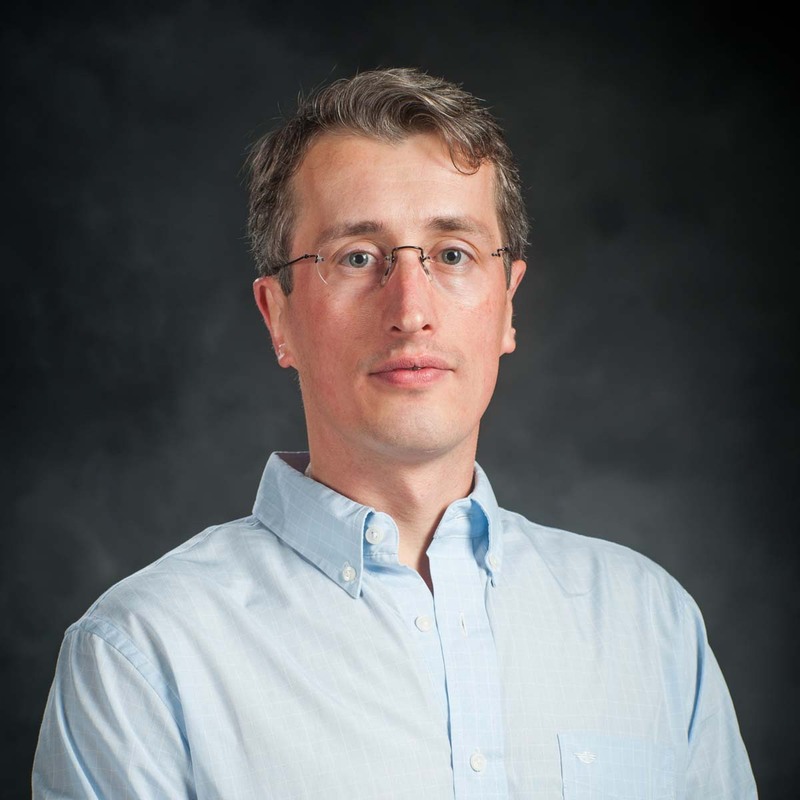 Connors formerly served as an AEE assistant professor from 1996-2000. 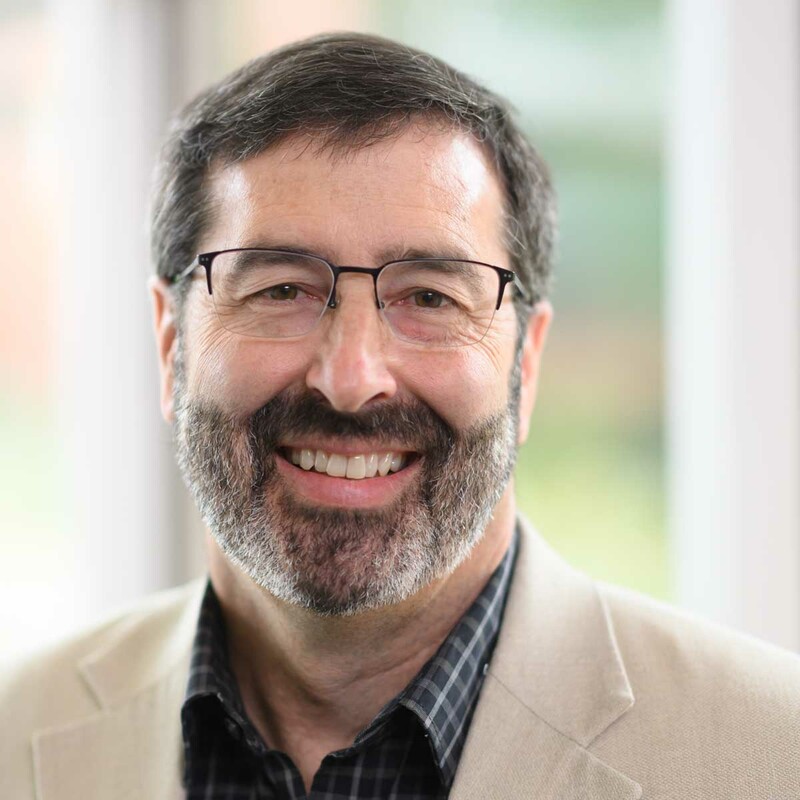 In 2000, he became a member of the faculty in the Department of Human & Community Resource Development at Ohio State University before returning to Idaho. Coordinating and facilitating the 4-H Youth Development program in Elmore County. Helping our youth and leaders, achieve greatness through education, service and activities in the community. I support ongoing research efforts, with a primary focus on soil and environmental inorganic chemistry; provide analytical assistance to collaborators; support graduate students; laboratory and field studies. 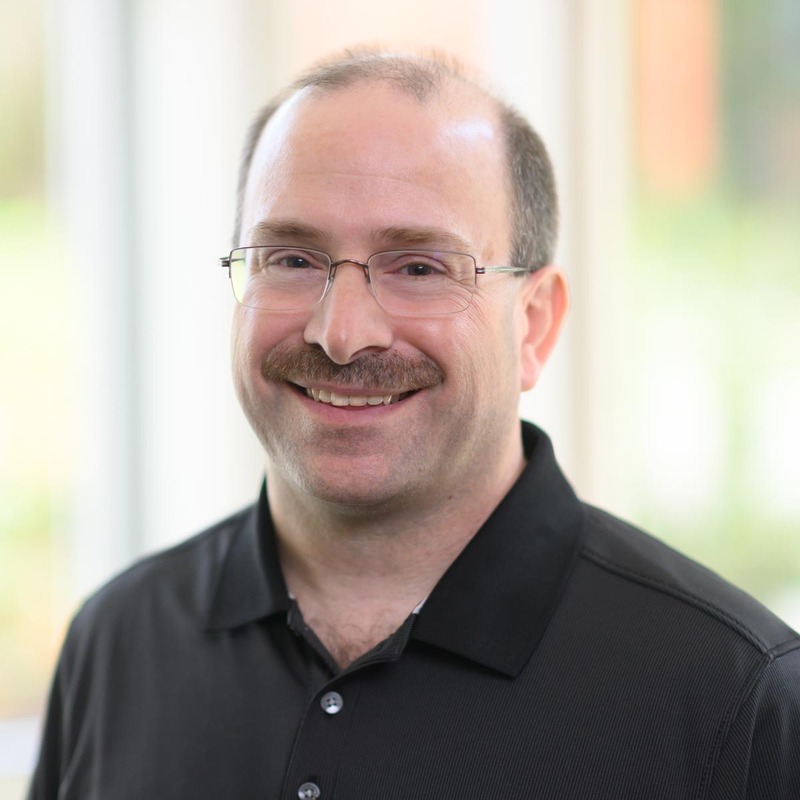 Dalton’s research studies are focused on increasing the efficiency of artificial insemination in dairy cattle, including heat detection accuracy, synchronization programs and AI technician proficiency. A current project is focused on heat detection accuracy, with 15 Idaho dairies as collaborators. 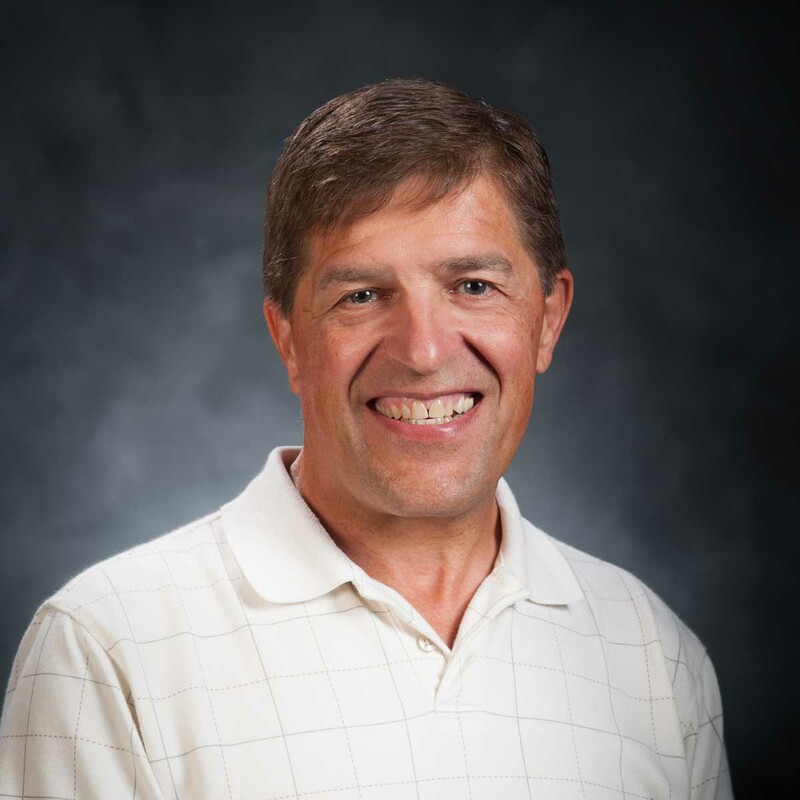 Jim, a native of northern Idaho, has worked with canola, rapeseed and mustard at the University of Idaho for 30 years. 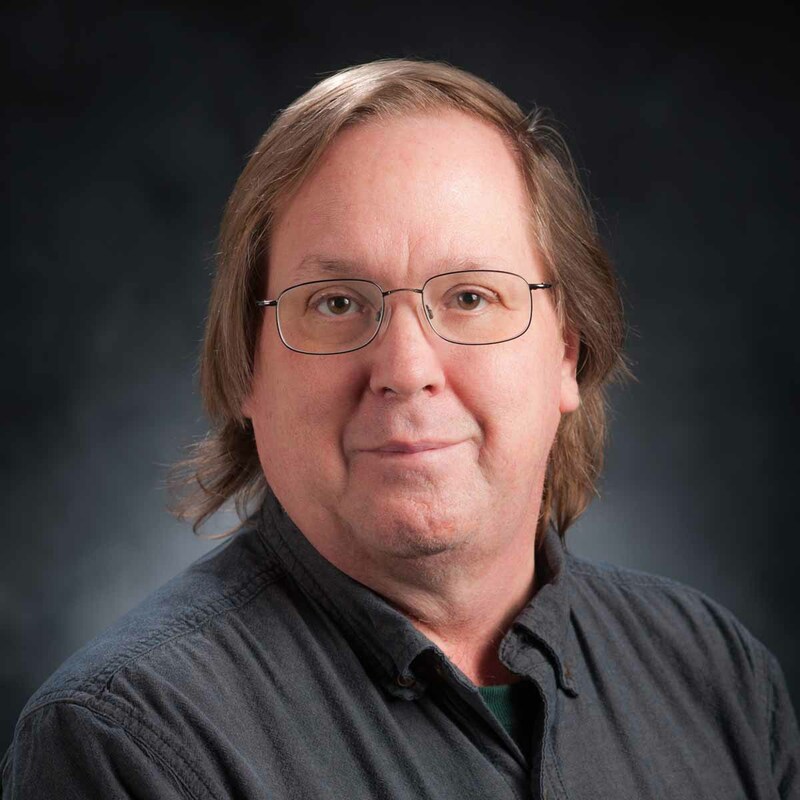 Jim was a plant disease diagnostician at Utah State University, worked with alfalfa at the University of Wisconsin and barley, potatoes and onions for a short time at Washington State University. 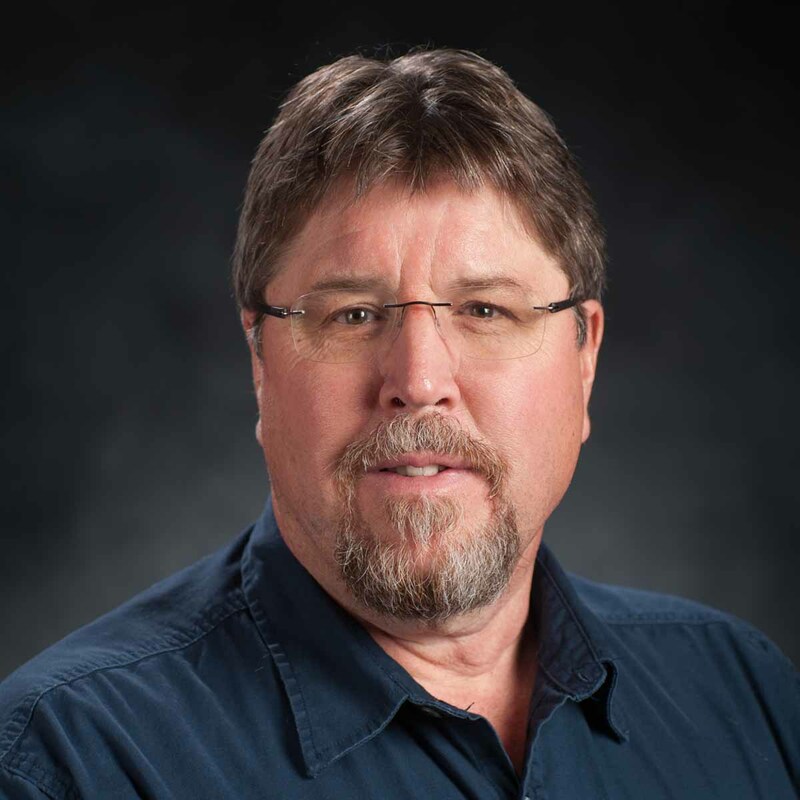 Jim manages the canola, rapeseed and mustard program's Pacific Northwest variety testing project and other field trials. DePhelps’ specializes in community food systems; small farms; organizational development, strategic planning and facilitation. 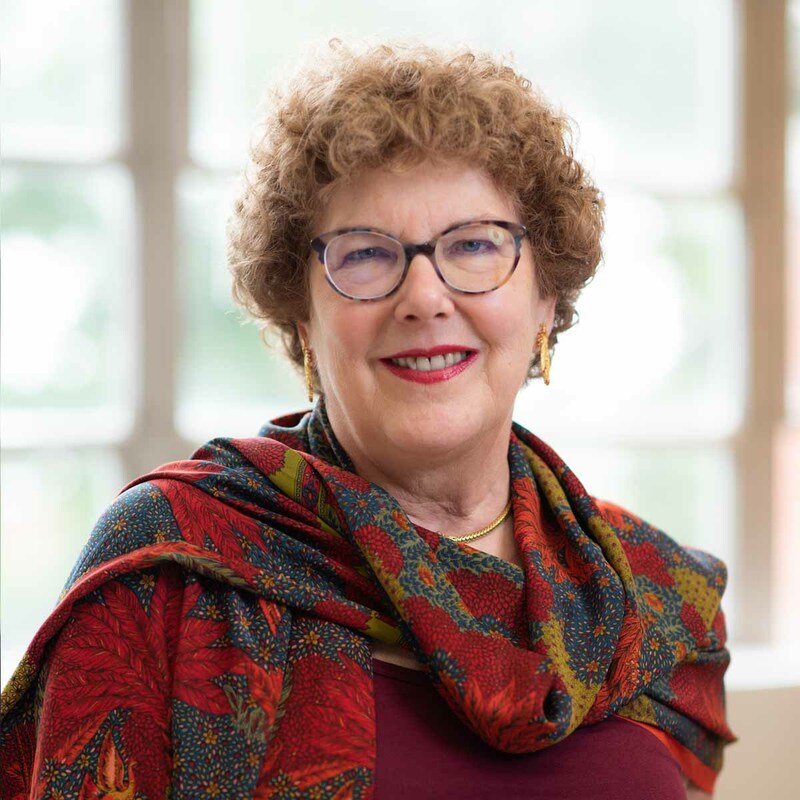 She advocates for and uses community-based, participatory approaches to education and research to develop timely, relevant and impactful programs. 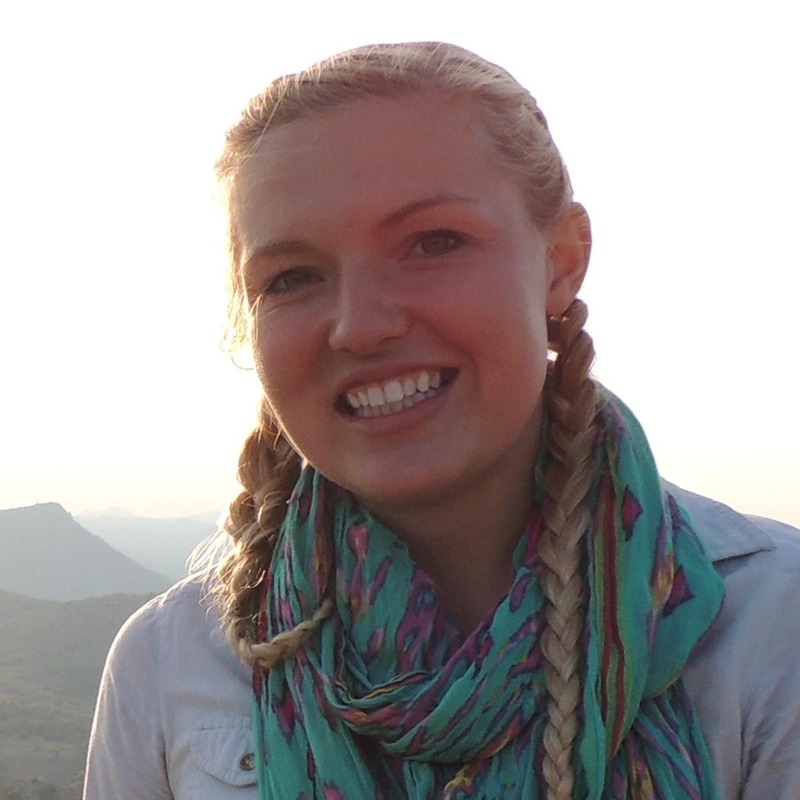 Alison’s interest is in promoting and teaching sustainability in agriculture using a systems thinking lens. 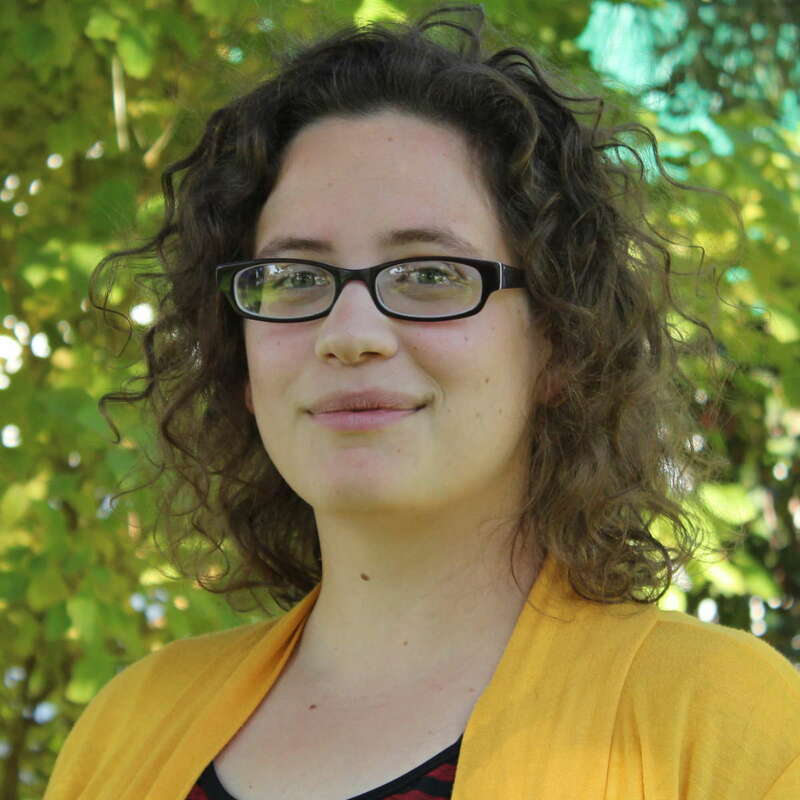 Alison’s work centers around teaching critical thinking skills needed to help build a sustainable future. I have broad interests in hydrology and water resources. I strive to better understand how human and natural disturbances of the environment alter both the availability and the quality of water resources. Doumit’s equine course provides an understanding of science and production as it relates to the care and management of the horse, including hands-on experience for students in equine management practices. 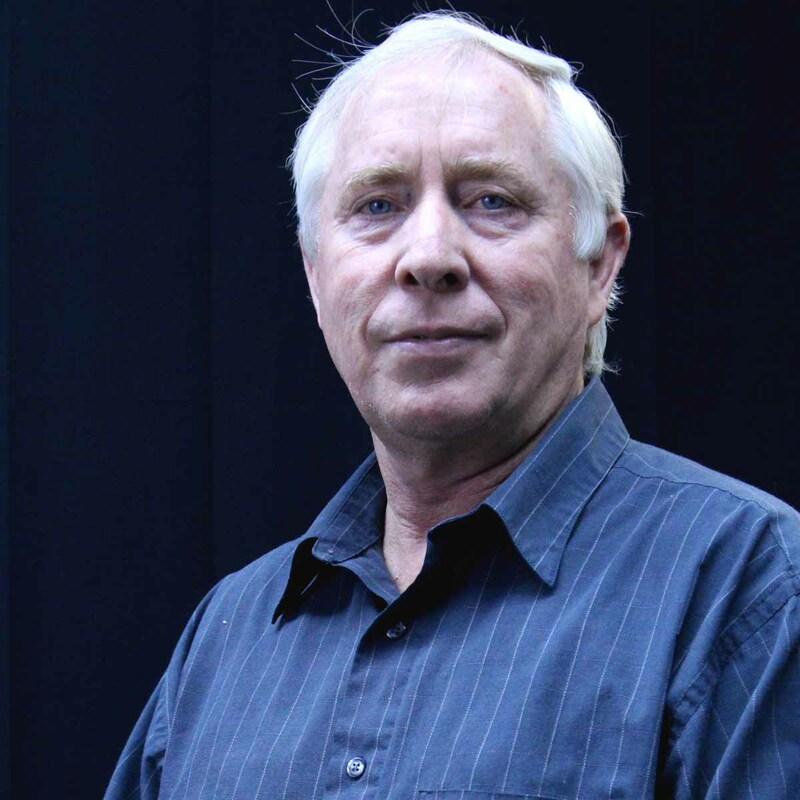 Duellman’s research focuses on all aspects of seed potato production, with the overall goal of improving quality. Specific emphasis is on pathogens important to seed potato production and seed health and to seed-related aspects of commercial potato production. Her extension program focuses on providing relevant, timely, science-based, non-biased information to growers and the industry. 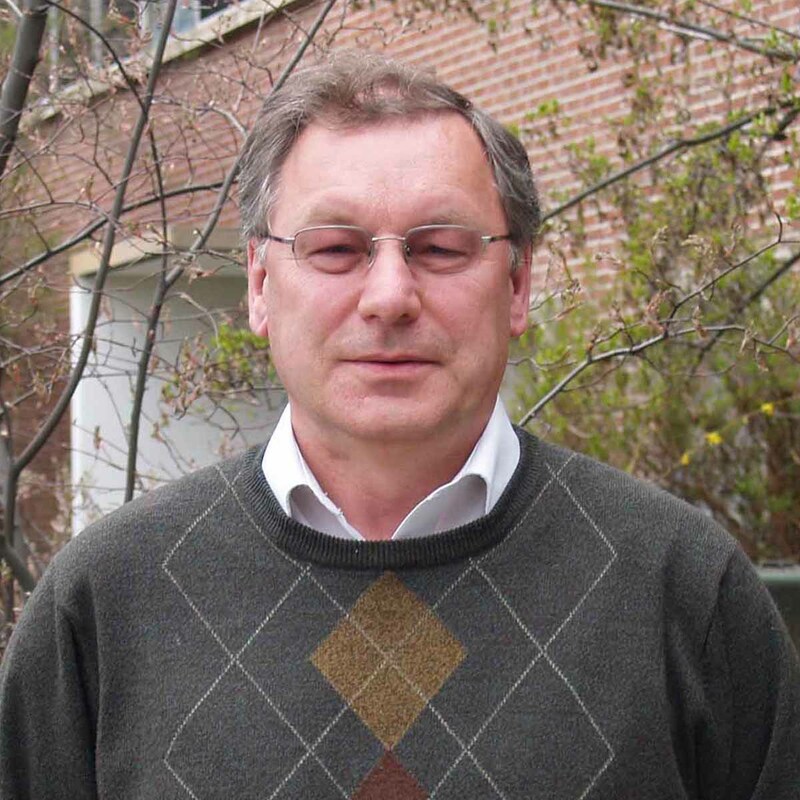 Durrin’s experience includes plant tissue culture, plant virology and nematology. She has worked with potatoes in a laboratory and greenhouse setting for the past decade. 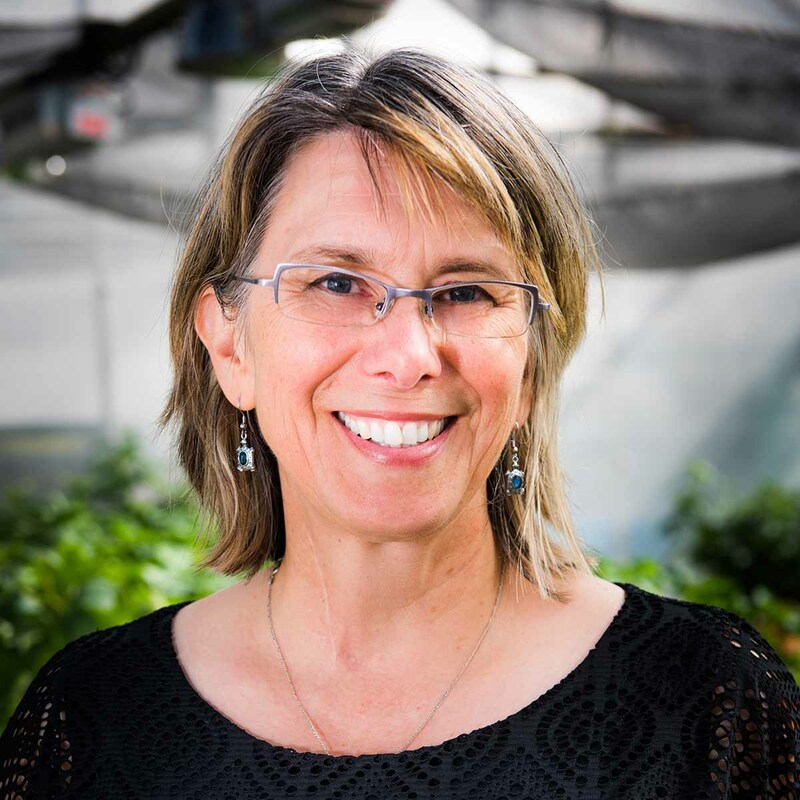 In her current position as director of the Nuclear Seed Potato Program, she maintains tissue culture of over 300 potato varieties including public, private and research lines. She strives to provide seed potato growers and researchers with quality pre-nuclear seed they can rely on. 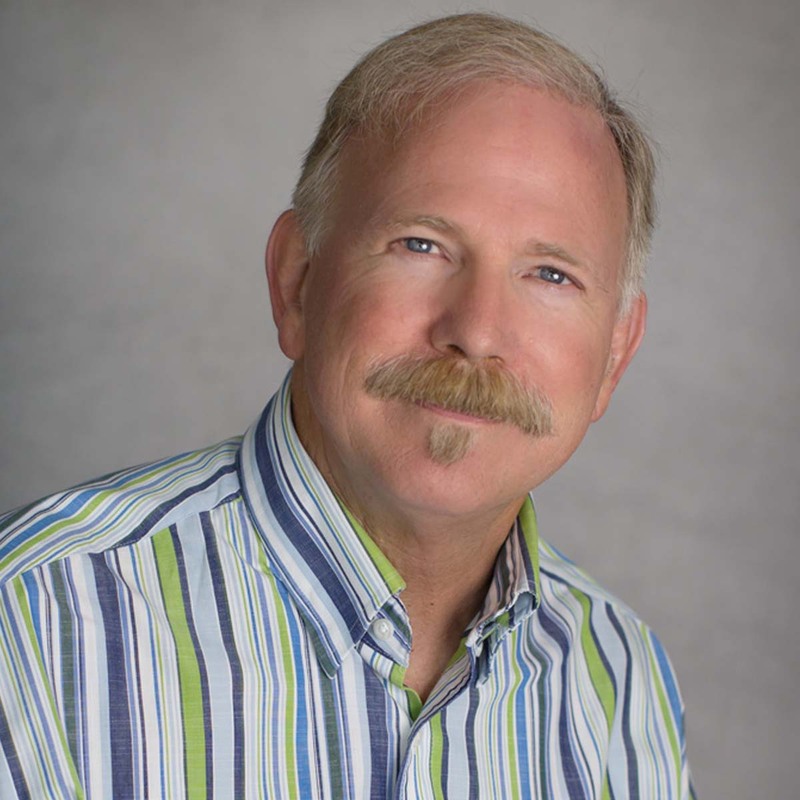 Jim has a natural resource degree from Western Carolina University and a master's in natural resources planning from University of Oregon. He worked in three national parks, on a research base in Antarctica and in wetland restoration for watershed councils in Oregon and Idaho. He's an avid canoeist, skier and runner. Ellison is located at the Nancy M. Cummings Research, Extension and Education Center and her research focuses primarily on the effects of grazing livestock on wildlife and range. England teaches at the University of Idaho Caine Veterinary and Teaching Center (CVTC), consists of beef cattle and small ruminate production medicine and management in rural Idaho. He also serves as the veterinarian for the Nancy M. Cummings Research, Extension and Education Center. Responsibilities: Collection of and characterizing nematodes in Southern and Eastern Idaho. My interests include personal finance, with an emphasis on youth education. Areas of expertise include credit building, credit scores, investing for retirement, withdrawal strategies, financial goal setting and emergency preparedness. I also have interests in instructional design strategies and instruction through serious games. Jeremy Falk completed his Ph.D. at Ohio State University, where he taught the FFA/SAE course and assisted with the teaching methods course. He taught secondary agriculture classes for four years at Federal Hocking High School in southeastern Ohio. Falk has served as a superintendent for the sheep barn at the Ohio State Fair and he enjoys raising club lambs with his family. 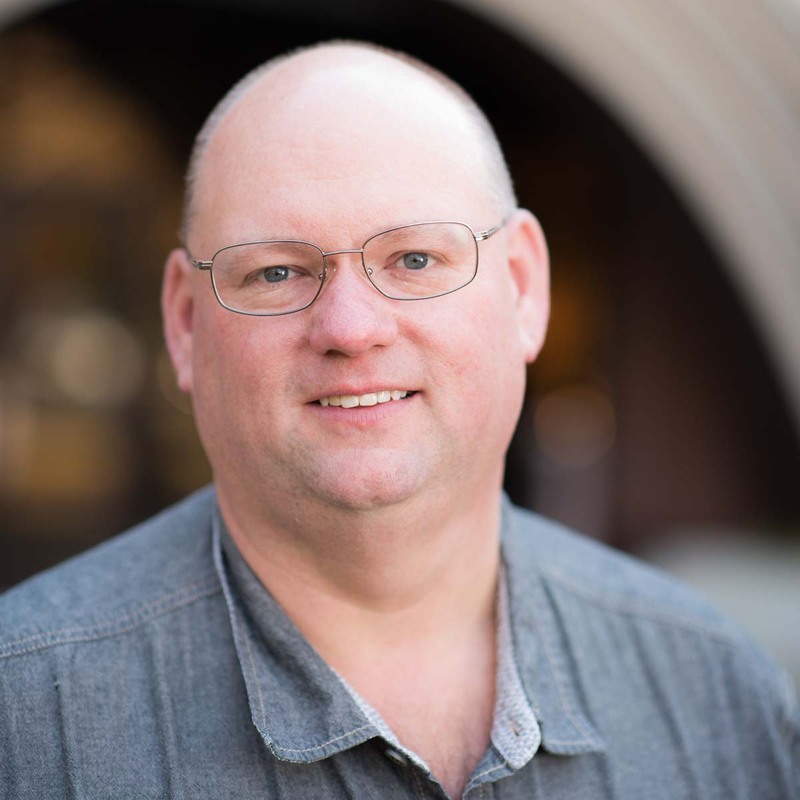 Reed Findlay graduated from Brigham Young University with a master’s degree in agronomy in 1993. He began his career as an agricultural Extension educator with Montana State University working out of Rosebud and Treasure counties. 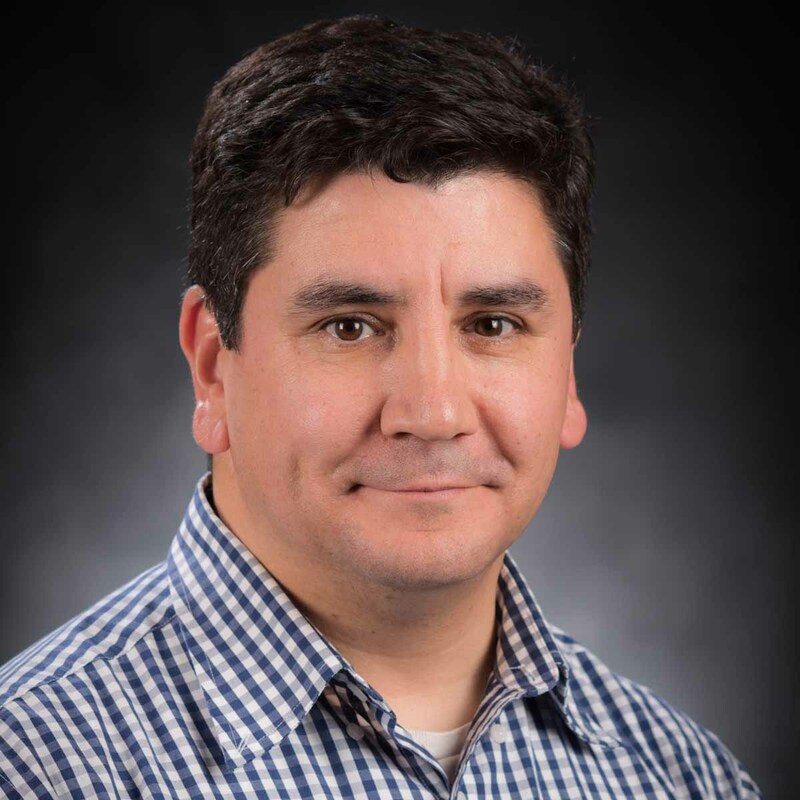 He currently serves with the University of Idaho as a crops and horticulture Extension educator and county chair in Bannock and Bingham counties. Finkelnburg supports dryland cropping systems extension and outreach activities throughout northern Idaho. 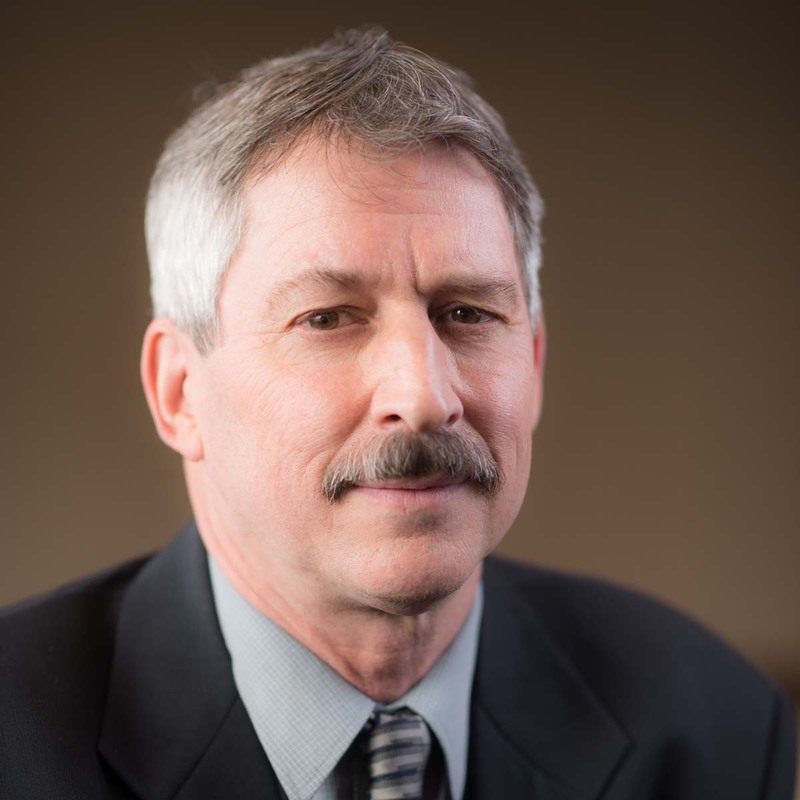 He supports collaborative approaches to deliver unbiased university driven research to agricultural producers and agricultural industry partners to solve ongoing production challenges. 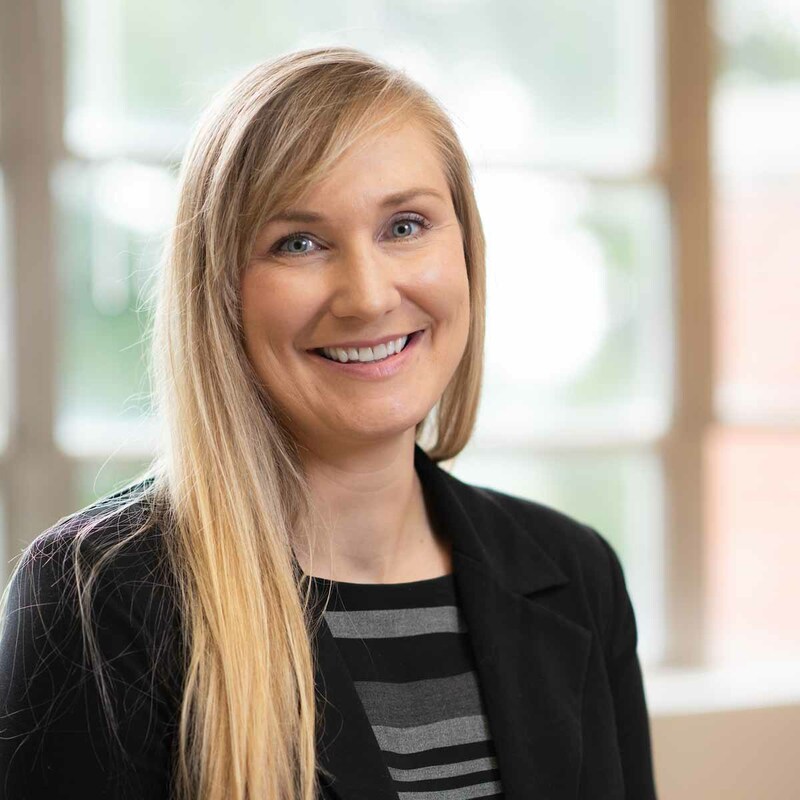 Monica Fisher is an applied economist whose research covers a wide range of topics including poverty, food insecurity, climate change, technology adoption, gender and entrepreneurship. 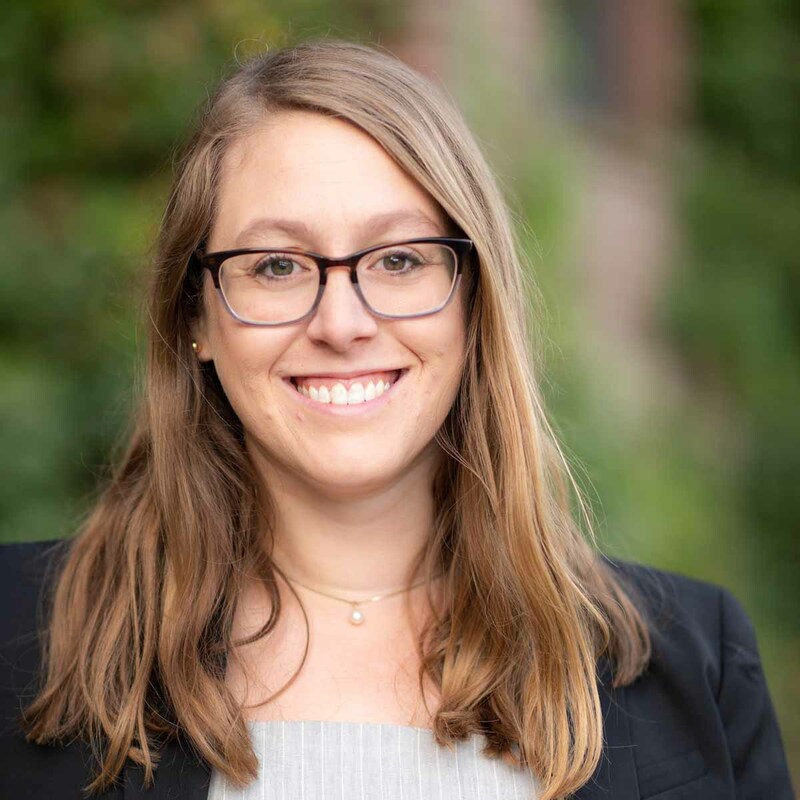 Her research has a geographical focus on sub-Saharan Africa (Malawi, Senegal and Uganda) and rural U.S.
Heather holds a bachelor's in psychology with a second major in women’s studies. 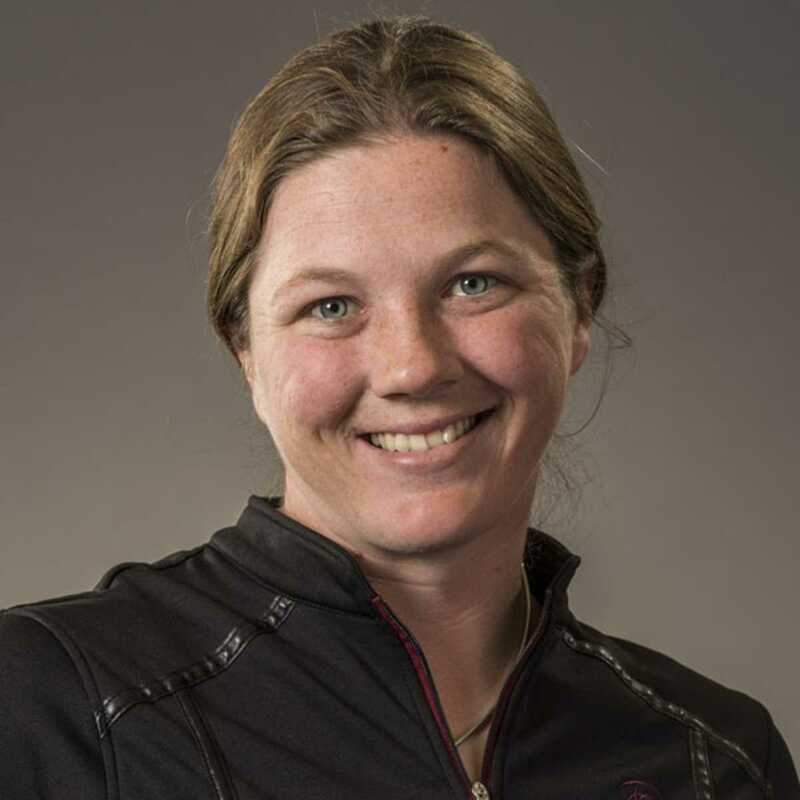 She has a great love for gardening and small farms, and studied soil science at the graduate level at Washington State University. 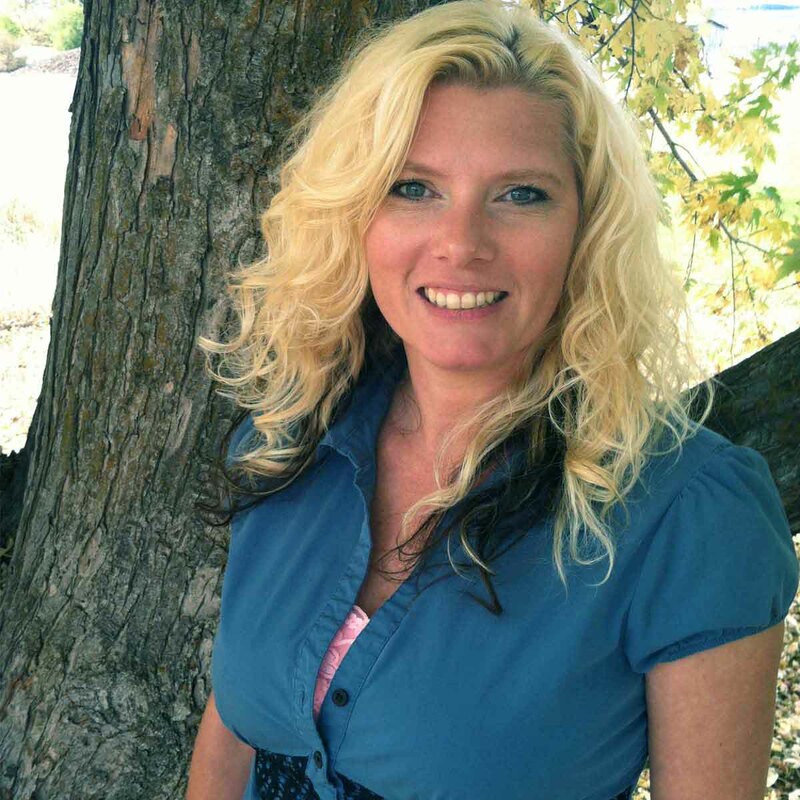 She is also a licensed massage therapist in both Washington and Idaho. Laura has a background in food and nutrition. She specializes in helping people learn how to eat healthy and safe. 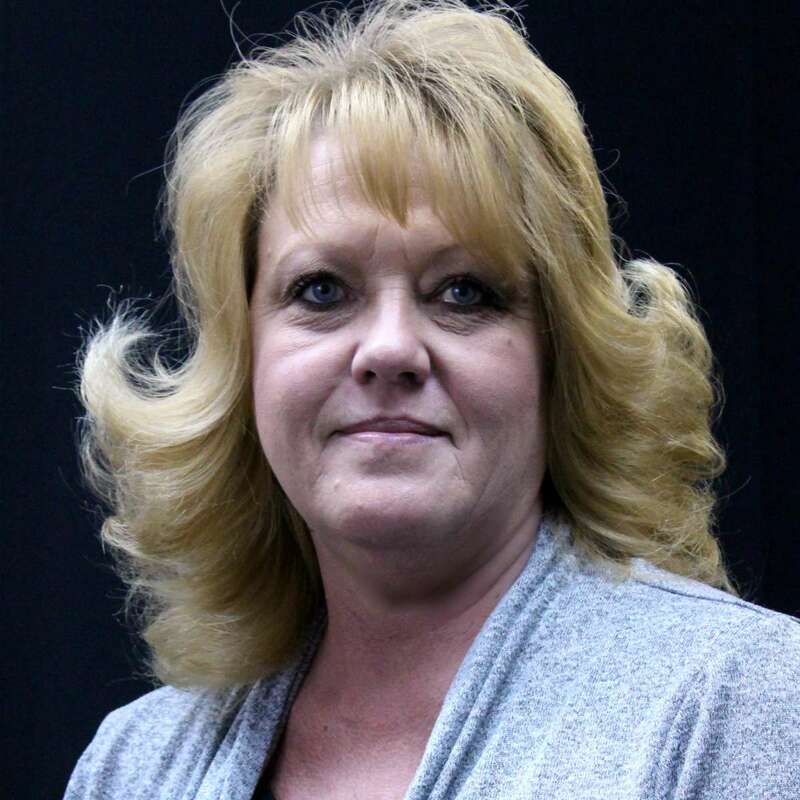 She also administers the Eat Smart Idaho program in the Eastern Idaho District. Eat Smart Idaho helps low income families learn techniques for buying, preparing and eating healthy foods on a limited budget. Gary has formed close ties with the aquaculture industry and others involved with aquaculture to be able to develop and implement an aquaculture program. The program addresses water quality and quantity, feeds and nutrition, seafood education and aquatic animal health. 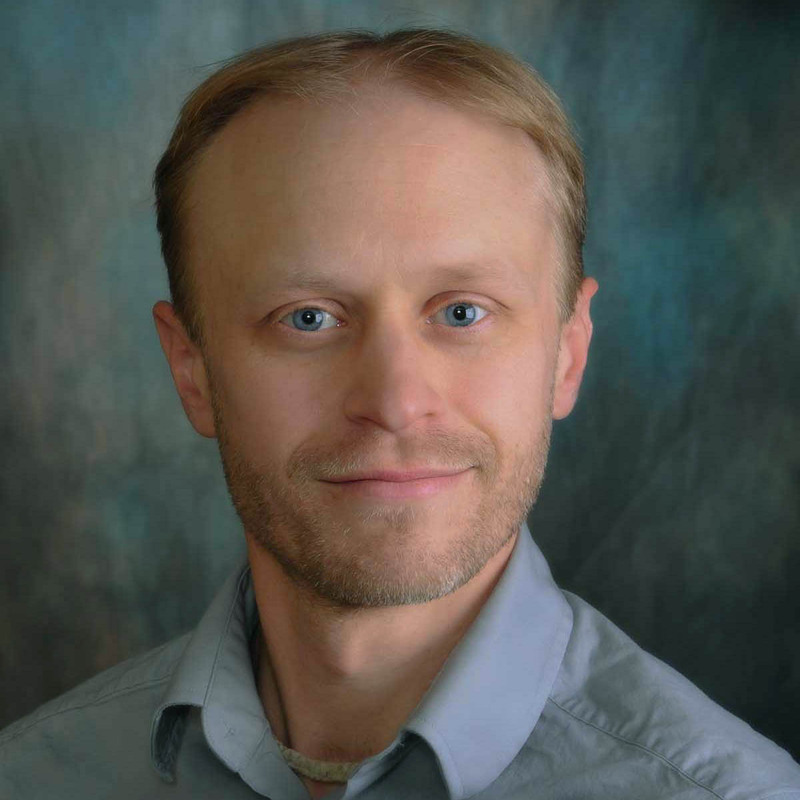 He works closely with the outside agencies, UI Extension and research faculty and the aquaculture industry, which is concentrated in Twin Falls, Jerome and Gooding counties. The educational programs he teaches to youth take place at Natural Resources Camp, and are related to aquaculture to include water quality, aquatic ecology and fish biology. 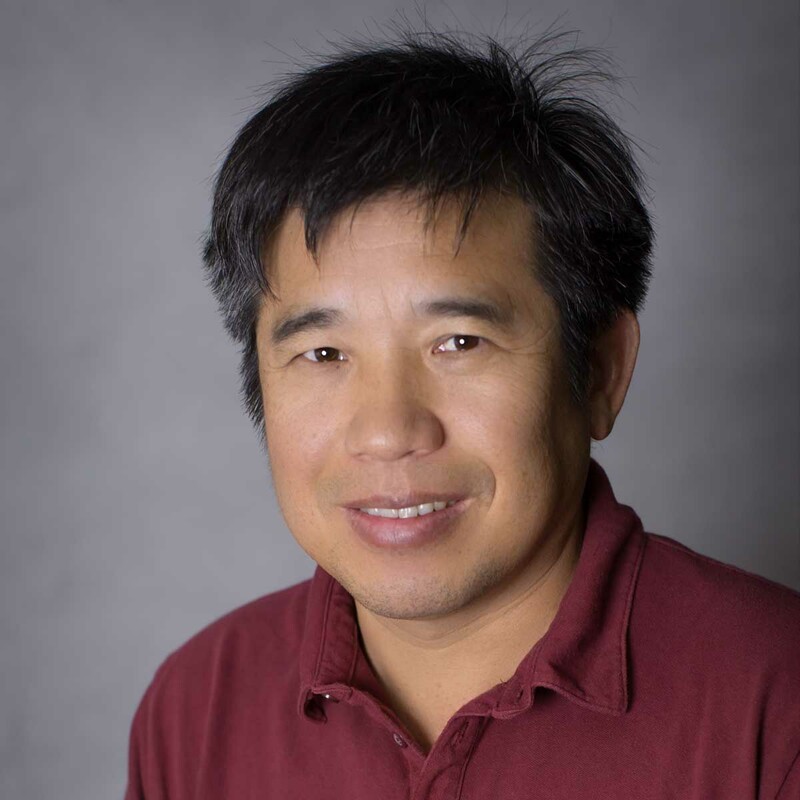 Fu’s teaching includes botany; crop genetics and breeding; and plant science seminars. 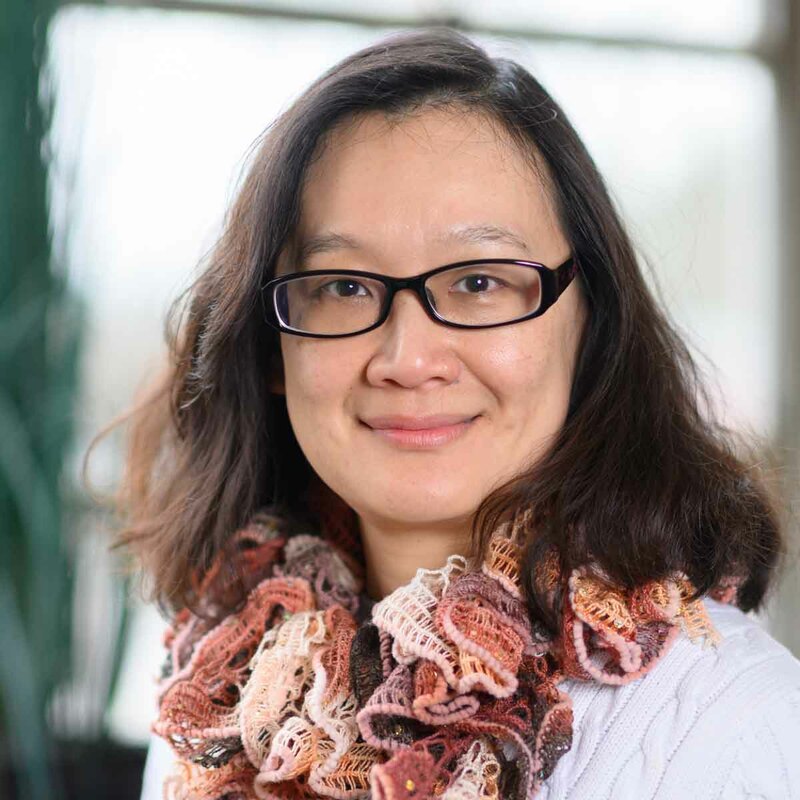 Fu has been working in wheat molecular genetics involving germplasm innovation, genetic transformation, map-based gene cloning, fungal disease resistance and male sterility. Funkhouser grew up in Camas County. She is a proud Camas County Musher and attends every school home game unless it conflicts with grandchildren events. 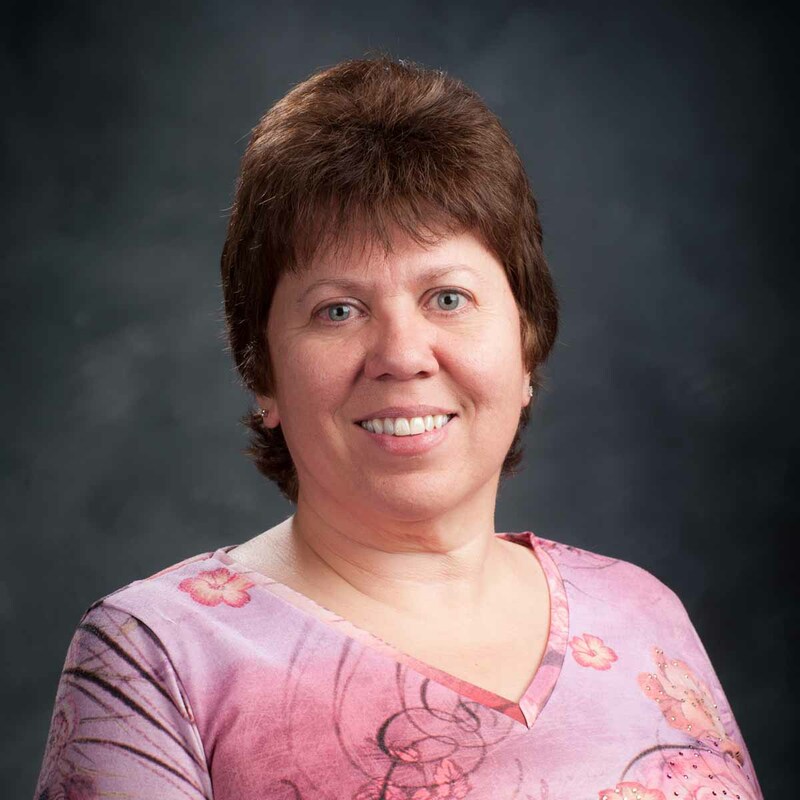 She has been with UI Extension, Camas County since March 1985. She loves working with youth and volunteer leaders and watching them grow and learn in the 4-H program. Military Kids and Speak Out for Military Kids. Nav’s experience includes impact evaluation, program design, implementation and adult education. 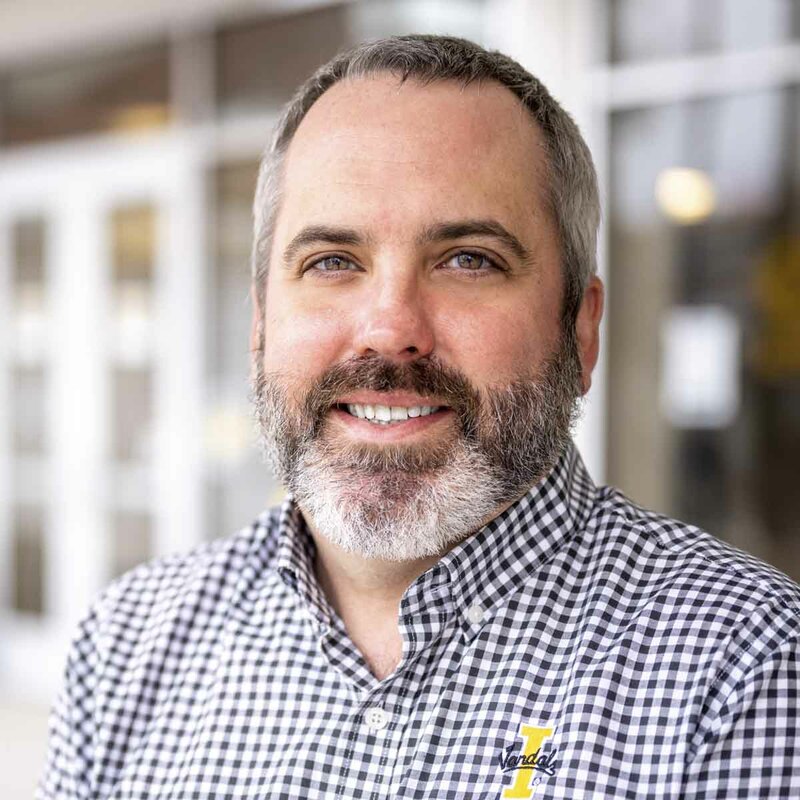 His focus is building evaluation capacity of Extension educators and increase their ability to document program impacts that meet the needs of local, state and federal stakeholders. Joan coordinates the 4-H Youth Development program. 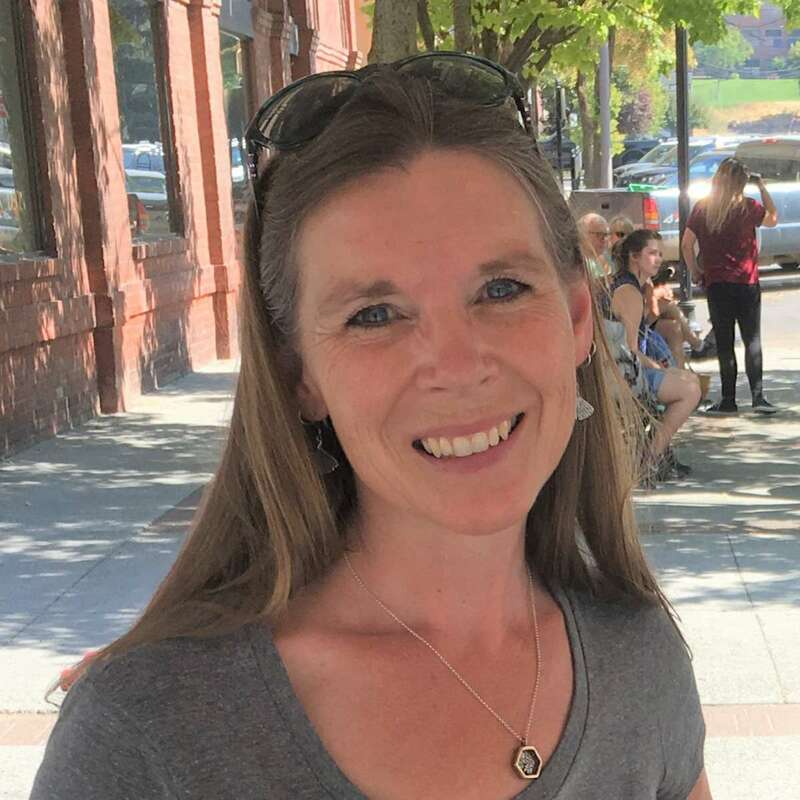 You can find her teaching at local educational clinics, writing 4-H newsletters, supporting 4-H leaders and directing youth who are turning ideas into action by making commitments to join the movement toward a meaningful change in Payette County. Gillespie provides statewide leadership in 4-H citizenship and civic education, personal development and leadership. Including programs: Idaho’s 4-H State Teen Association Convention, 4-H Know Your Government and Idaho 4-H Ambassador. She partners with 4-H professionals in youth development programming throughout central Idaho. I specialize in sustainable farming, soils and small farms. This includes research and outreach in optimal cover crop management in Idaho. 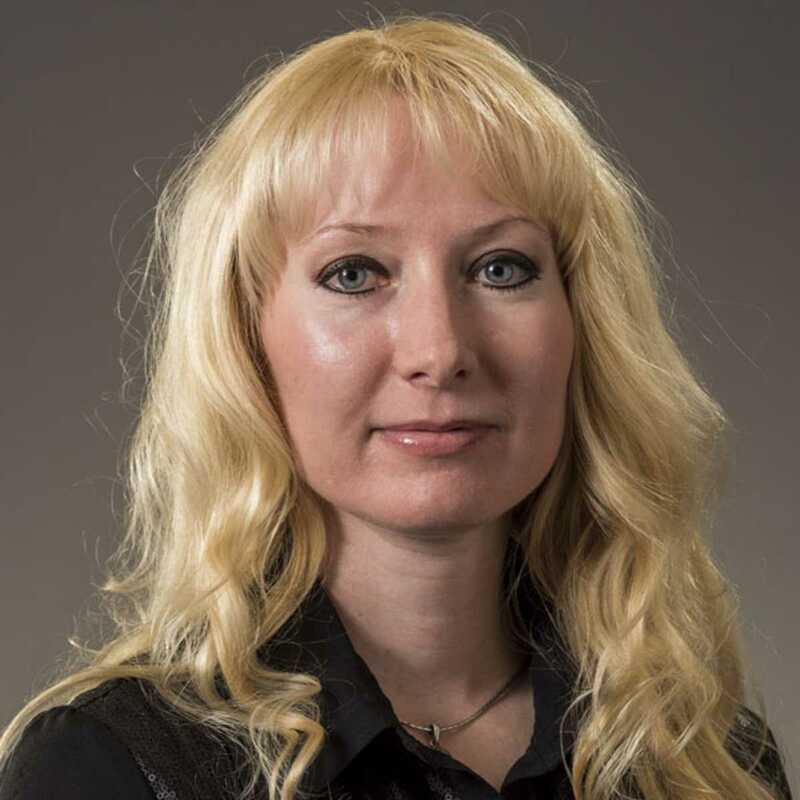 Surine is a University of Idaho alum who enjoys working for the University of Idaho while working with consumers throughout Owyhee County and the southern region of Idaho. Hall serves as the superintendent of the Nancy M. Cummings Research, Extension and Education Center, which functions as the University of Idaho’s primary cow/calf and forage research center. His program conducts applied research to enhance food production and sustainability of beef production operations. 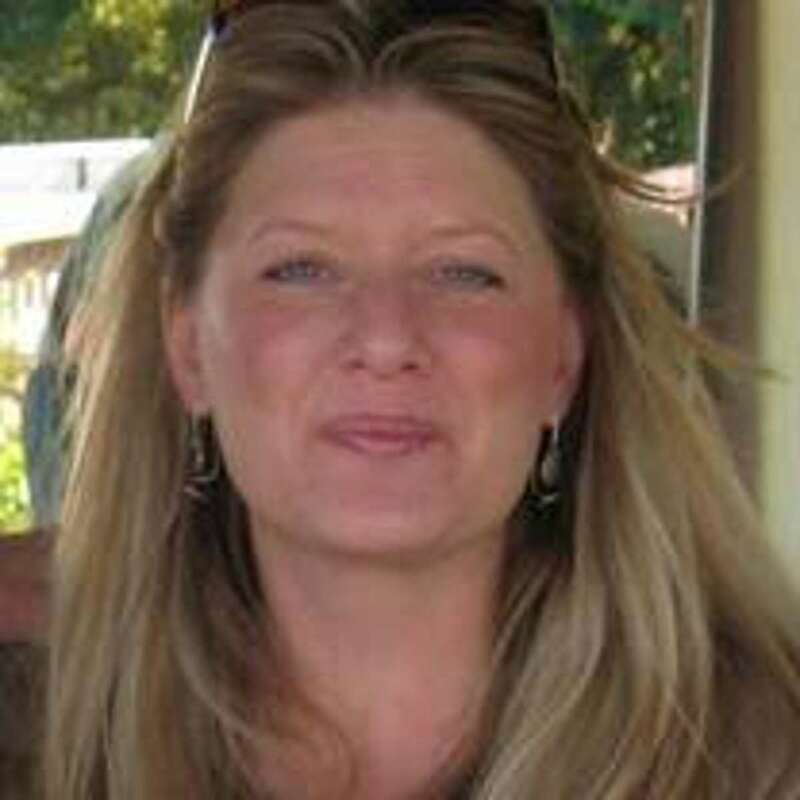 Melissa Hamilton is a community development, ag/horticulture Extension educator in Valley County. 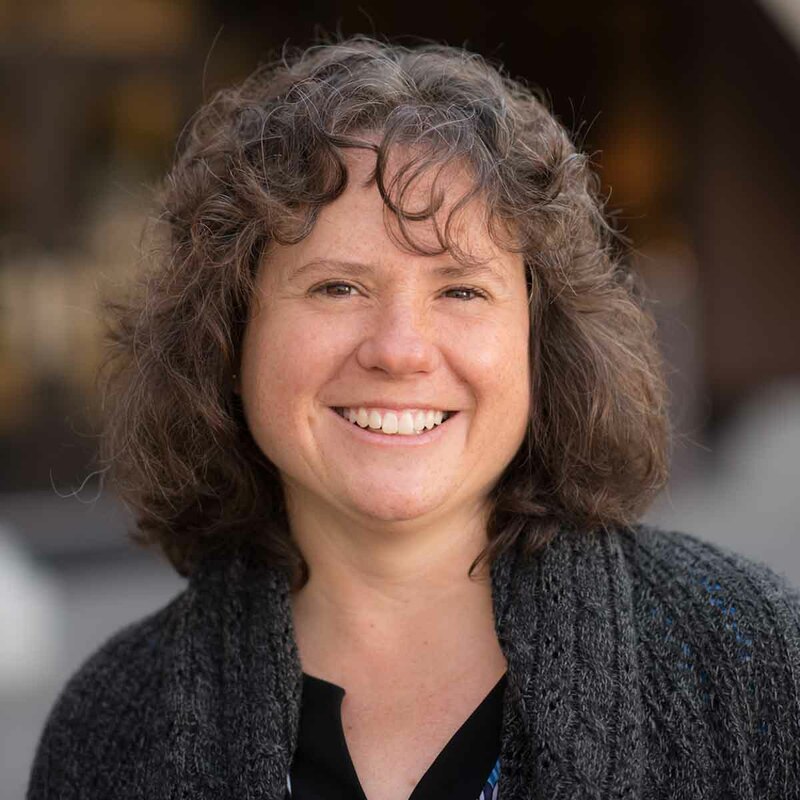 Melissa's multi-county work is focused on rural regional planning, multi-modal transportation systems, asset/value based development, meeting facilitation and community food systems. 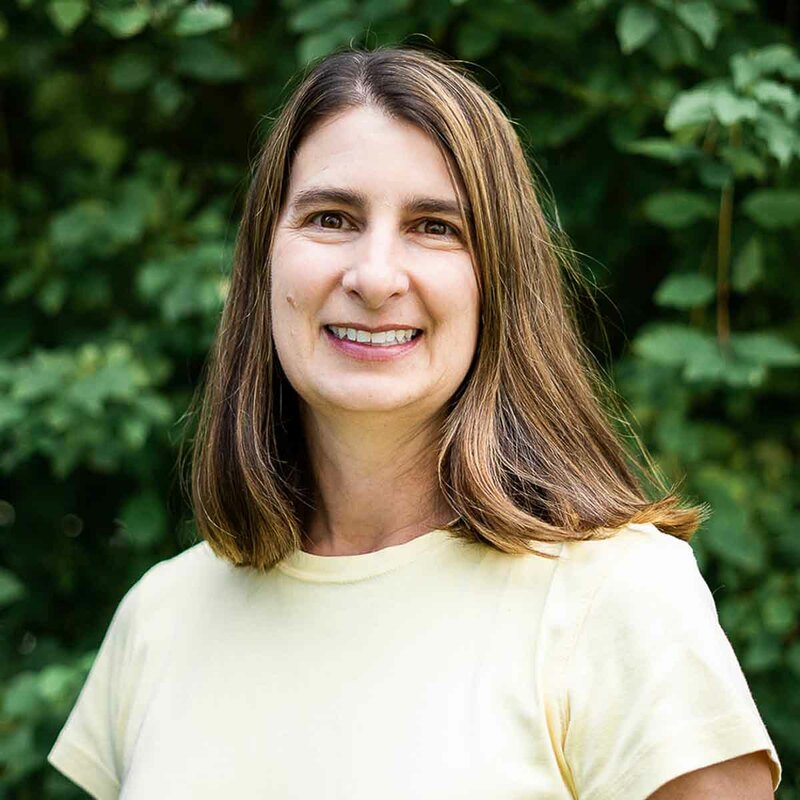 Melissa holds a master's degree in bioregional planning and community design from the University of Idaho and a bachelor's degree in biology from University of South Carolina. Lance will share the programs offered by University of Idaho Extension with the community. He plans to work with all ages to improve financial literacy, by providing trainings when possible. 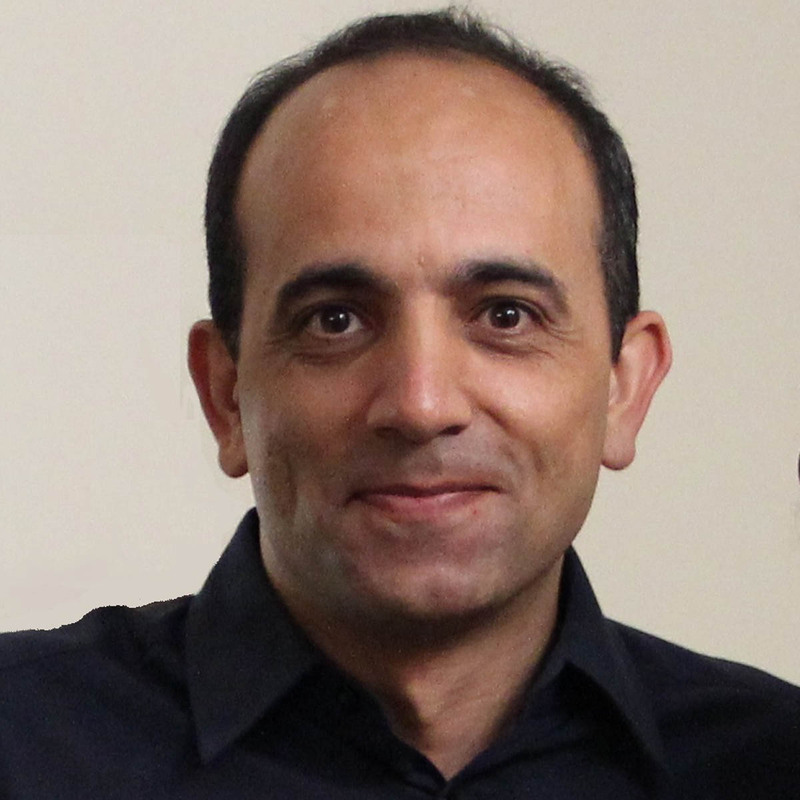 Group Leader for organic analyses and regulated scientific studies. Responsible for analysis and the general and direct supervision of a team of analytical scientists and laboratory technicians performing organic analytical chemistry. Testing includes pesticides, herbicides and other agricultural, industrial and naturally occurring compounds and substances in agricultural, biological and environmental samples, including plant and animal tissues, waters and soils, using gas and liquid chromatography, mass spectrometry and other methods as required. Responsible for work flow scheduling, quality control oversight, method development, instrument maintenance, report writing and training, as well as general group management tasks. Responsible for Group adherence to applicable testing guidelines. Reviews and approves SOPs relating to organic procedures and general laboratory operations. Provides expertise for the laboratory’s computer network and Laboratory Information Management System (LIMS). Susie Heckman provides the organizational framework for the UI Extension, 4-H Youth Development program in Idaho County by coordinating local 4-H activities, organizing and conducting leader training classes, working with adult volunteer leaders and youth members and providing educational program resources. Heimgartner teaches courses in agricultural mechanics and skills such as beginning welding, shop practices and advanced welding. Students mastering the theoretical and technical knowledge as well as the tactile or motor skill. Soil and environmental physics with an emphasis on hydraulic properties of soils and porous media as well as their characterization using near-surface geophysics. 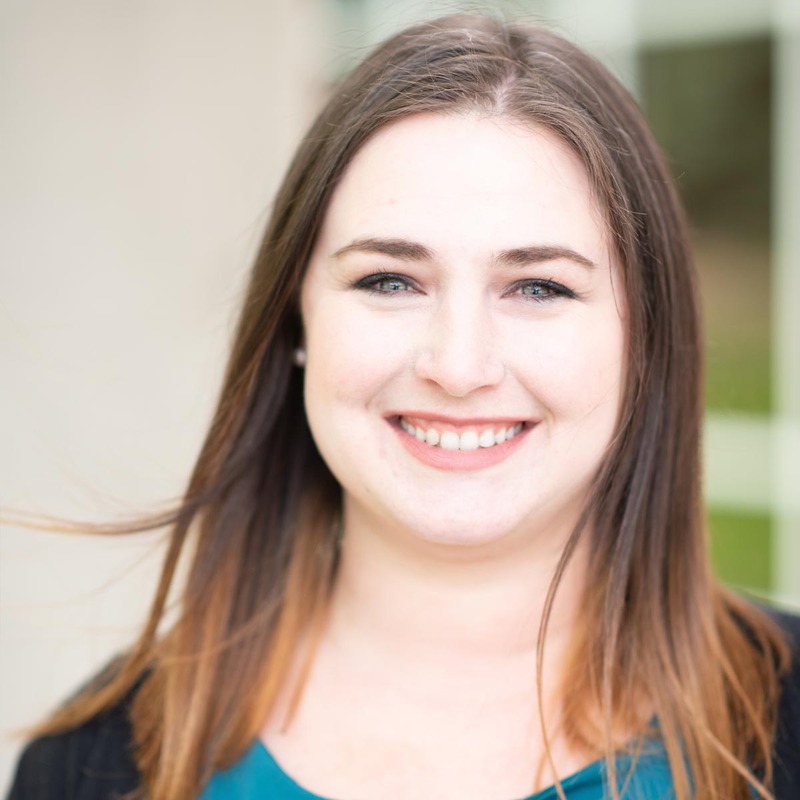 Paige provides office management and oversees day-to-day operations and budget monitoring. 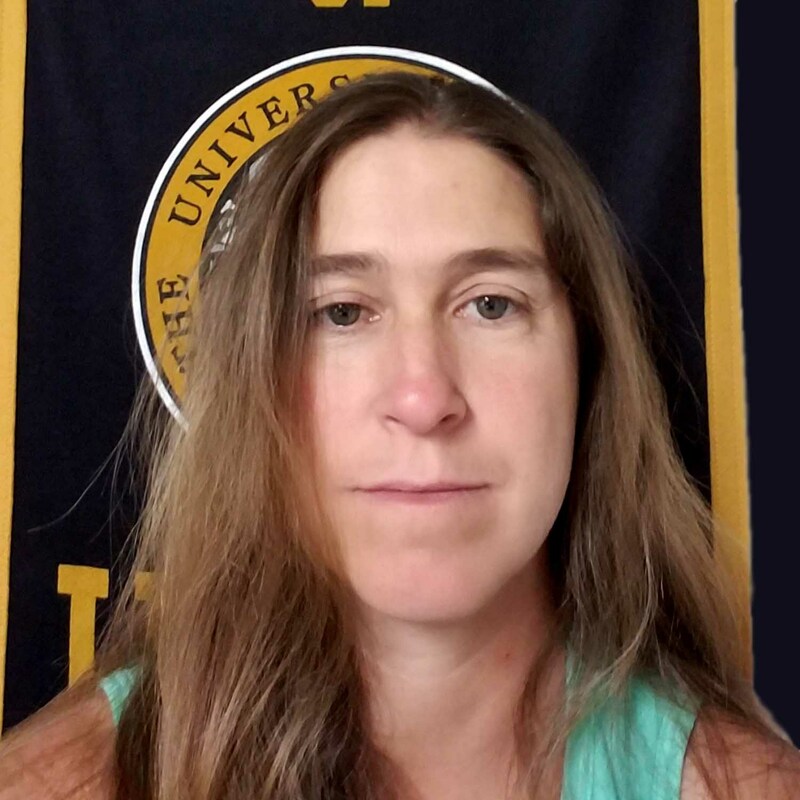 She also assists in the development of University of Idaho educational program resources, marketing, registration, coordination and set-up of workshops and seminars. Mr. Henderson grew up in Franklin County. 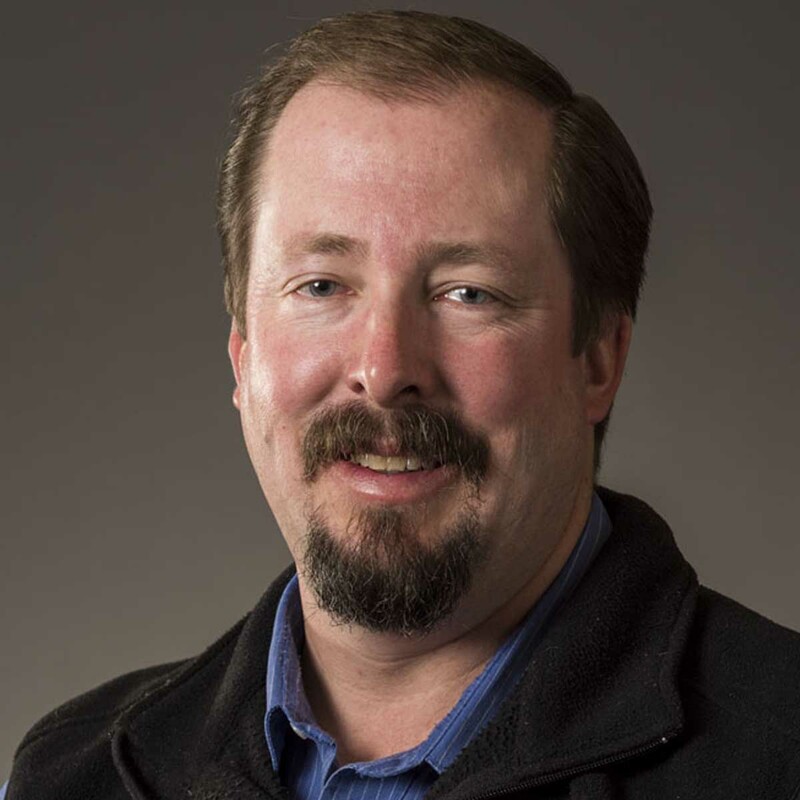 For 12 years he worked with the Utah Department of Agriculture and Food and conservation districts to implement conservation programs in northern Utah. A family owned commercial nursery business and local experience with landscaping species and practices give a broad knowledge base to serve Franklin County. Jang is an experienced food scientist. 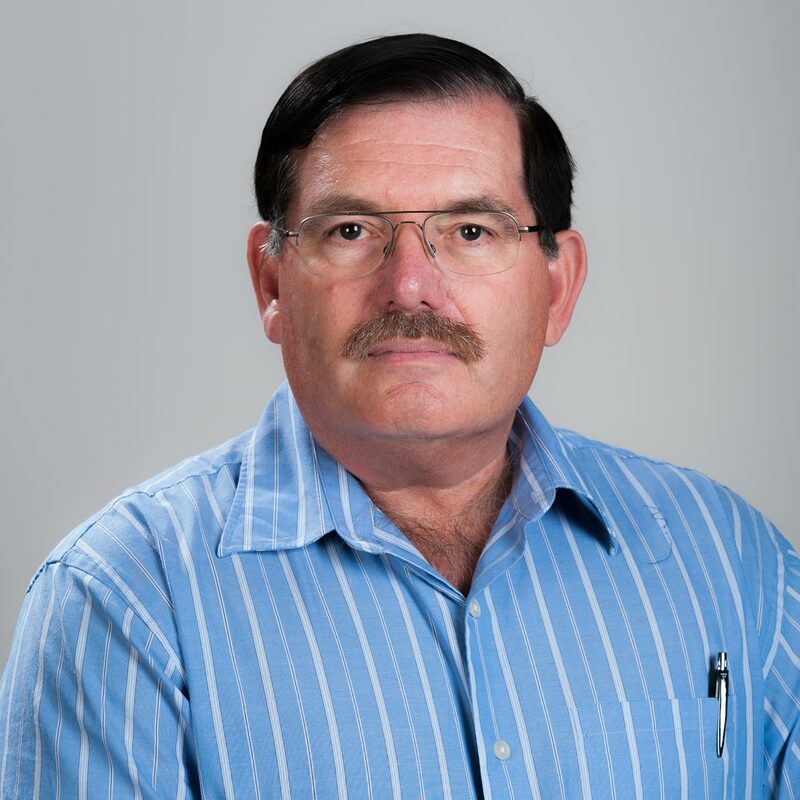 He provides evidence-based educational information related to value-added processing and consumer food safety on home food preservation, sanitation, food handling, food recalls and warnings. 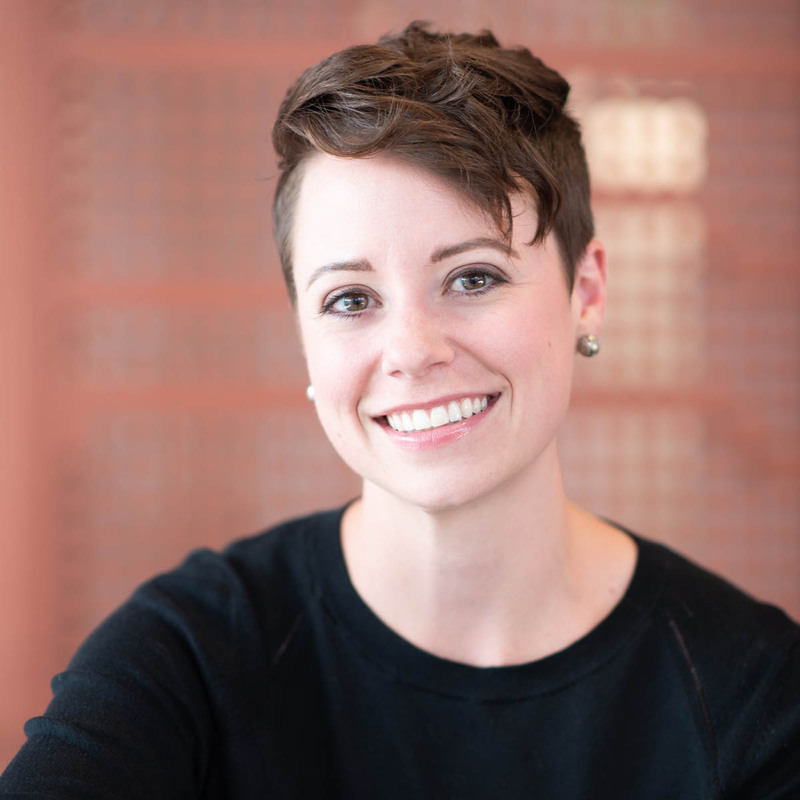 Katie was born and raised in the Lemhi Valley and has been working with youth and families since 2008 as a family and consumer sciences Extension educator in the Lemhi County's UI Extension office. 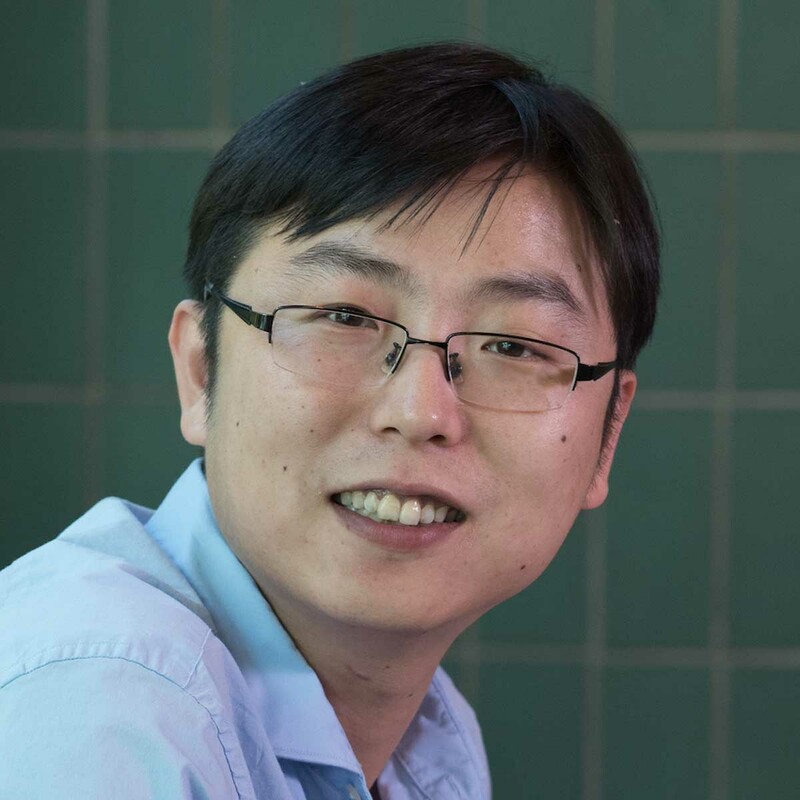 He teaches general biochemistry and plant biochemistry courses. 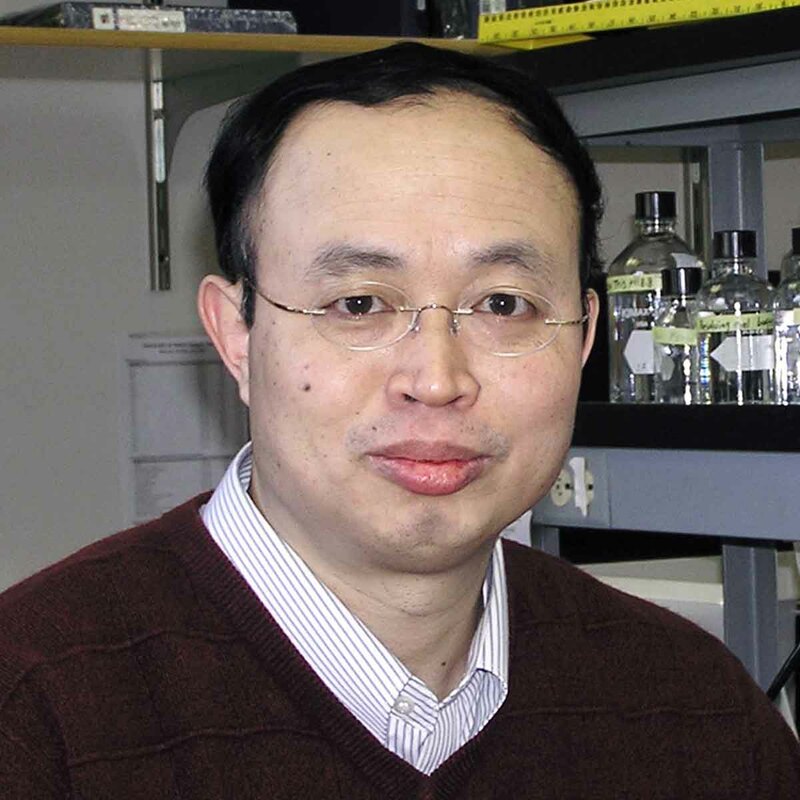 His research covers areas of biochemistry, cell biology, genetics and genomics of plants, with special interests in cell wall biosynthesis, flower and seed development, and biological nitrogen fixation. Under the supervision of the weed and pest director, Dave has been working on noxious weed control for the past 15 years. In the weed department, we work with multiple state and federal agencies and local working groups to implement the noxious weed programs and projects. In the weed department, we have multiple projects such as noxious weed biocontrol, rancher’s cooperative projects, spray days and South Fork cooperative weed management. We are active with the state and southwest weed control associations. Mir was the president of the state weed control association and Dave chairs the South Fork cooperative weed management project. Mir wrote and received a grant to obtain state-of-the art noxious weed storage facilities. Under the supervision of the Director, Dennis has worked as a seasonal field technician for 10 years. He assists Mir with multiple weed control projects. He will also assist with pest control projects as needed. 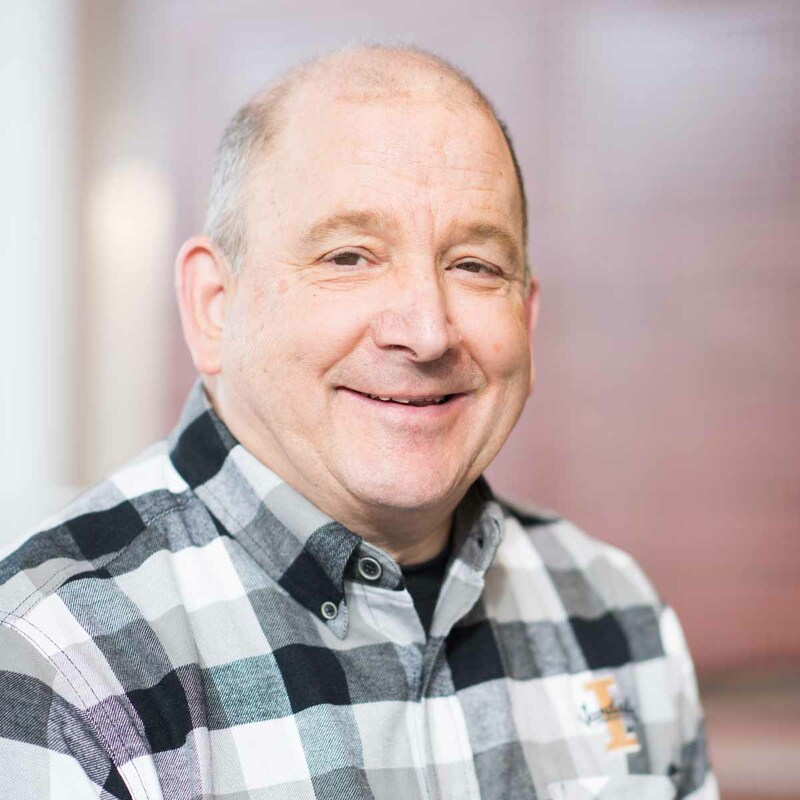 As a researcher and educator, Hunt was engaged in a broad spectrum of activities that involved applied aspects of ruminant nutrition, with particular emphasis on beef cattle. Major responsibilities include nutrition, health, food safety, volunteer development and 4-H youth development educational programming. This includes assessment and development of programs within Minidoka County and southern district. Premier Potato Cropping Systems Weed Management Program. Increased database of hairy nightshade biology in potato cropping systems. Hairy nightshade control with targeted tank mixtures. Potato variety tolerance to new potato herbicides. Effect of glyphosate carryover in tubers of multiple potato varieties. New information on herbicide management of the Pale Cyst Nematode trap crop Solanum sisymbriifolium. Website publishing, organizing fertility trials, fungicide trials, new variety updates, quality data and table updates, technology and equipment maintenance. Assists growers in cereal agronomic and disease management decisions. 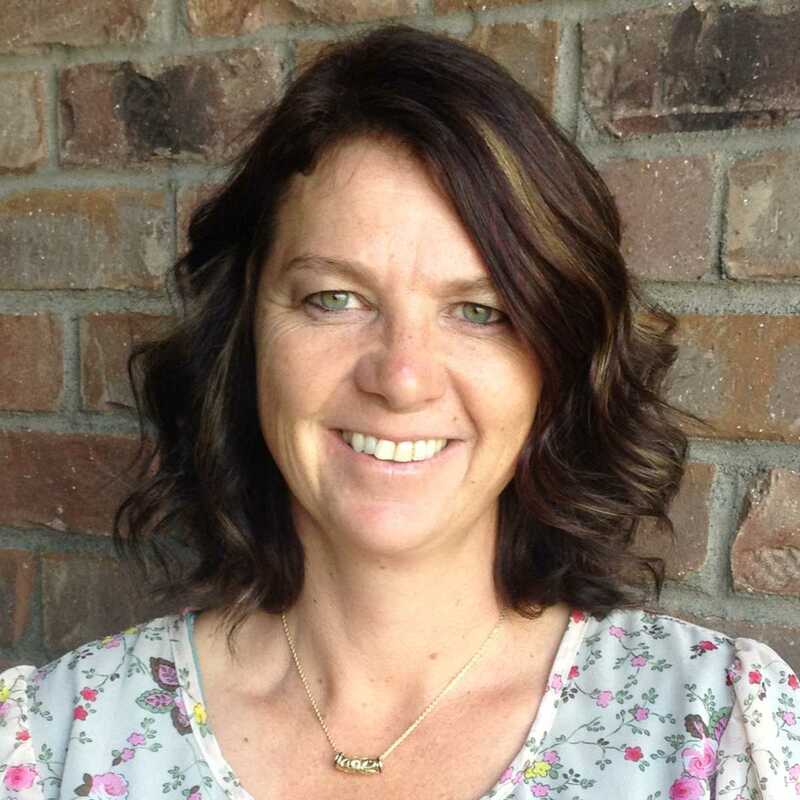 Cammie coordinates the Eat Smart Idaho program in the southern district counties of Butte, Cassia, Custer, Gooding, Jerome, Lemhi, Lincoln, Minidoka and Twin Falls. 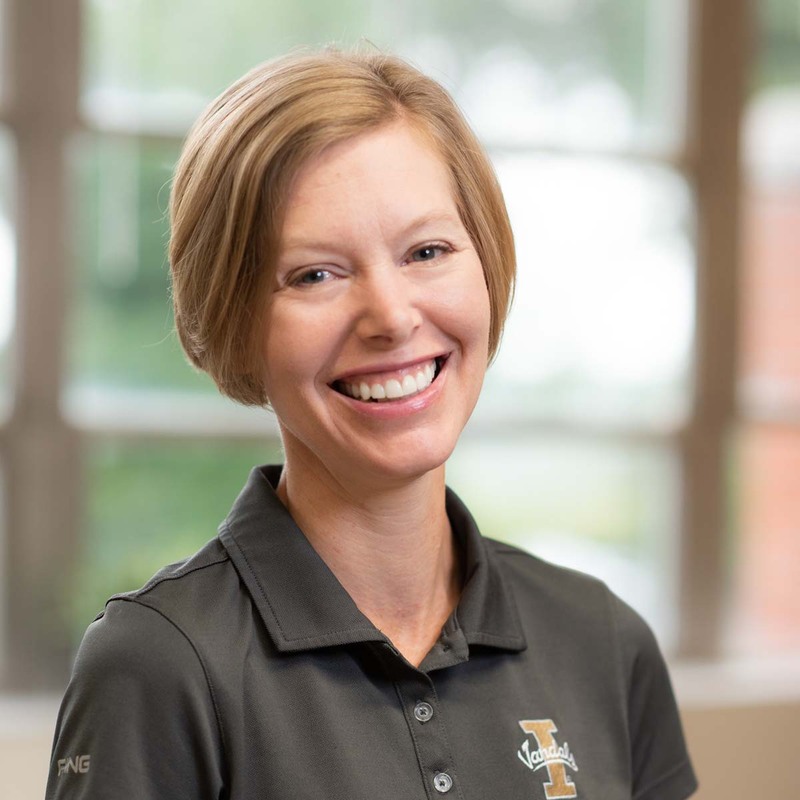 She is responsible for recruiting, hiring, training and supervising nutrition advisors, and is the liaison between outside agencies and various University of Idaho departments. 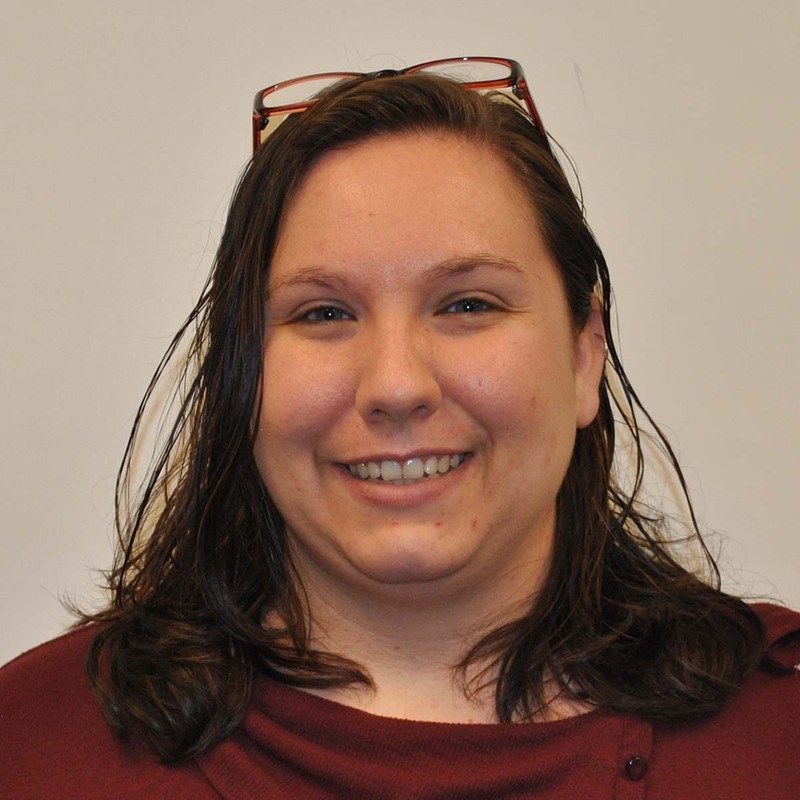 Erika joined UI Extension 4-H Youth Development in Oct. 2011. Erika's key responsibilities include 4-H website, curriculum and 4HOnline. Erika comes from Boundary County where she served as a 4-H program coordinator for seven years, giving her experience and understanding of the 4-H Youth Development program. 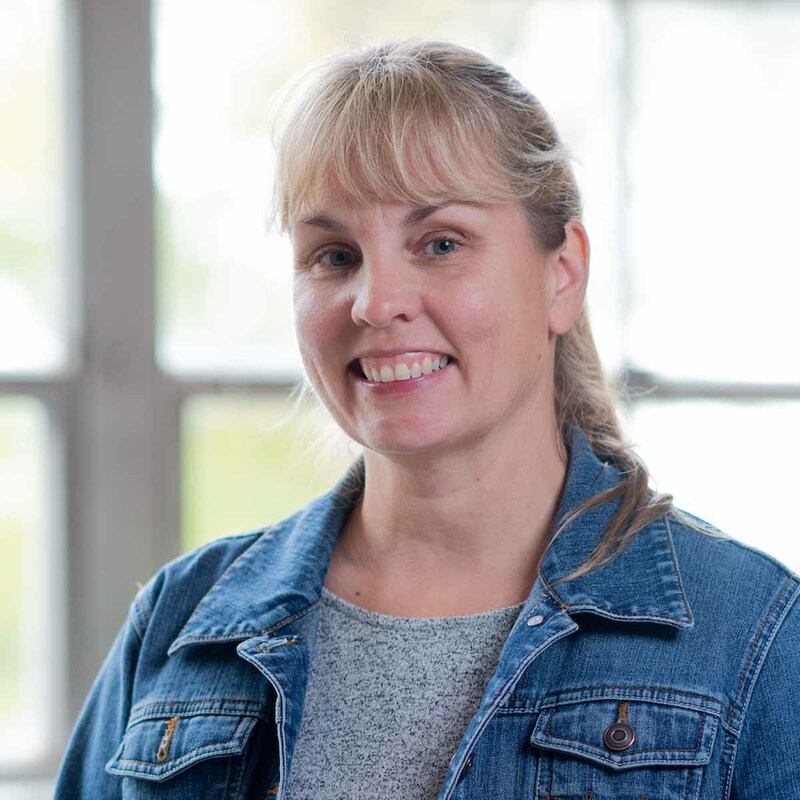 Jensen’s teaching experience includes Extension classes and workshops for adults and children in horticulture and small acreage farm production. 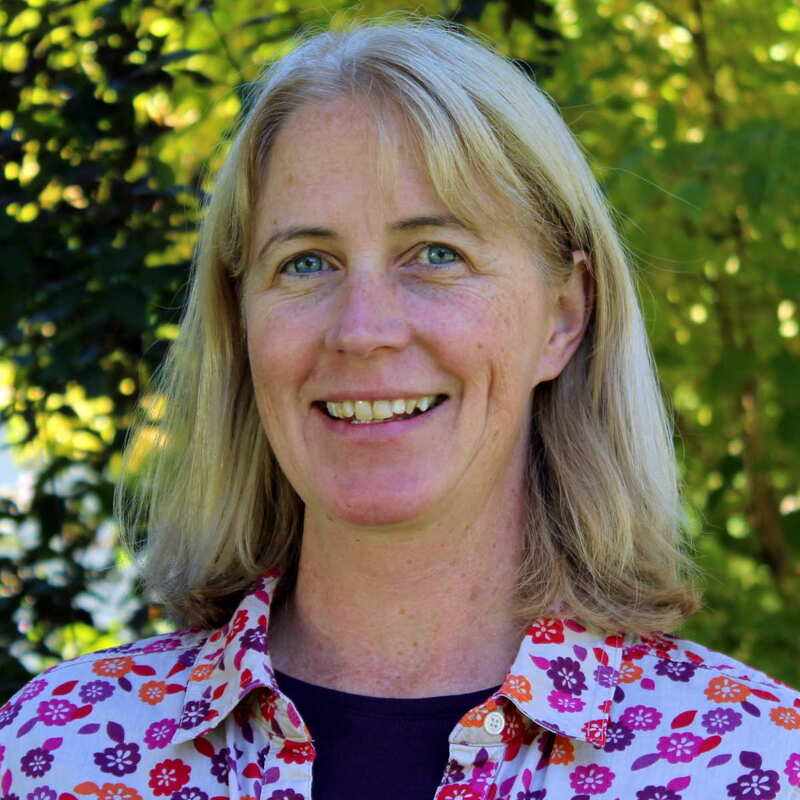 She serves the citizens of Bonner County with one-on-one consultations for garden and vegetable production matters. 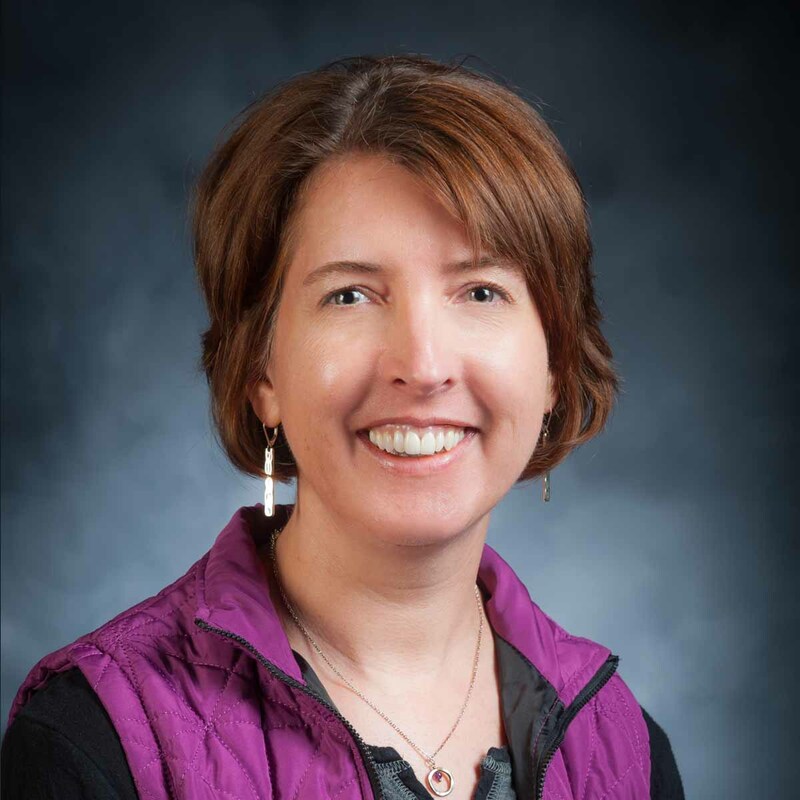 Kirstin has served as an Extension educator in Idaho County since 2008 with an emphasis in family and consumer sciences. She offers programming in health, nutrition and fitness to all community members, schools and businesses. 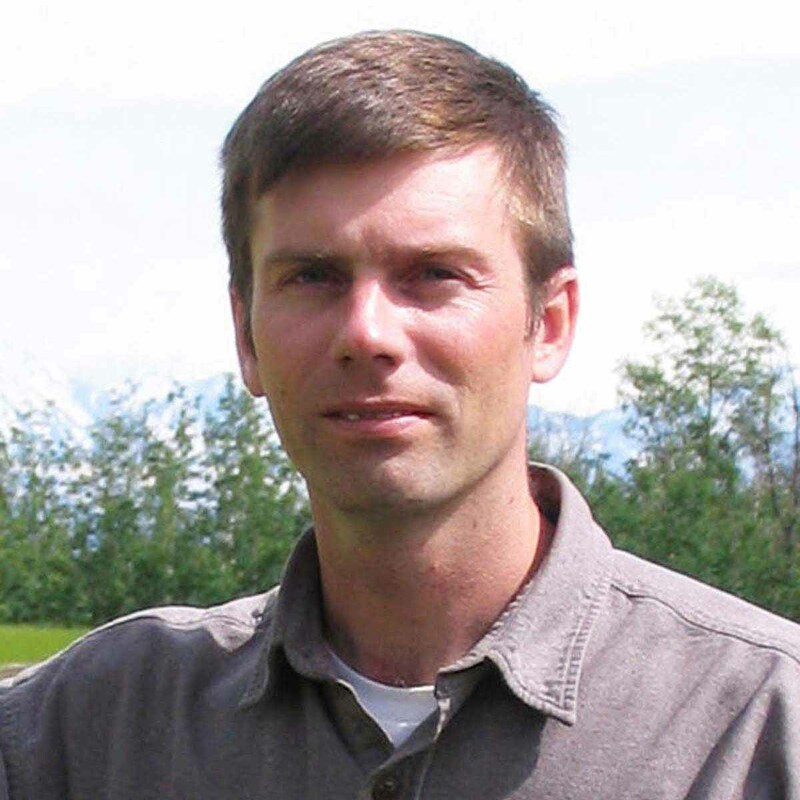 Scott conducts applied research and extension programs in beef cattle, range and pasture management. 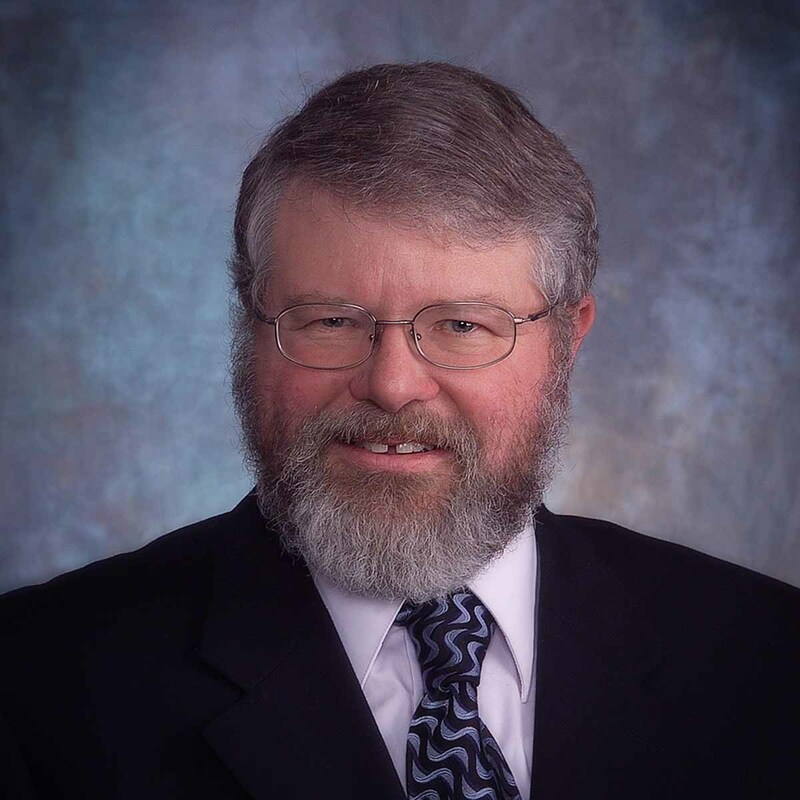 He co-coordinates the Idaho Beef Quality Assurance program and conducts the longstanding Lost Rivers Grazing Academy. He provides BQA, AI, milker and calving schools in Spanish. 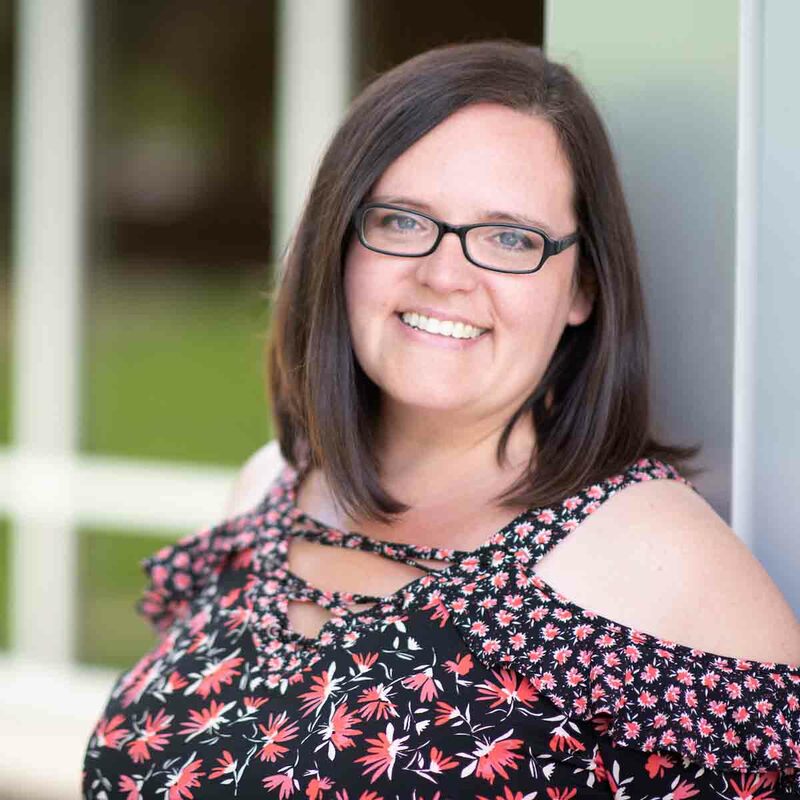 Carrie Johnson previously served as the 4-H Program Coordinator for Gem and Boise Counties, the Annie's Project Coordinator and the 4-H Fair Secretary in Gem/Boise County. As a nine-year member of 4-H, Johnson was inspired to go to the University of Idaho to study Animal Science. Shelly specializes in nutrition, health promotion and wellness programs. 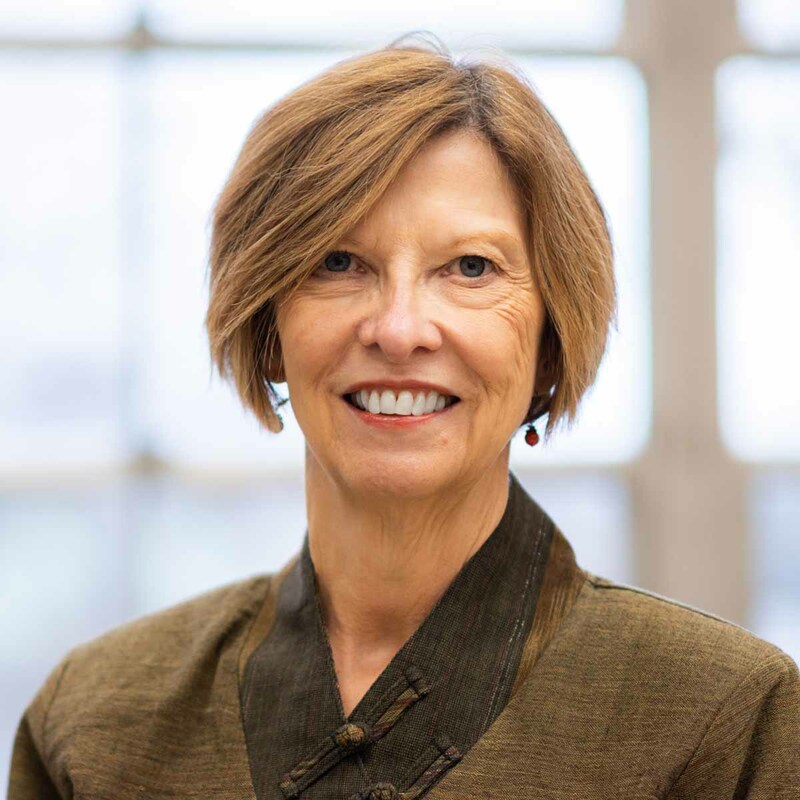 She is known for her work in obesity prevention, senior nutrition, diabetes management and nutrition education for high-risk, low-income families. Isolation and culturing plant pathogens, analyzing seed phosphorus data, data compilation, operating FOSS Near Infrared spectrophotometer, performing beta glucan testing, participating in planting and harvest operations. 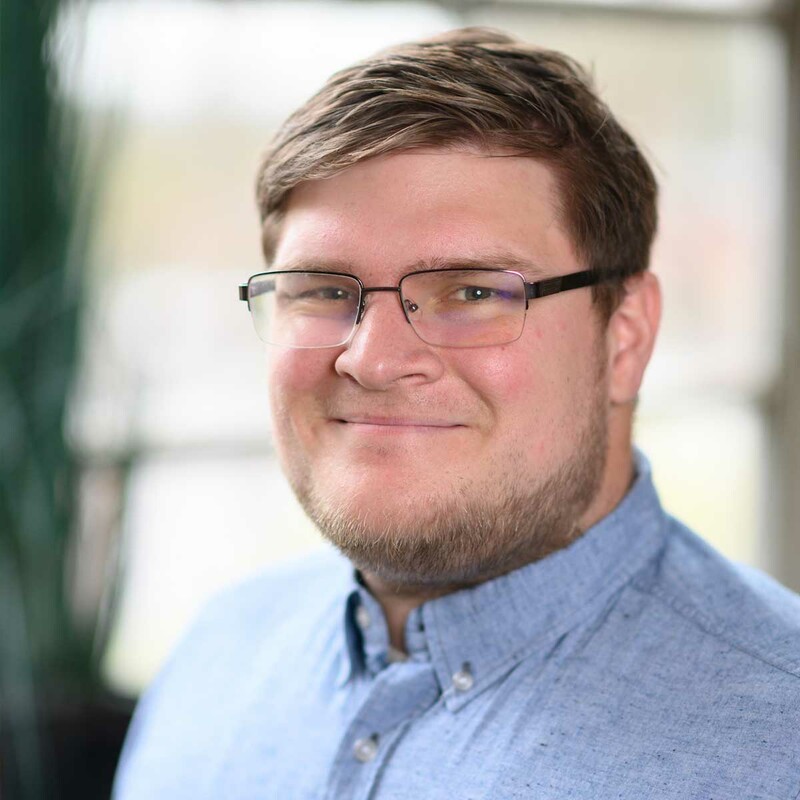 Kahl manages the Soil and Water Resources Lab where much of the research is focused around carbon and nitrogen cycling, earthworm ecology and soil health monitoring in regional conservation agriculture soils and native ecosystems. 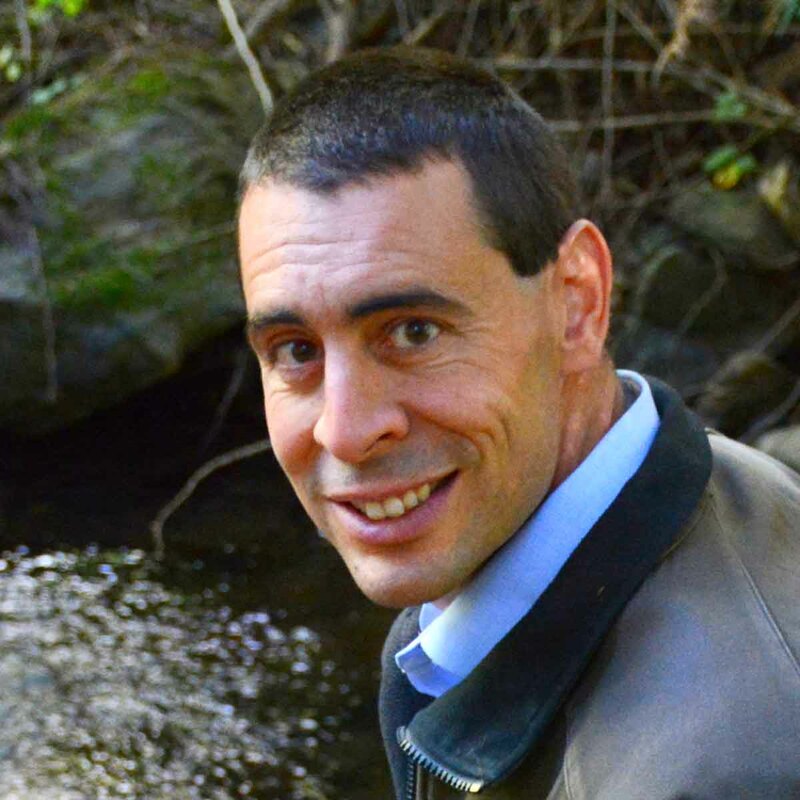 My projects focus on the understanding of ecosystem biogeochemical cycles within natural and managed ecosystems with an emphasis on ecosystem sustainability, resilience, diversity and adaptation. I research evapotranspiration, precision agriculture technology and irrigation, and fundamental physics. I enjoy working with students and collaborating with other scientists and engineers to improve agriculture's economic and environmental sustainability. Kinder grew up on a commercial cattle ranch and feedlot and raised registered Black Angus cattle for her 4-H and FFA projects. She was and is very active in 4-H, FFA and National Jr. Angus Associations as a member and now as a volunteer. Kinder loves to provide opportunities to youth and families learning about their animal projects, particularly with feeding, giving shots and quality assurance. She also likes to have youth discover things, which is why she created animal science experiments. Owner and clinical practitioner of a rural mixed animal veterinary practice. The practice emphasized strategies, of preventative medicine, herd health and client education. In addition I was a temporary instructor at the University of Idaho. 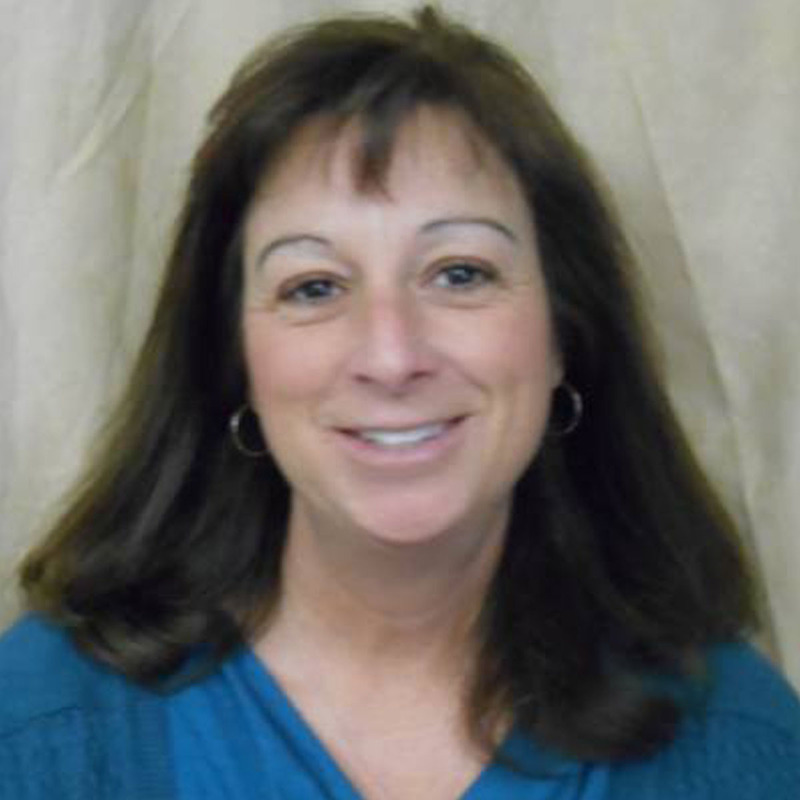 Kim works as the administrative assistant and Master Gardener coordinator. I maintain the lab and it's equipment. We research solid-liquid separation, nutrient content and best practices of dairy production. 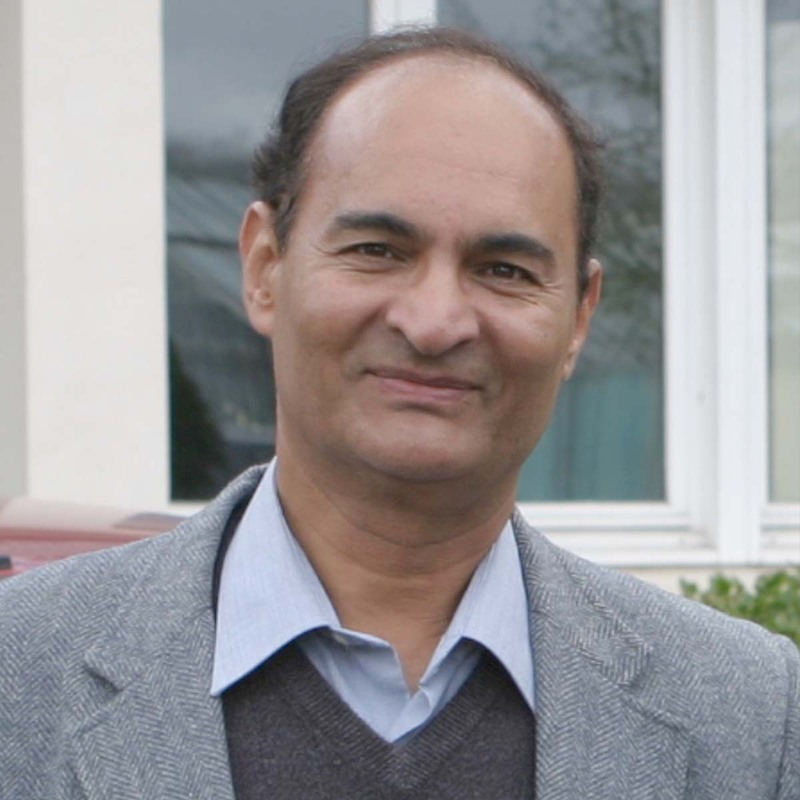 Kumar’s research interest revolves around aquaculture (marine and freshwater); nutrition, physiology and genomics of aquatic animals. Main aim of his research is to develop nutritionally balanced, environmentally sound and cost-effective seafood production. Laarman’s research focuses on improving nutrient uptake in cattle, especially during growth and diet transitions. 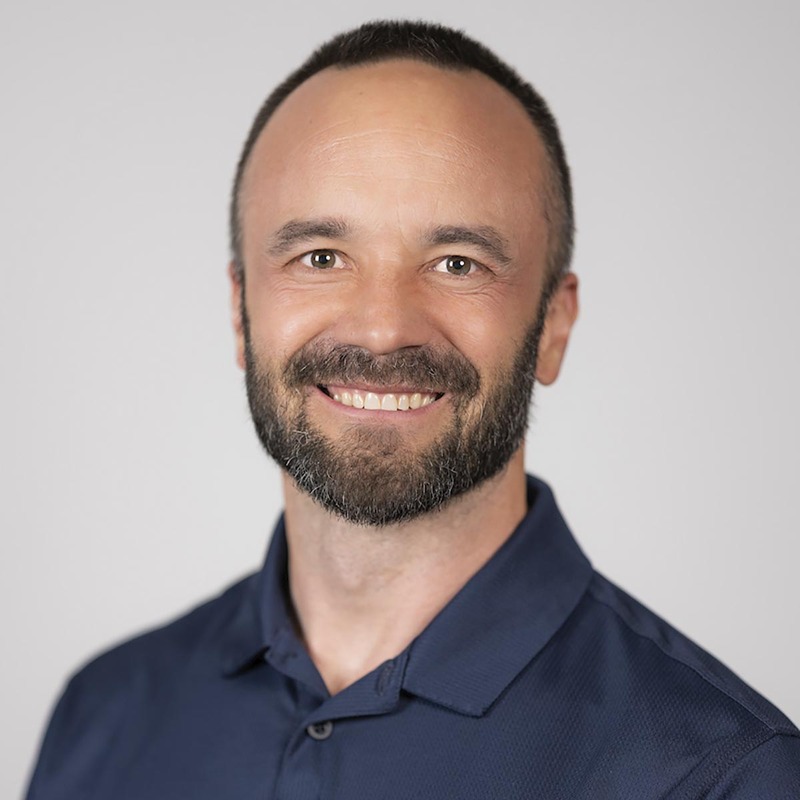 His teaching experience is primarily in nutrition and physiology, and aims to incorporate student projects and presentations to maximize student engagement in learning. Lancaster grew up in Jerome, with horses and registered Hereford and Angus cattle. She was very active in 4-H, taking beef, dairy and horse projects, as well as sewing, Dutch oven and KYG projects. She was also very active in the Idaho Junior Hereford Association and other state horse organizations. 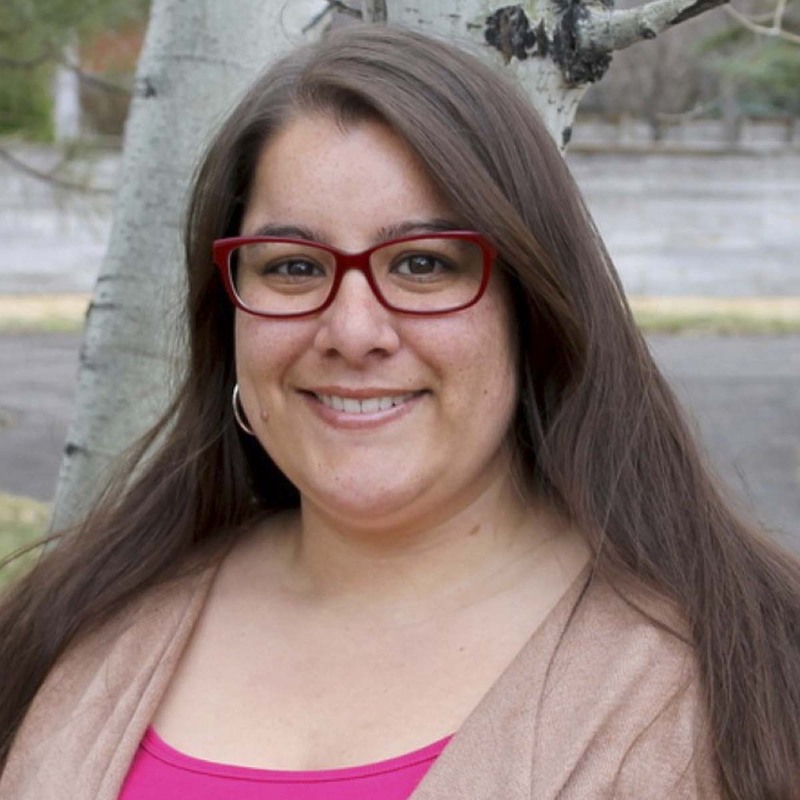 Lancaster graduated from Utah State University and is excited to come back to the 4-H program. She loves helping members find opportunities to become involved and gain new skills. 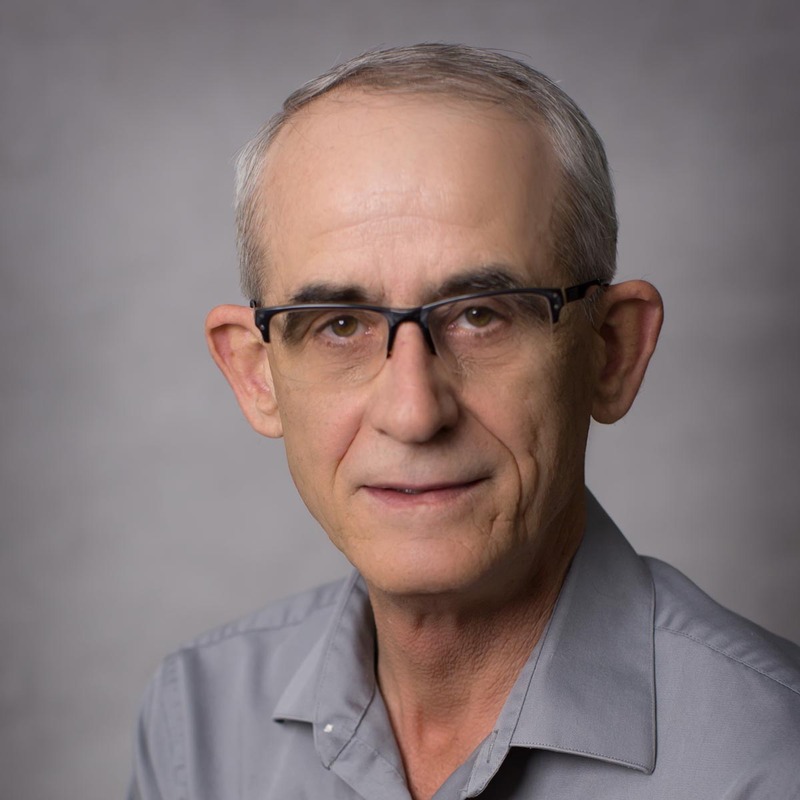 Luc Leblanc has many years of experience in the fields of insect taxonomy (especially Tephritidae and Ichneumonidae) and managing insect collections. He also lived and worked many years abroad, implementing plant protection-related projects in Africa (1989-1994) and the South Pacific Islands (1994-2002). 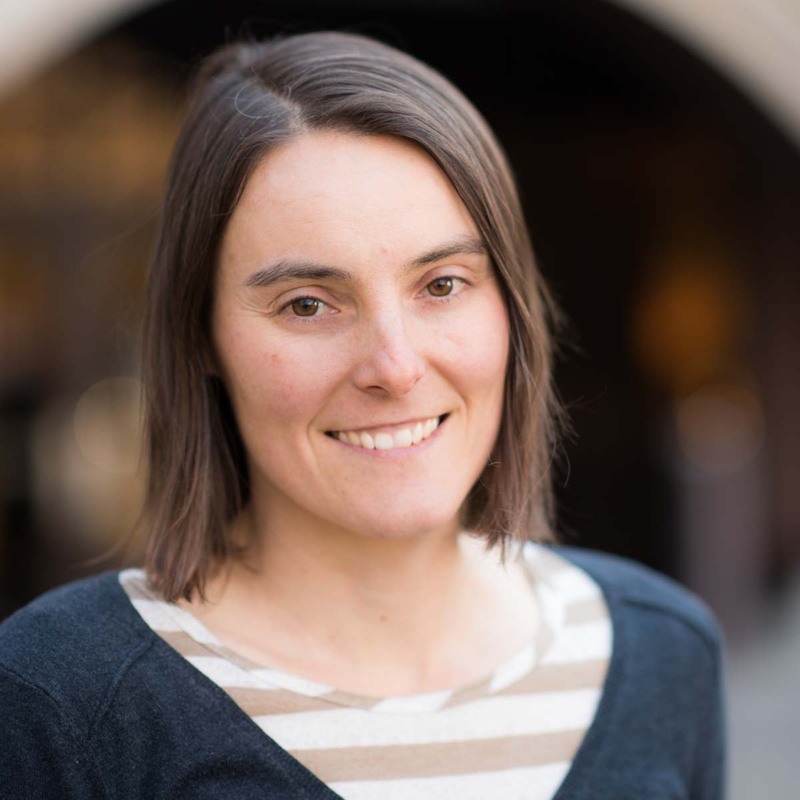 Katherine is an applied natural resource and environmental economist with a background in natural science. 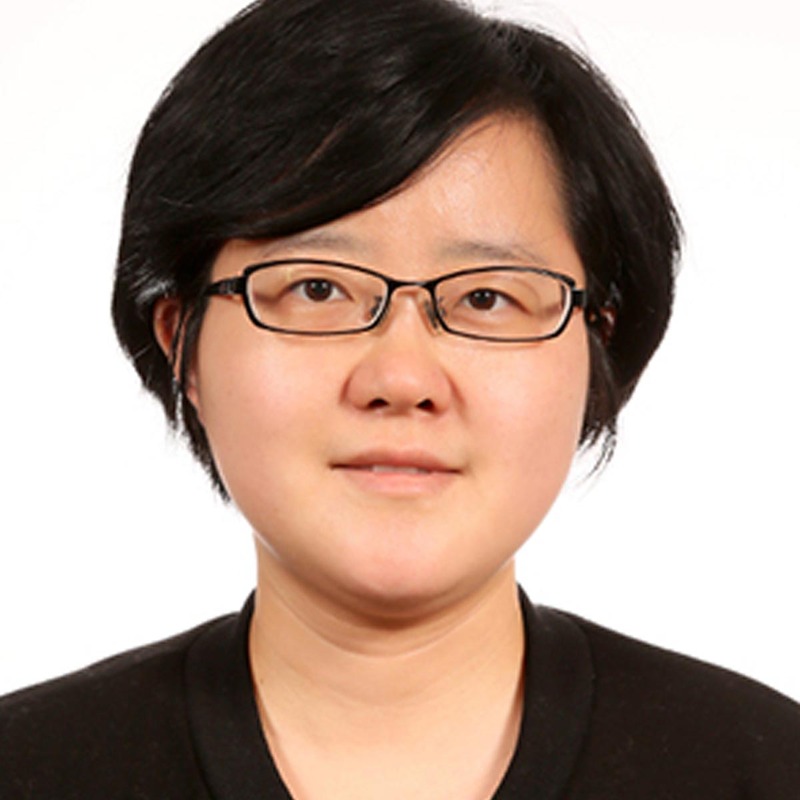 Her research is highly interdisciplinary, using economic and ecological concepts in mathematical models and empirical analyses in order to explore feedbacks between human and natural systems. 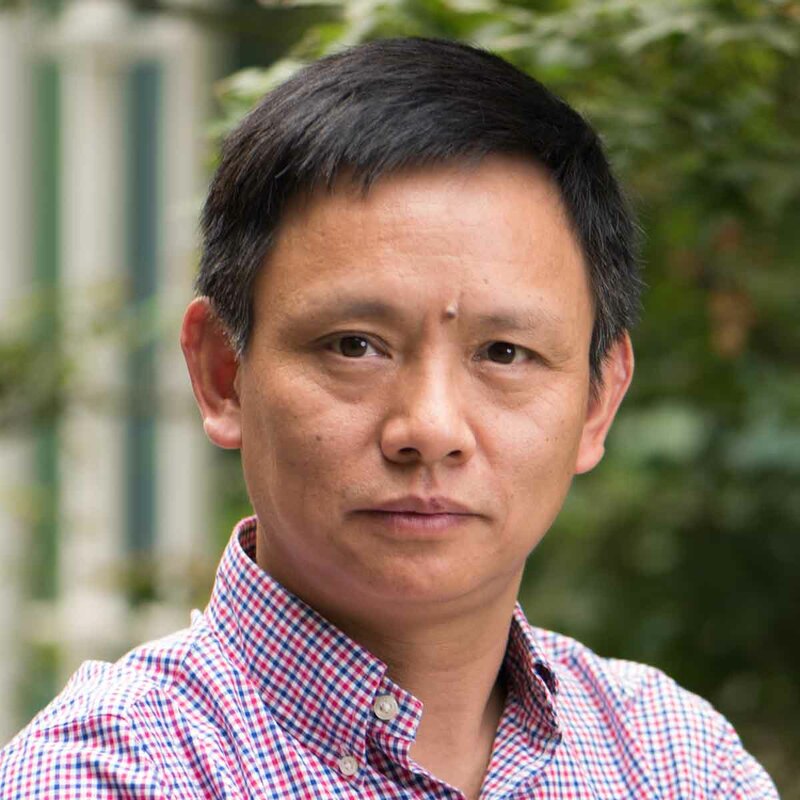 Xi Liang is leading a Cropping Systems Agronomy program with focuses on crop physiology in response to abiotic and biotic stresses, irrigation management and alternative crop agronomy (e.g., cover crops and quinoa). 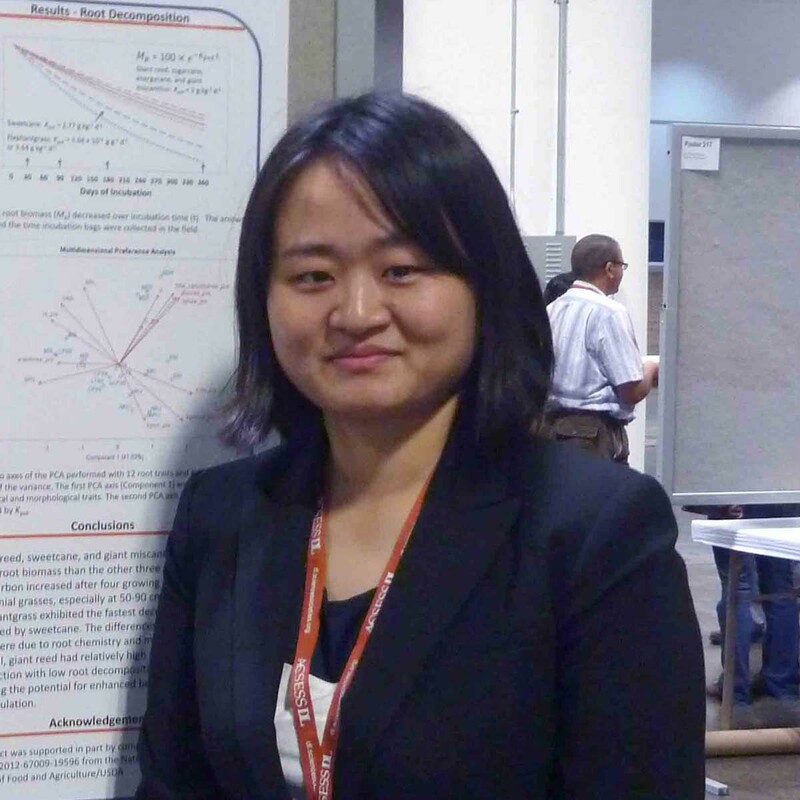 My research focuses on starch chemistry and its influence on human health and functionality. Starch is the major glycemic carbohydrate source for humans, and the final digestion product — dietary glucose, is a major energy source and affects some physiologic responses. Starch is also the major eatable component in crops, such as potato and wheat, and its properties and interaction with another macro- and micro-molecules have a significant impact on crop end-use quality. I am a research assistant for Erik Wenninger at the Kimberly Research and Extension Center. My work is broadly focused on the behavior and ecology of the potato psyllid, an important disease vector in potato crops. I am exploring the factors that influence the invertebrate and microbial communities within the leaf litter and soil in agricultural and tropical ecosystems. Rebecca is a bilingual nutrition advisor, she teaches classes for limited income families and youth. 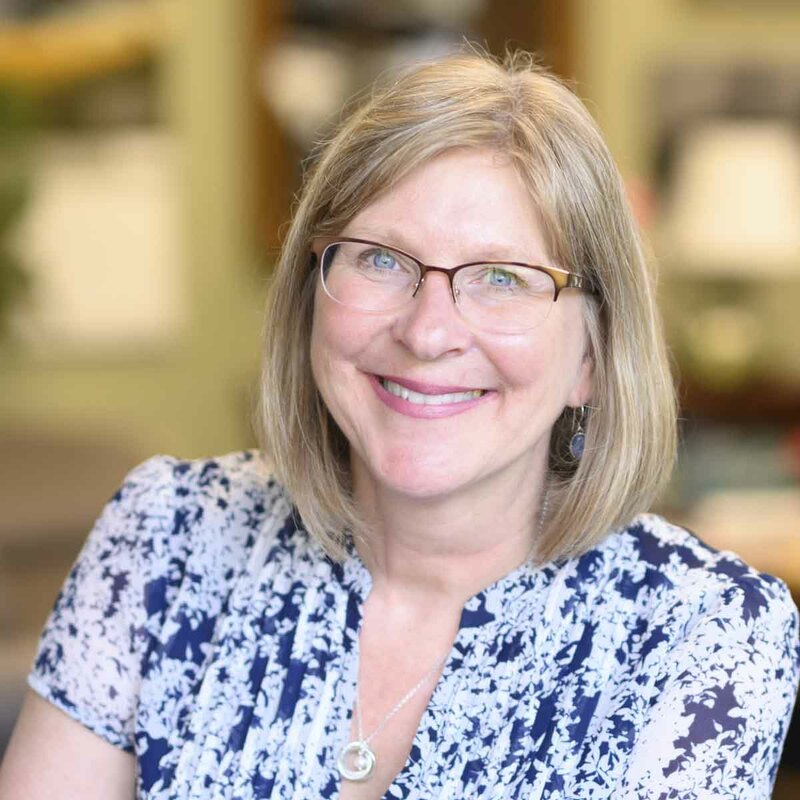 You can find her teaching at Women, Infants and Children Program clinics, Headstart centers, Working Solutions, food pantries, elementary schools and summer feeding programs. Classes include information on nutrition, physical activity, food safety, resource management and tips for parents feeding young children. 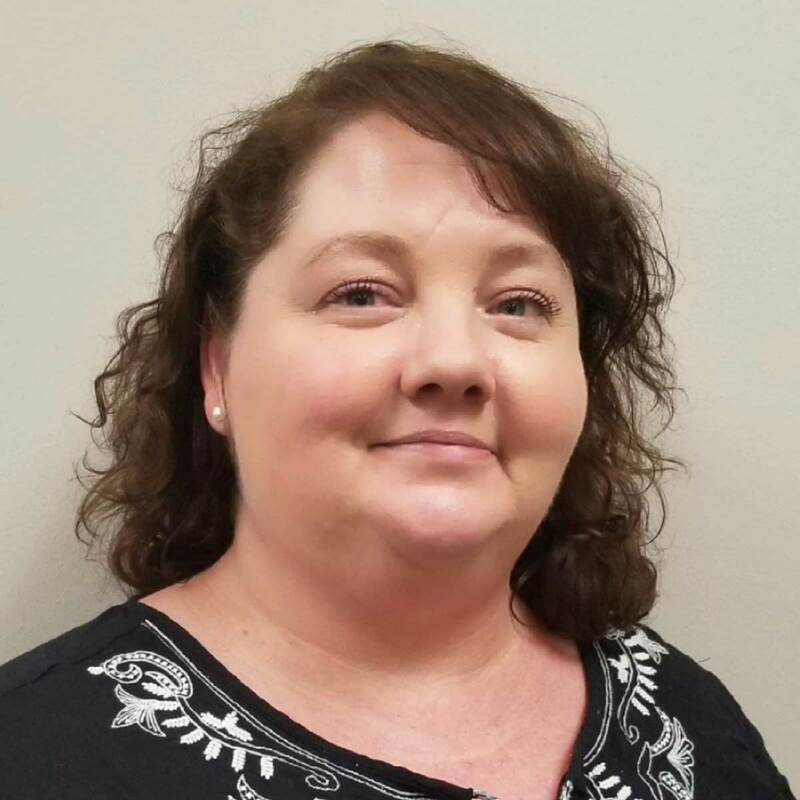 Betsy serves as the UI Extension program assistant in providing office support to the Extension educator and 4-H program assistant. Her focus is to help with the growth and expansion of programs offered. Alana Lyons is the friendly voice on the phone or the smiling face that you see if you call or drop by the UI Extension office in Idaho County. 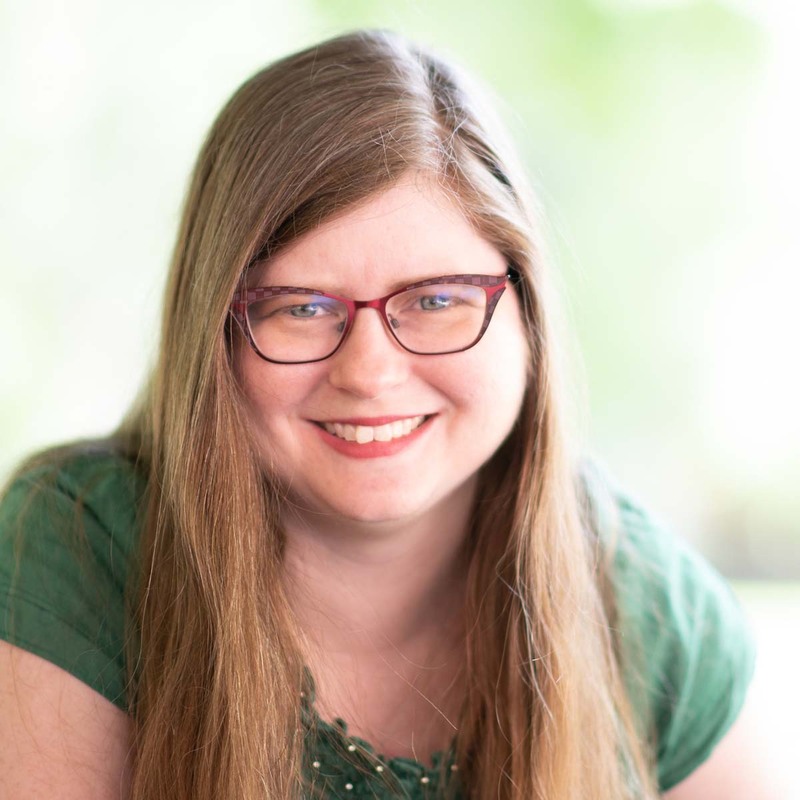 Alana provides assistance with 4-H program materials for clubs, helps out at various 4-H events and activities, coordinates the publishing of all Extension newsletters and helps direct client calls and inquiries. Maas’ research areas include the allocation and valuation of scarce resources, with a focus on water related issues. 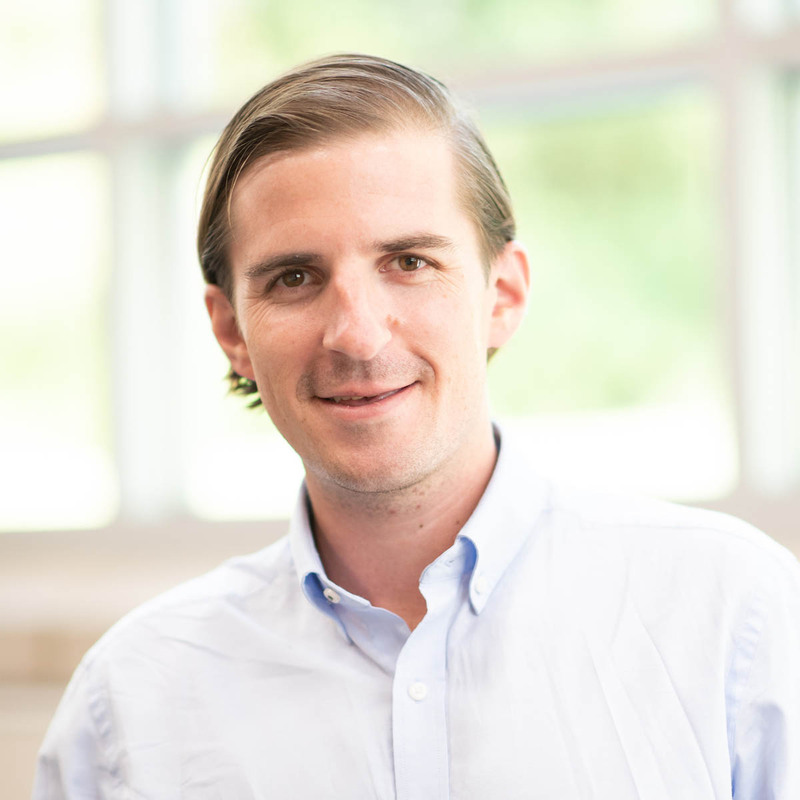 He is an interdisciplinary, applied economist with a particular focus on the economic implications of resource management and local policies. Robert conducts research on water quality and water quantity water resource issues in Idaho. In addition to public perceptions, priorities and actions taken to address water resource issues in the Pacific Northwest. Gretchen 's programming areas include health and nutrition, food safety, financial management and 4-H youth development. Gretchen served as a community nutrition advisor for Eat Smart Idaho (SNAP-Ed and Expanded Food and Nutrition Education Program) for many years. She is a Registered Dietitian Nutritionist (RDN) and enjoys teaching. Iris leads community-level Extension efforts in small farms and horticulture for Latah County. Supervises chemists, laboratory technicians and support personnel performing analyses for environmental, soil, water, plant and veterinary toxicology samples. Schedules work flow and instrument maintenance, provides quality control oversight and staff training as well as general group management tasks. Reviews all work performed in the analytical laboratory for validity according to quality control defined guidelines. Reviews and approves standard operating procedures; supervises method development and modifications to procedures as improvements become necessary. Writes grant proposals and conducts research on projects that are pertinent to the laboratory’s mission. 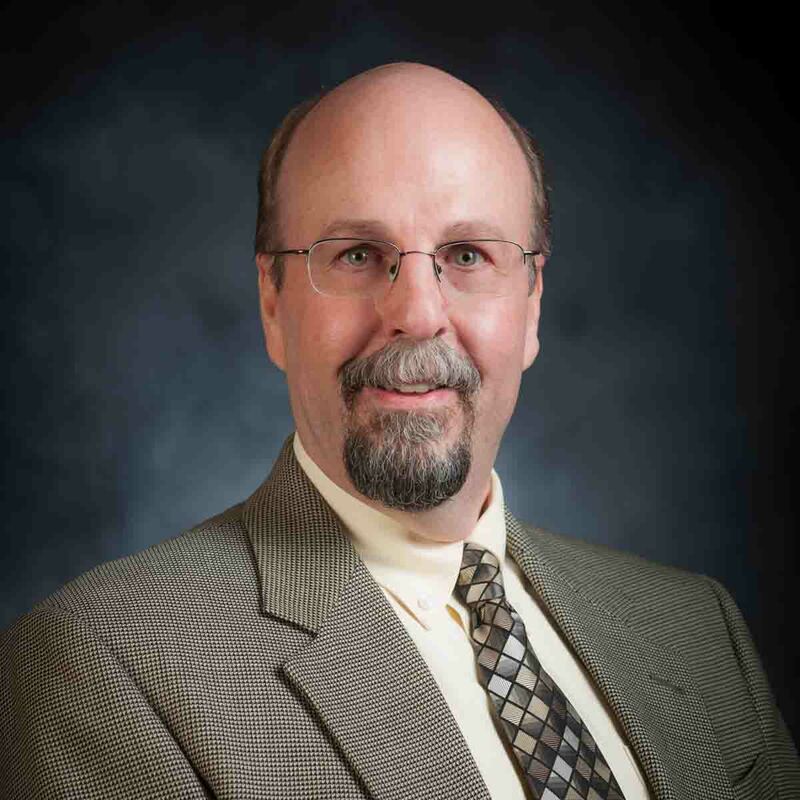 Serves as laboratory research director for pesticide residue regulatory studies under CFR 40 Section 160. Provides ISO 17025 expertise for continued laboratory compliance with quality assurance programs including accreditation by the American Association of Veterinary Laboratory Diagnosticians. 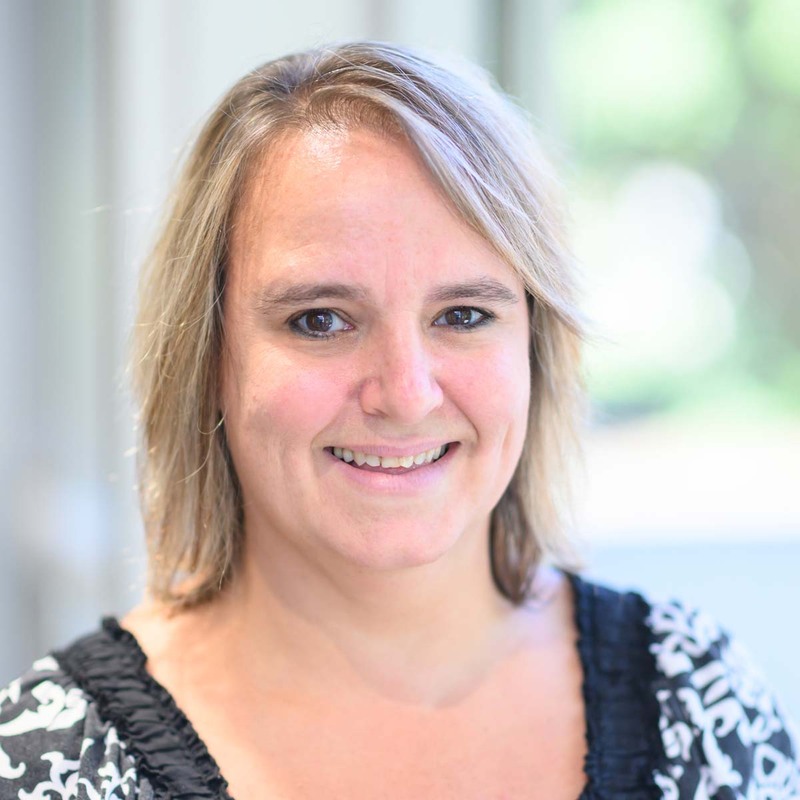 Rebecca brings a wealth of experience as an Extension educator. She has technical training in animal science and work experience in 4-H Youth Development, family and consumer sciences and food systems. 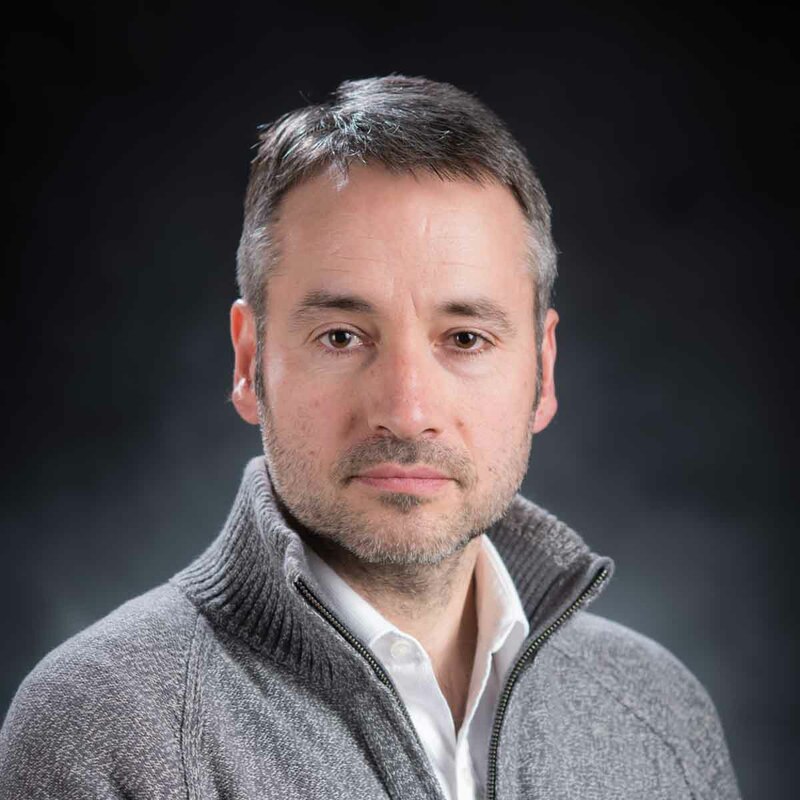 My research is centered on bacterial pathogenesis of Yersinia enterocolitica and Y. pestis, etiologic agents of yersiniosis and bubonic plague respectively. The hallmark of these infectious agents is their ability to suppress the innate immune response of mammalian hosts. Our research group conducts translational, trans-disciplinary research to advance the goals of sustainability by developing new knowledge and innovations in the area of sustainable solutions for water resources. We have had considerable impact on individuals, communities and environmental quality in a regional, national and international context. 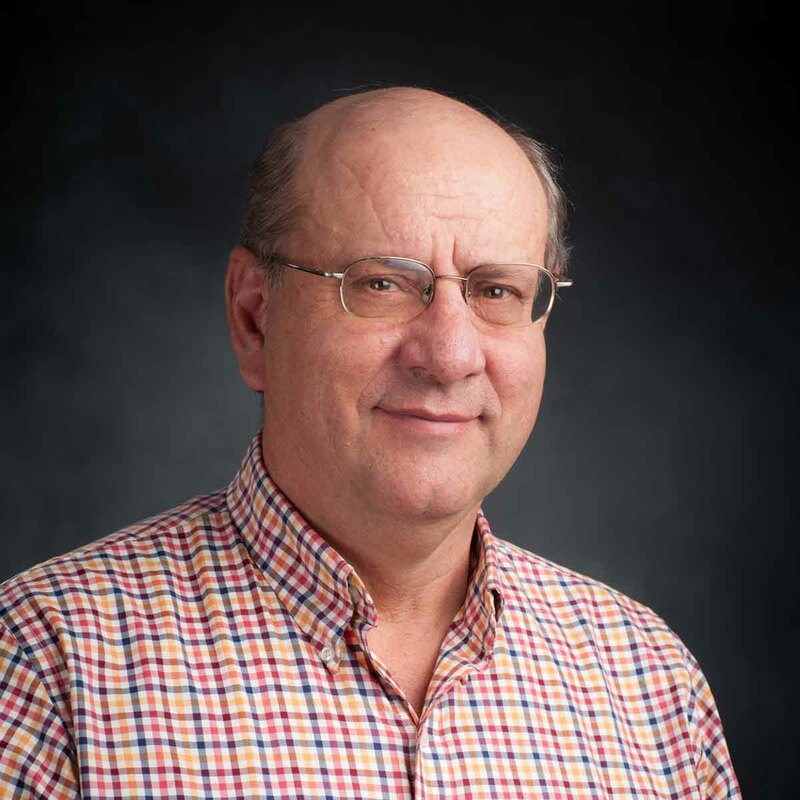 My research program is focused on the fate and transport of synthetic and natural organics in soil and water systems, with a specific interest in natural pesticides. 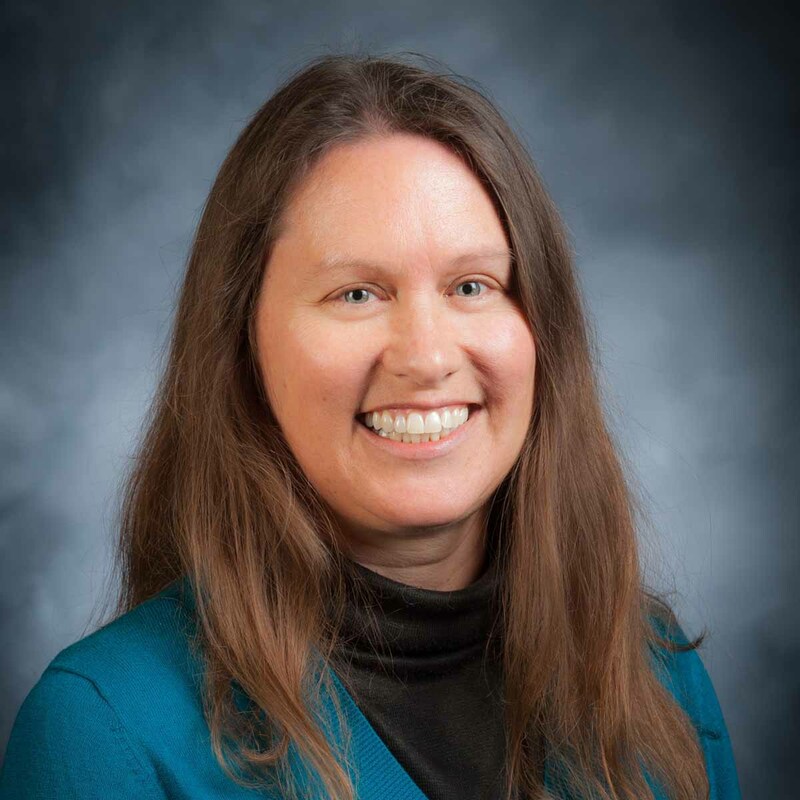 Ms. Morrisroe-Aman is a family and consumer sciences (FCS) assistant professor, in Ada County, focused on nutrition, health and food safety. She leads the district Diabetes Prevention Program and co-leads the district Master Food Safety Advisor volunteer programs. 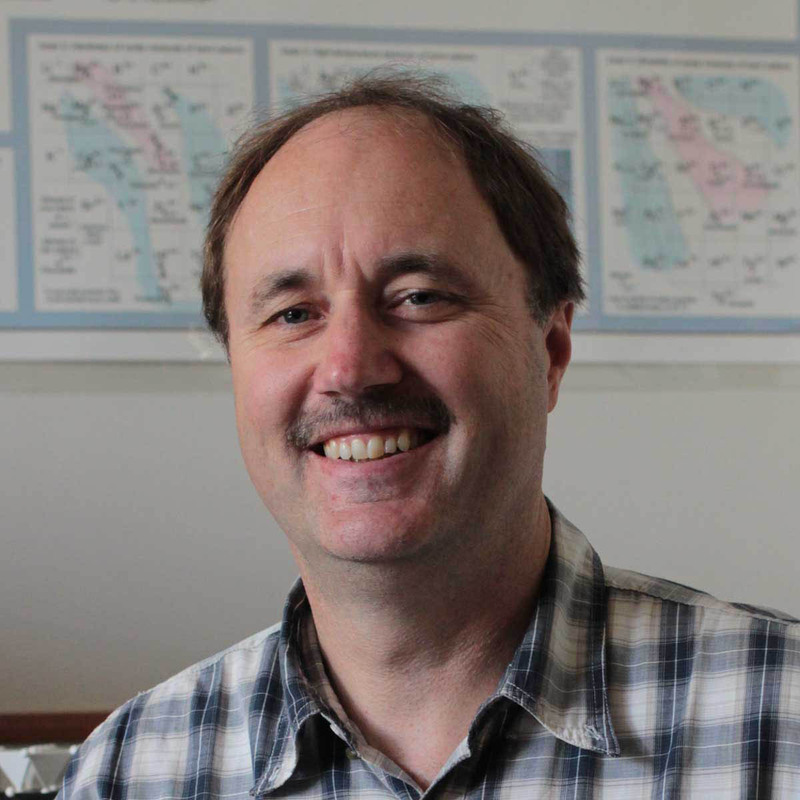 Murdoch’s research focuses on characterizing the relationship between genetic variation in mammals and traits which are valued and important to society. 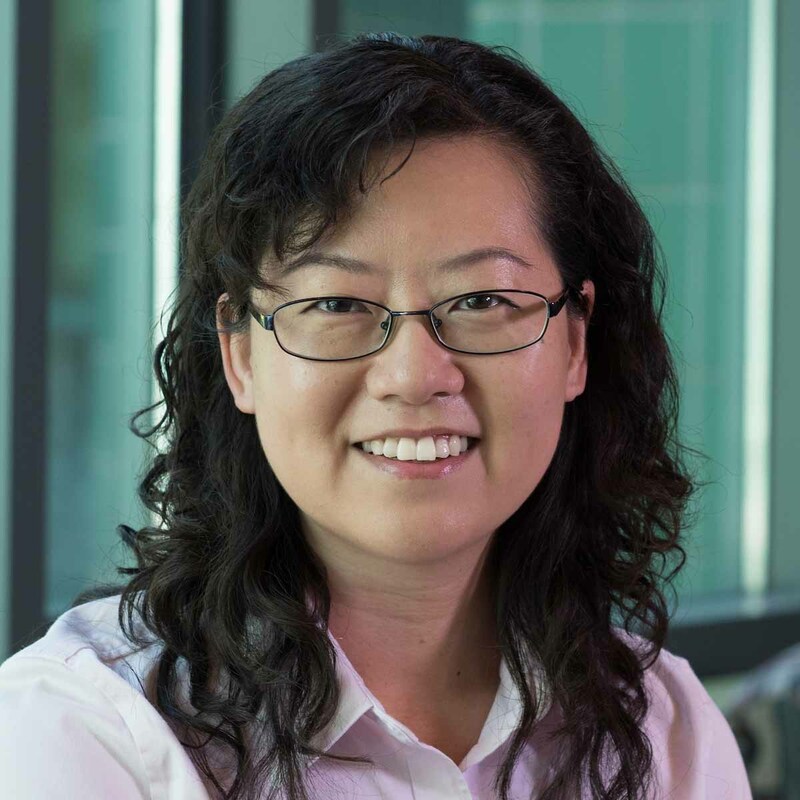 She exploits a number of molecular and genetic tools to further improve our understanding of how these variations affect biological processes of both undesirable and desirable phenotypic traits. Murdoch primarily assesses and evaluates the physiological status of striated muscle in the context of nutritional changes, growth promoters and genetic variation using advanced high-throughput molecular tools such as gene expression analyses (qRT-PCR), transcriptome analyses and proteomic, enzymatic and biochemical assays. 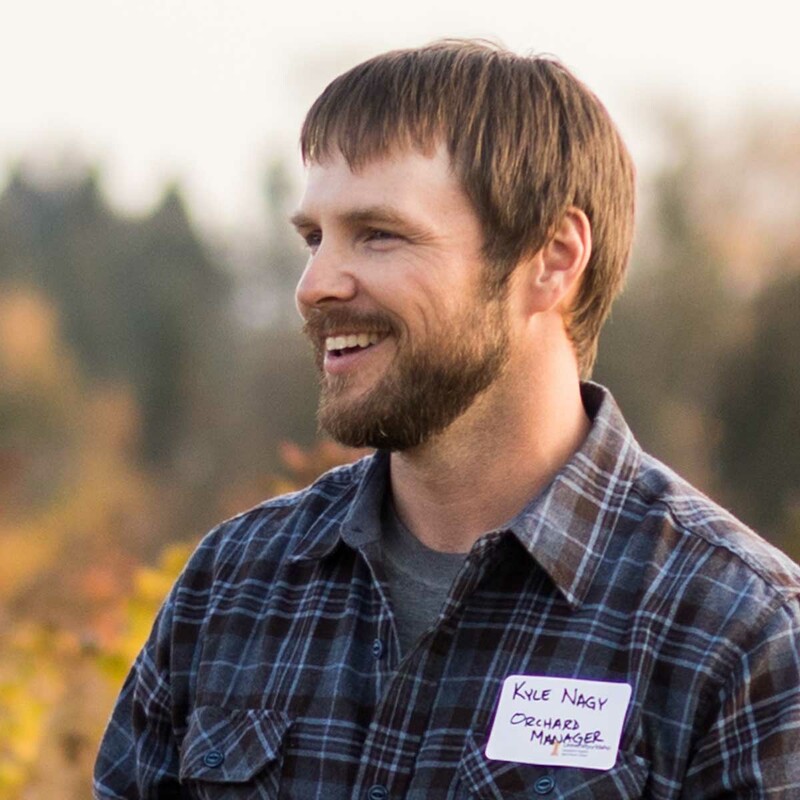 Kyle Nagy is responsible for the operations at Sandpoint Organic Agriculture Center. The center includes a USDA Certified Organic orchard that specializes in antique and heirloom fruit varieties. 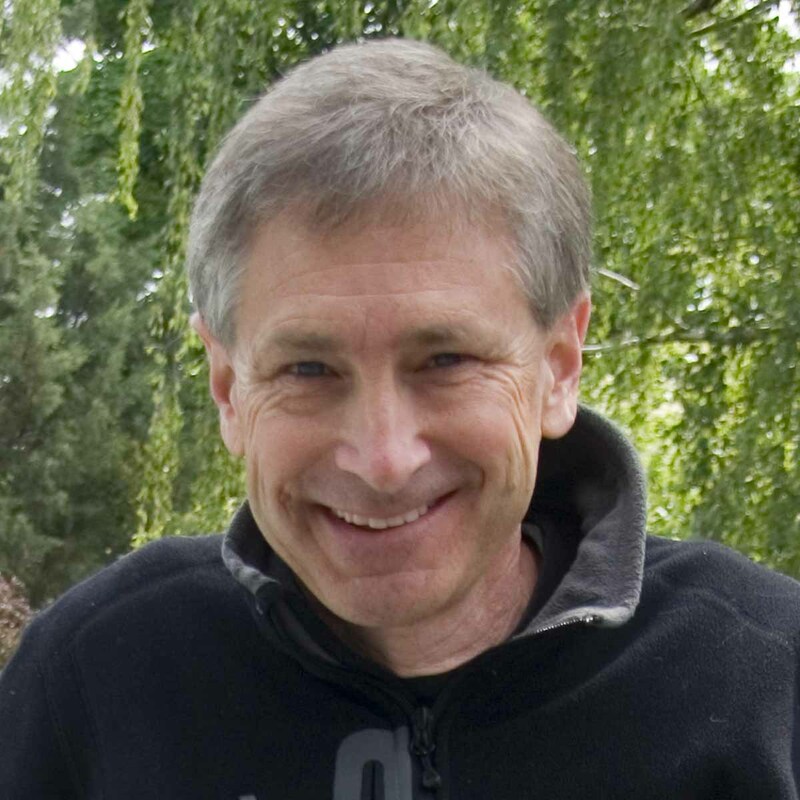 Scott joined the University of Idaho in 1995. 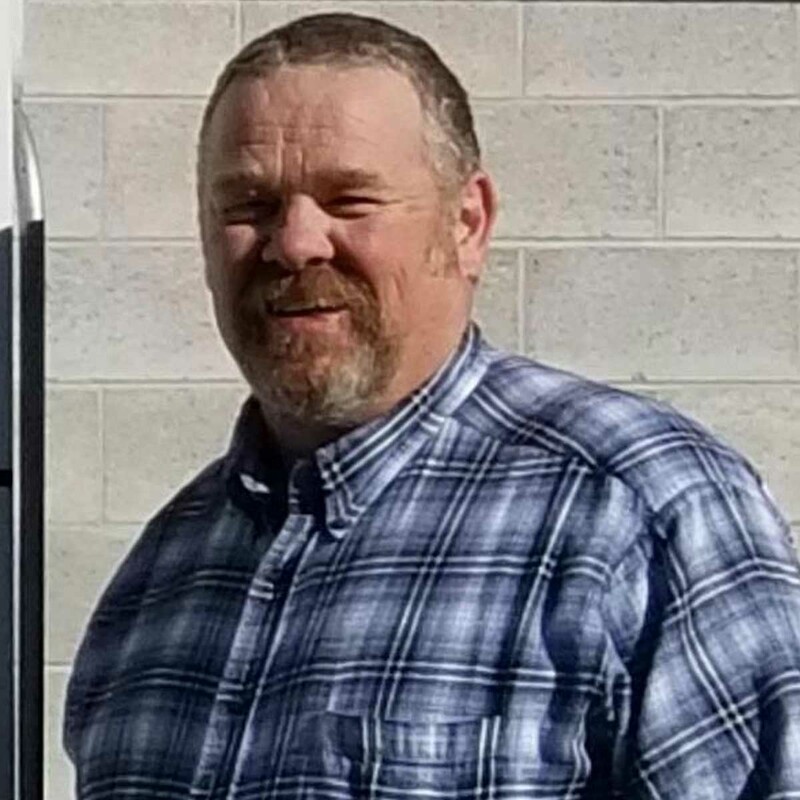 He is a regional youth development educator providing 4-H leadership in 14 eastern Idaho counties as well as statewide leadership in 4-H animal science. He was the Extension educator in Bingham and Bannock counties prior to his regional appointment. He has lived in Pocatello, Idaho for 22 years. 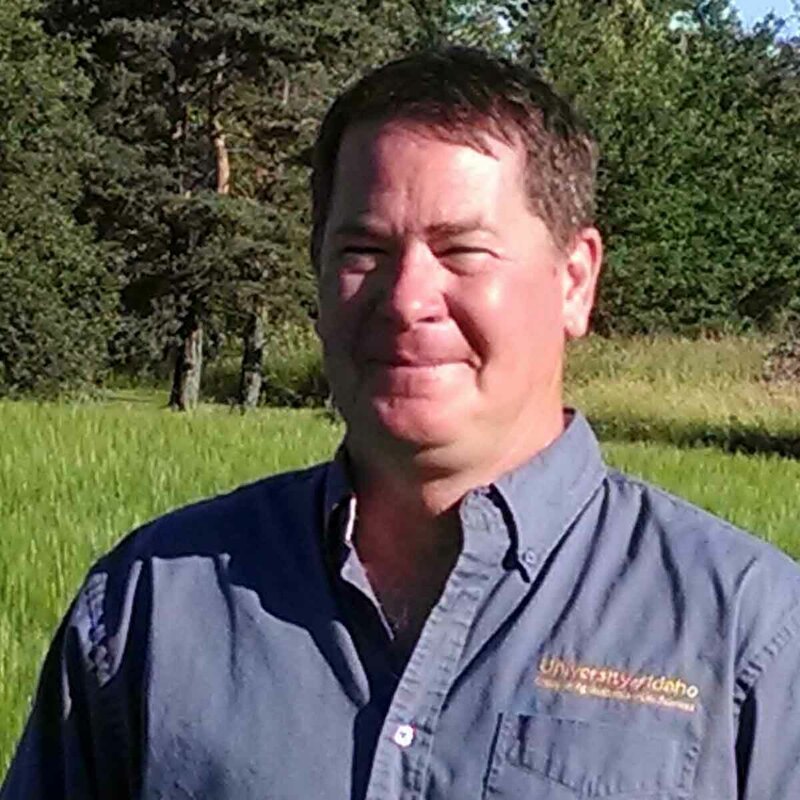 Neibling serves as the state irrigation specialist for University of Idaho Extension. In this role, he delivers educational programs, develops extension materials, works with county faculty and participates in farm visits. Our role is to continue providing leadership through development, partnership, education and collaboration that support our youth on the Coeur d'Alene Reservation through 4-H enrichment and Coeur d'Alene tribal culture. 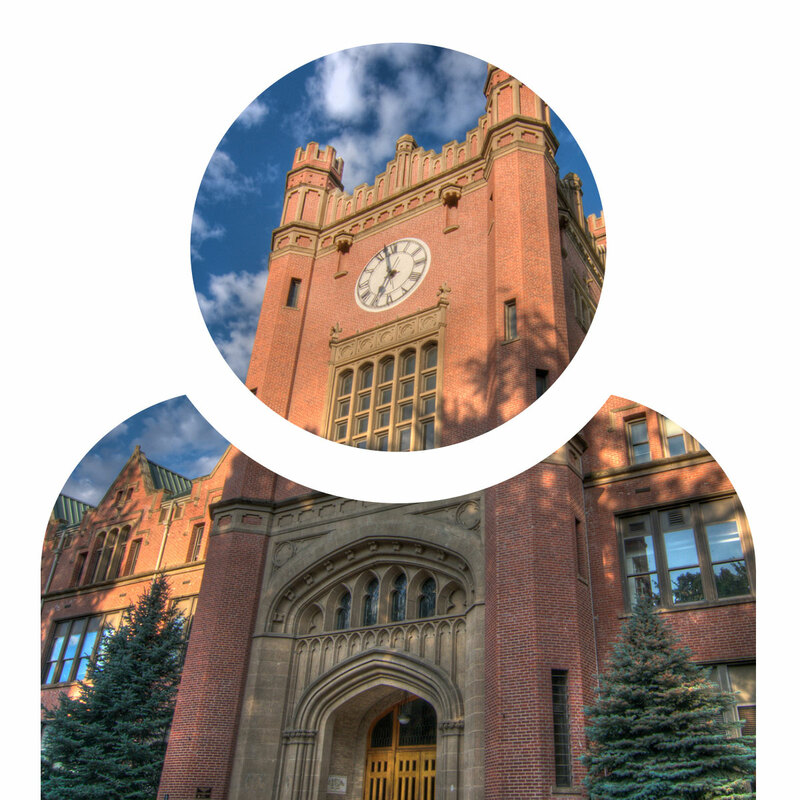 Les joined the University of Idaho in 2016. 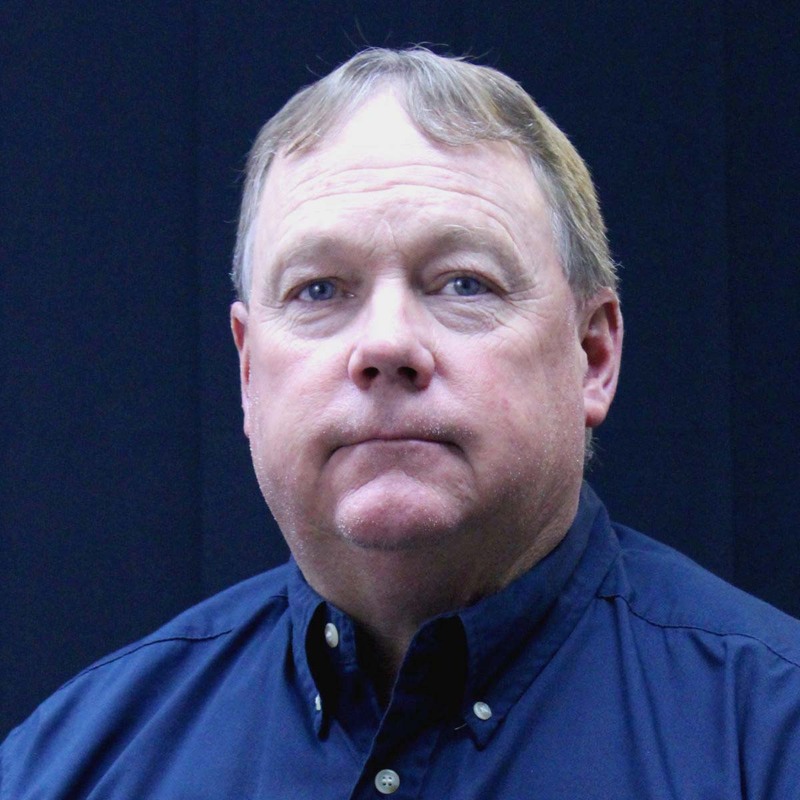 He brings to his position years of experience in the ranching industry. His emphasis is in ranch management and livestock handling. Marilyn keeps things moving at the UI Extension, Payette County office. You will find her working on 4-H member enrollments and reports, balancing the check book, paying the bills, keeping the budget on track, scheduling events and volunteers, tracking inventory and engaging in the everyday general duties that keep the office running smoothly. I teach farm and ranch financial management in connection with estate/succession planning. I also teach farm production and financial record management using Excel spreadsheets and QuickBooks. Cover crops are important to the Magic Valley, and I do research, teach and advise the use of grazing cover crops for soil management. 4-H livestock is an area of expertise. 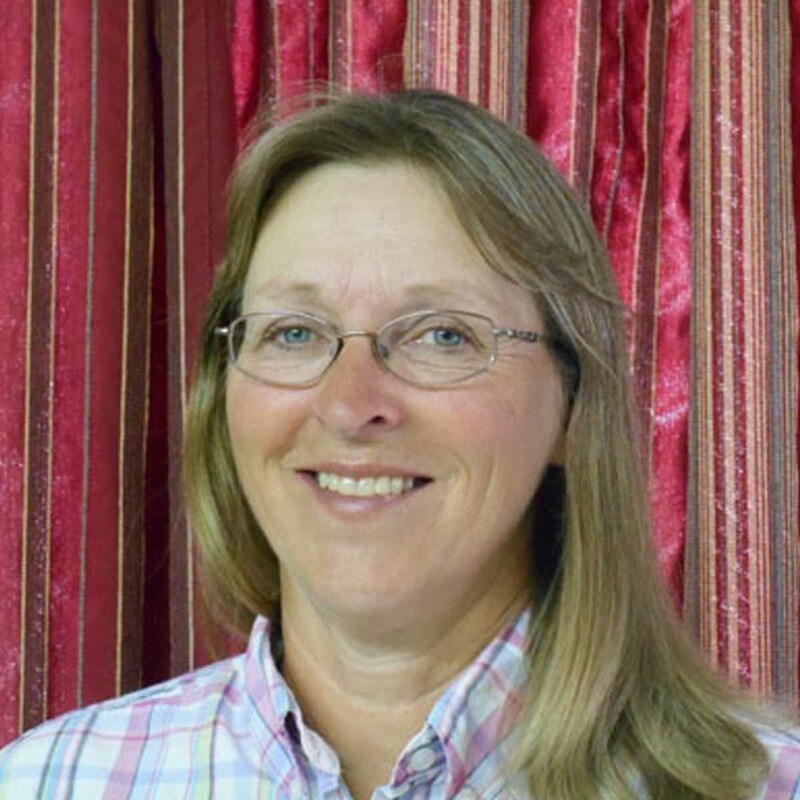 Kate provides educational programming in cereal and forage production, livestock production, horticulture and small farm production. She also has her own small sheep fiber business and offers training for the Idaho Master Gardener program. 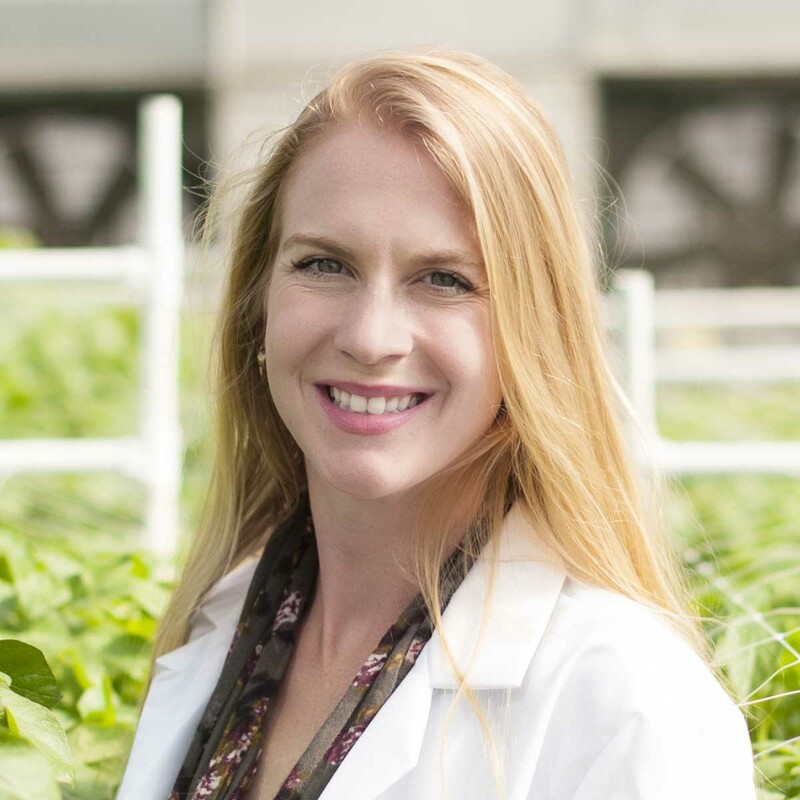 Samantha works to secure major gifts for the College of Agricultural and Life Sciences initiatives. 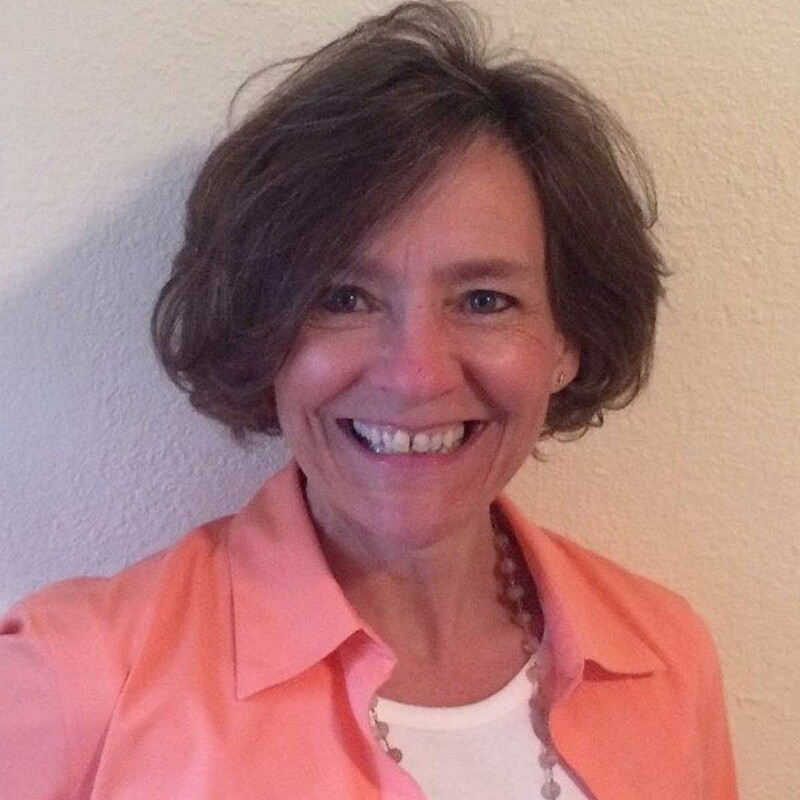 Barbara’s experience includes serving as an Extension educator in Bonneville County for 11 years with an emphasis in family and consumer sciences. She offered programming in family development and financial literacy. 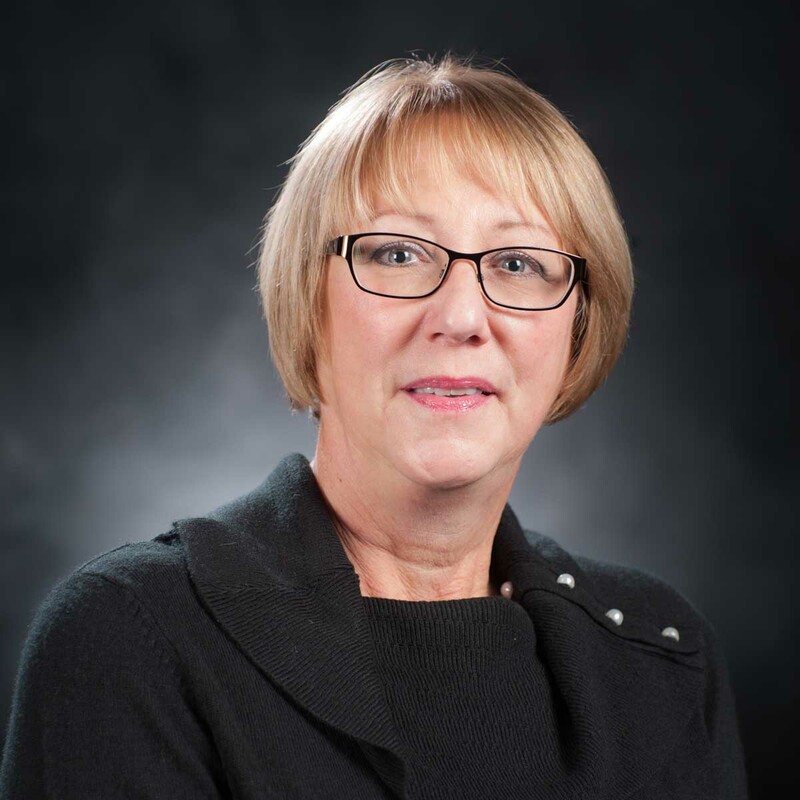 For four years Barbara provided leadership for UI Extension programs in 16 counties as the eastern district director. 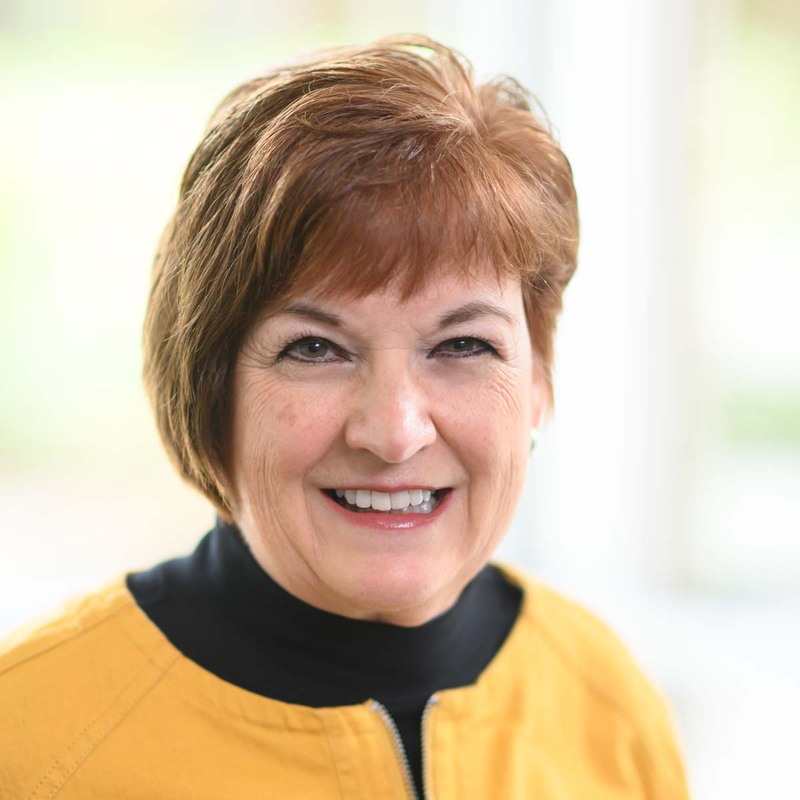 In 2014 she was selected to be the interim UI Extension director and became the associate dean/director of UI Extension in 2016. 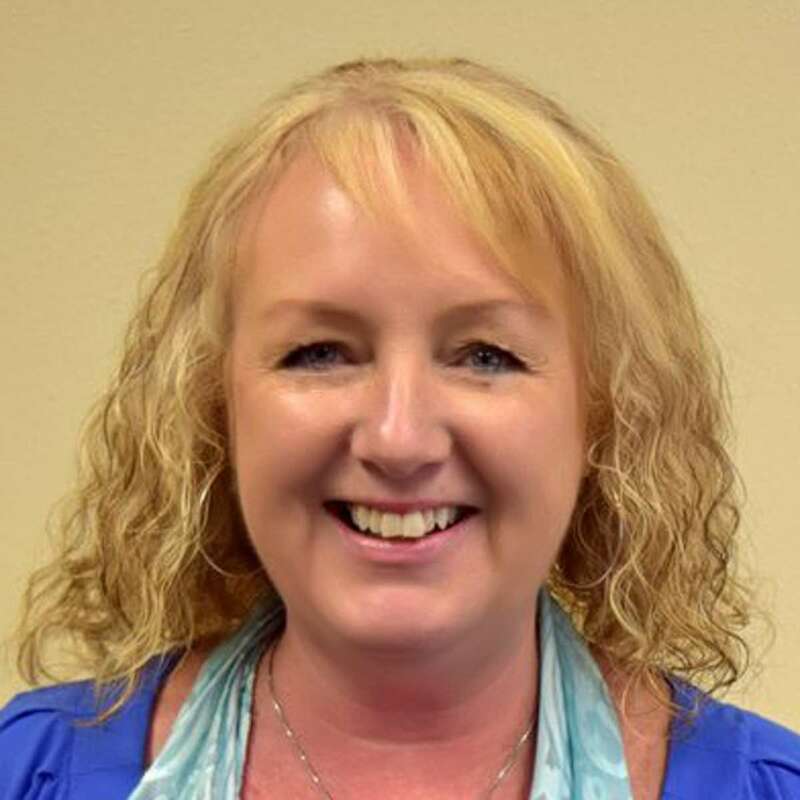 Joey Peutz serves as the county chair as she develops, teaches and evaluates nutrition and food safety programs for adults and children in Payette County and a nine-county district. 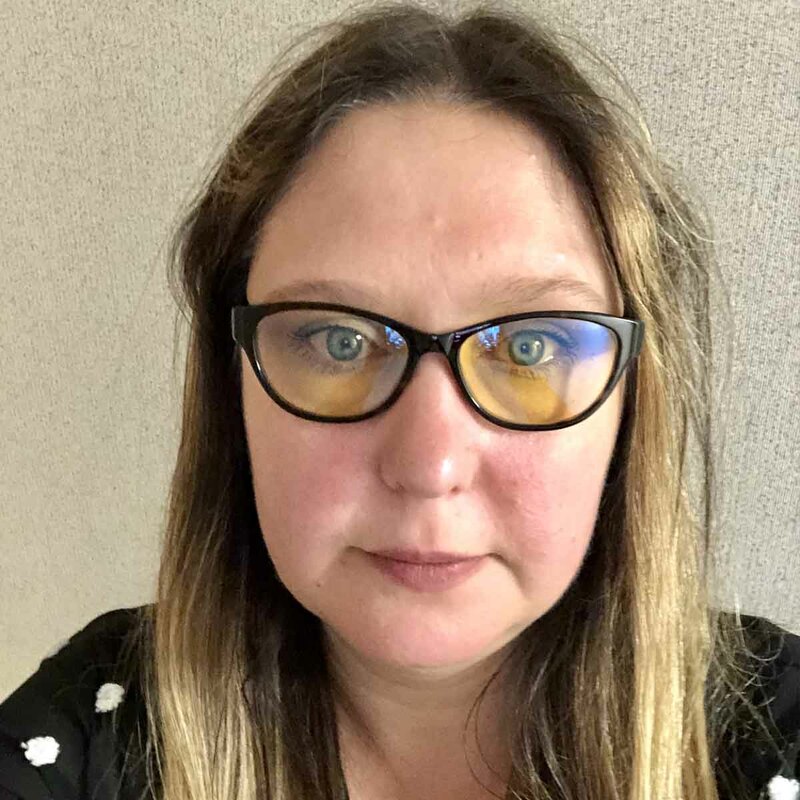 Popova oversees mass spectroscopy and chromatography equipment and actively participates in research projects that address the fate of chemicals in the environment and the development of a new generation of pesticides. Statistical consultation for Ag science researchers. 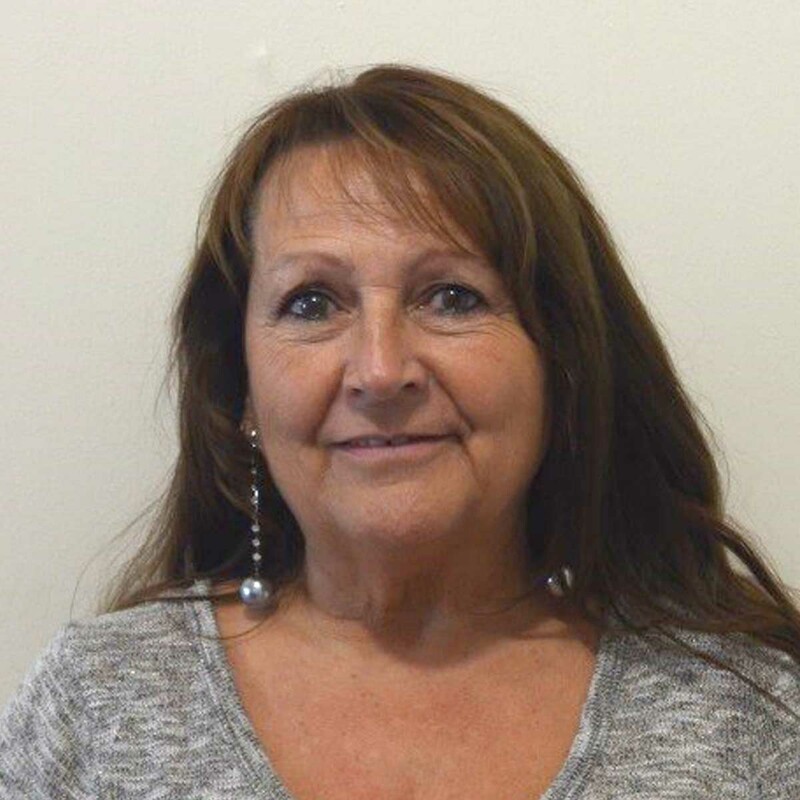 Sheila is the primary receptionist and responsible for putting together the Extension Connections newsletter and assists with family and consumer sciences, agriculture, 4-H and the noxious weeds secretary. 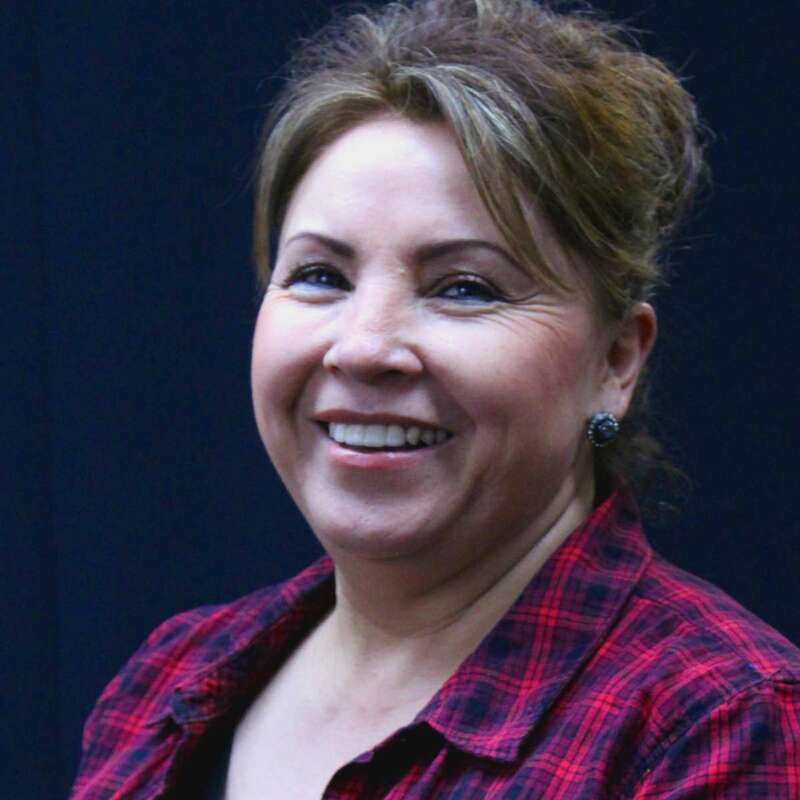 Mitzi grew up in Minidoka County. 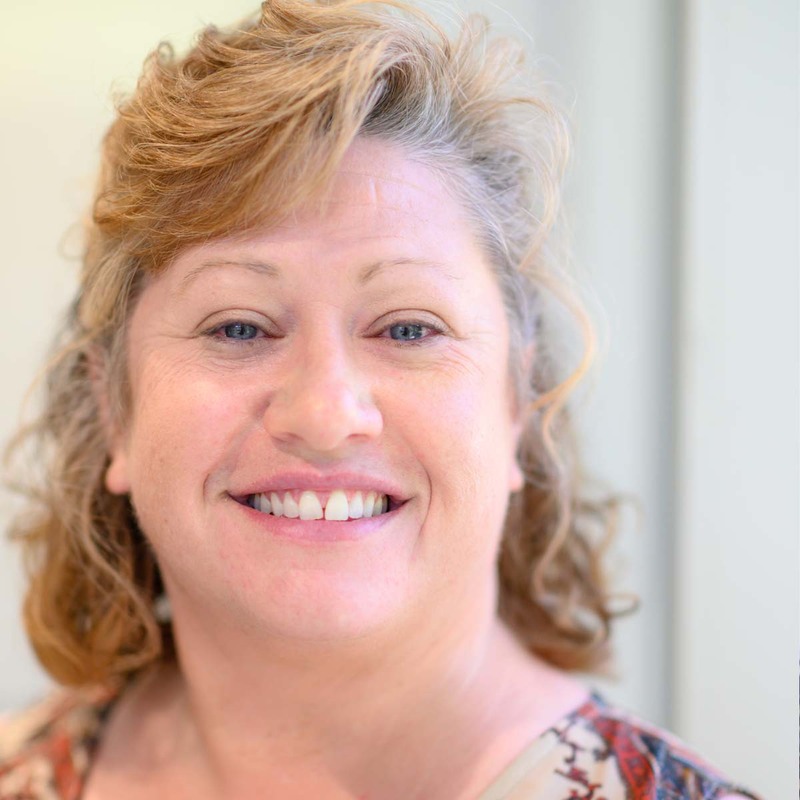 Mitzi was raised in the accounting atmosphere and worked in an office since the age of 14. Growing up, she had never been involved in 4-H. However, she is rapidly learning the ropes with many questions along the way. 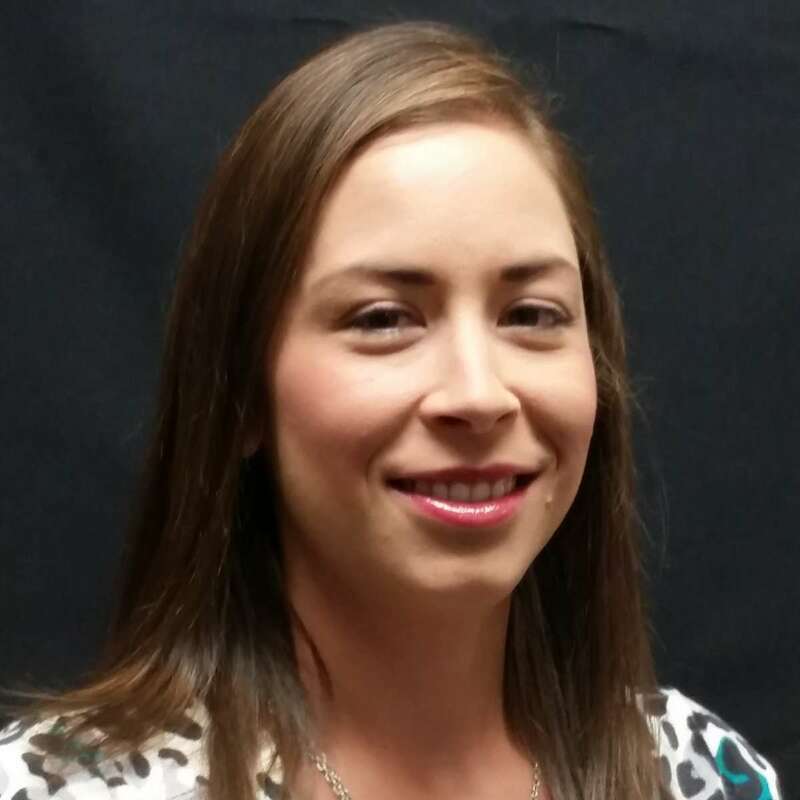 She joined the UI Extension, Minidoka County office in 2010 as the administrative assistant. Rasco’s research interests involves the development of analytical methods to predict the safety and quality of food products. A current research area utilizes non-destructive spectrophotometric (short wavelength near infrared) measurements to develop chemometric models to predict the quality and safety of food products, primarily aquatic food products. 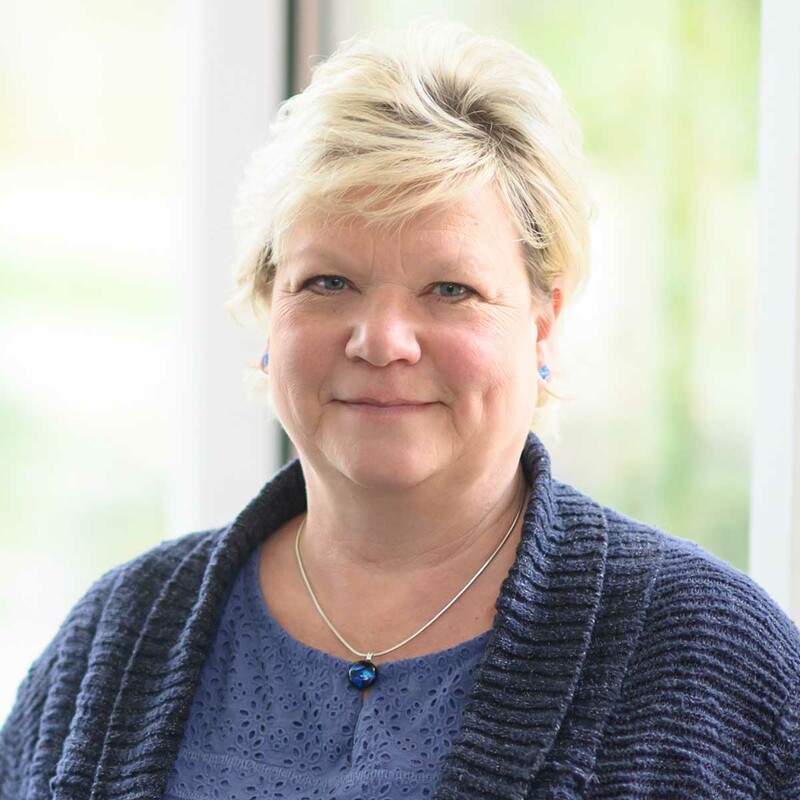 Karen specializes in basic financial education for every age and socioeconomic group by offering classes, workshops and simulations on topics ranging from budgeting to end-of-life planning. She is an accredited financial counselor and money coach, she provides free, one-on-one financial counseling and coaching sessions. 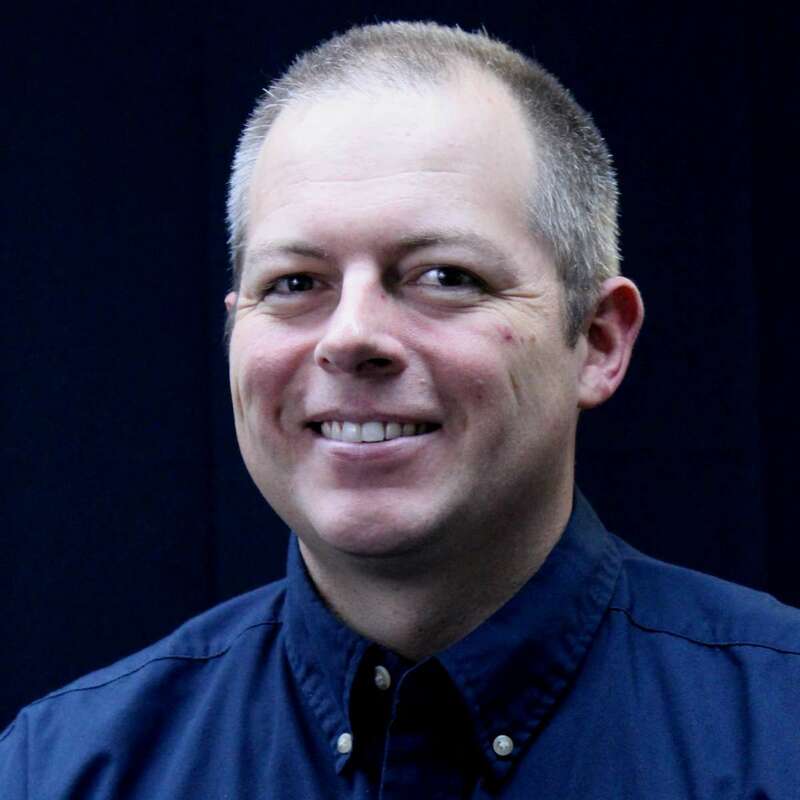 Jacob Rickman is the Extension educator in Oneida County, Idaho. Livestock and 4-H are his primary educational areas in the community. 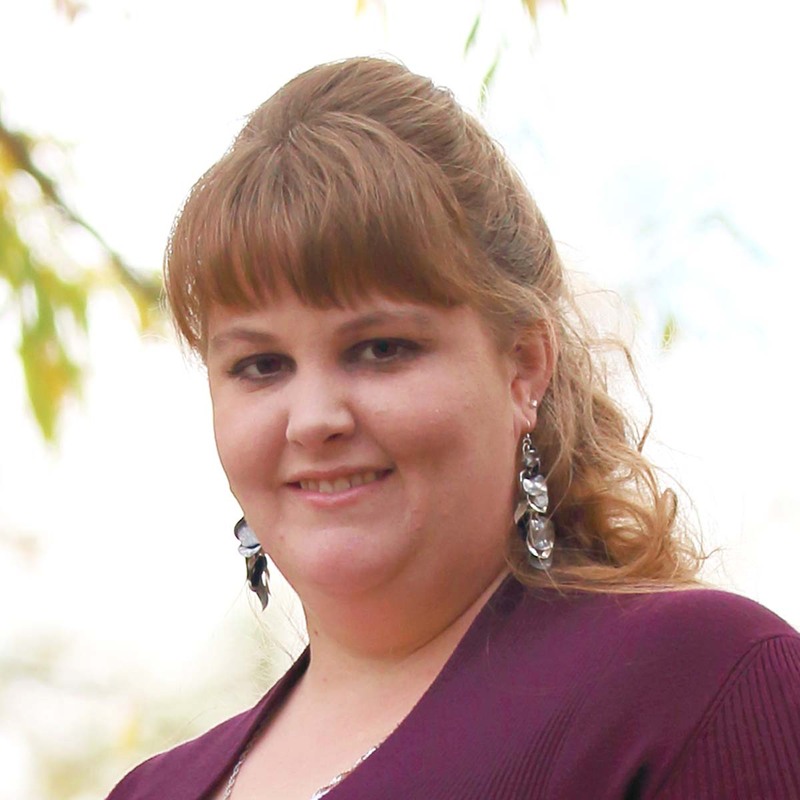 Samantha grew up in Nampa, Idaho on five acres raising sheep, cattle and hogs. 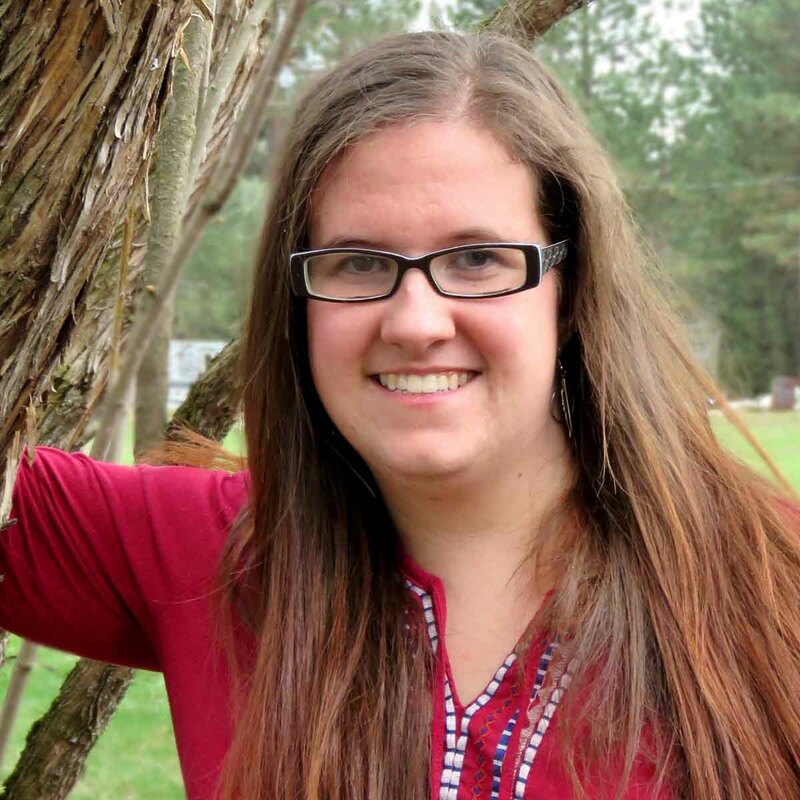 As a youth, Samantha was very involved in both her FFA chapter and 4-H Club. 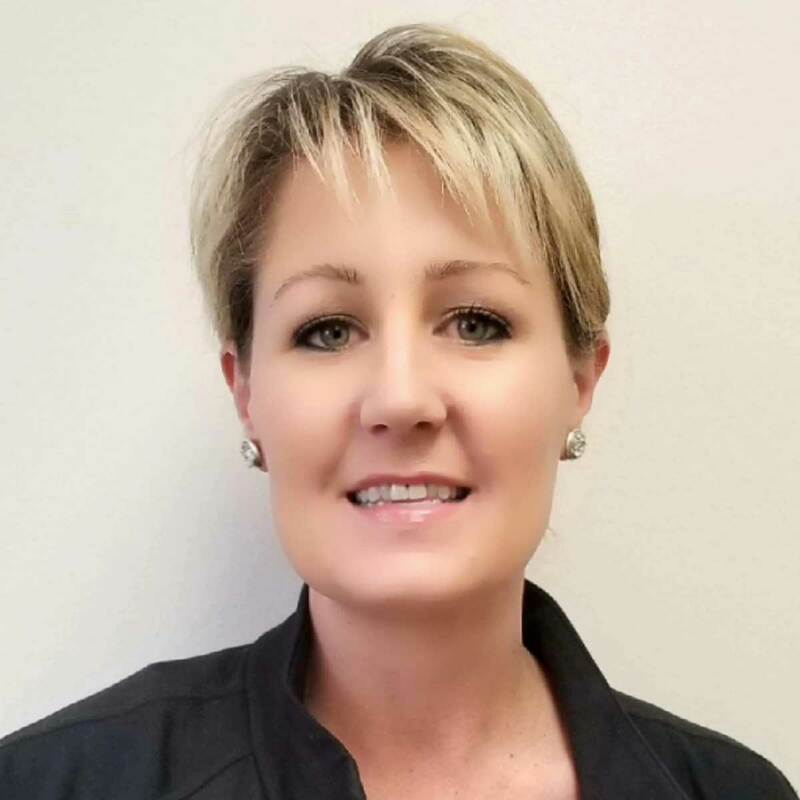 Amy provides a variety of workshops, classes and other learning opportunities in food safety, nutrition and healthy living. She also organizes and implements 4-H youth development events for local youth. 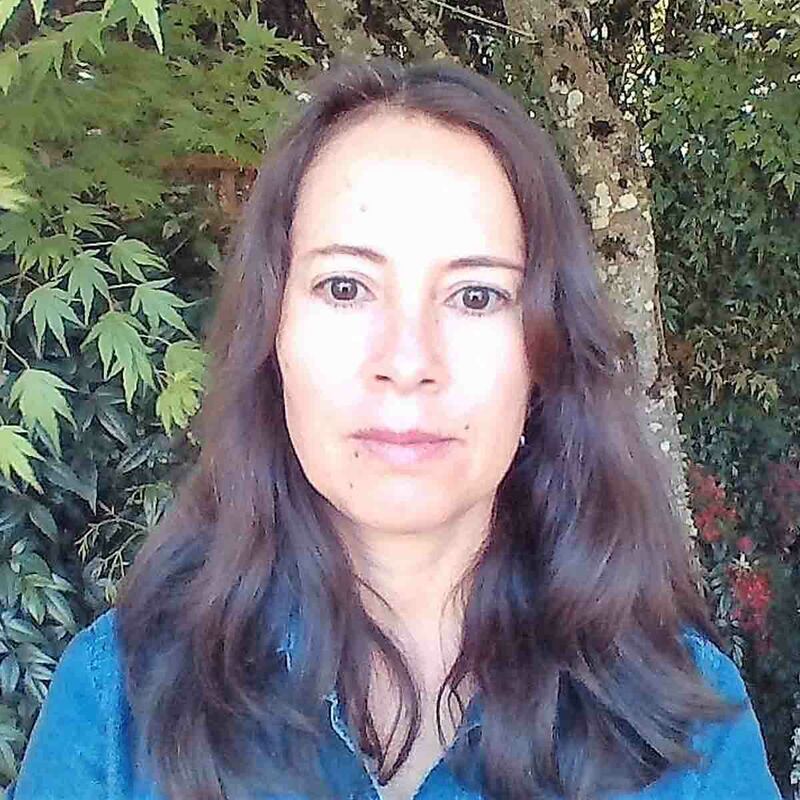 My research include surface water quality, water use by crops/vegetation, instrumentation of non-agricultural areas collecting meteorological data Also supervise the laboratory technicians and maintain the databases and equipment. Assist the director and state coordinator for Eat Smart Idaho. Manage and project multiple budgets and personnel actions for Eat Smart Idaho throughout Idaho. 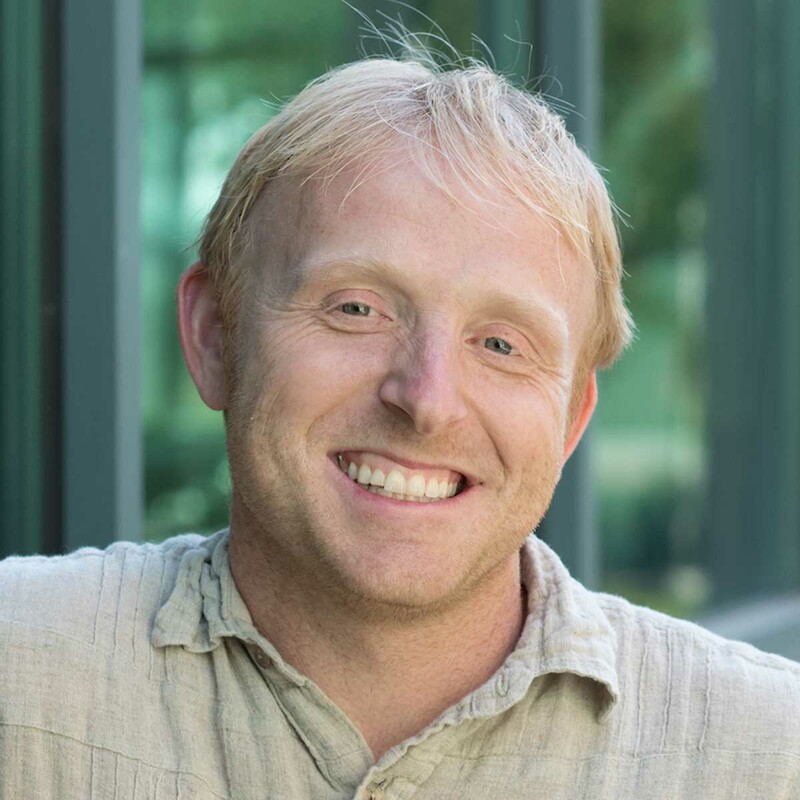 Matthew has a broad range of experience including greenhouse growing and engineering, hydroponics/aquaponics and organic farming. He is dedicated to growing the highest quality pre-nuclear seed potatoes and advancing techniques for their culture. Matthew is always happy to talk about potatoes, greenhouse growing, storage and hydroponics. Give him a call if you would like to schedule a tour of the facilities. Alaena has an extensive background in animal science, earning both of her degrees in this field. She has interests in livestock production and management as well as meat science. 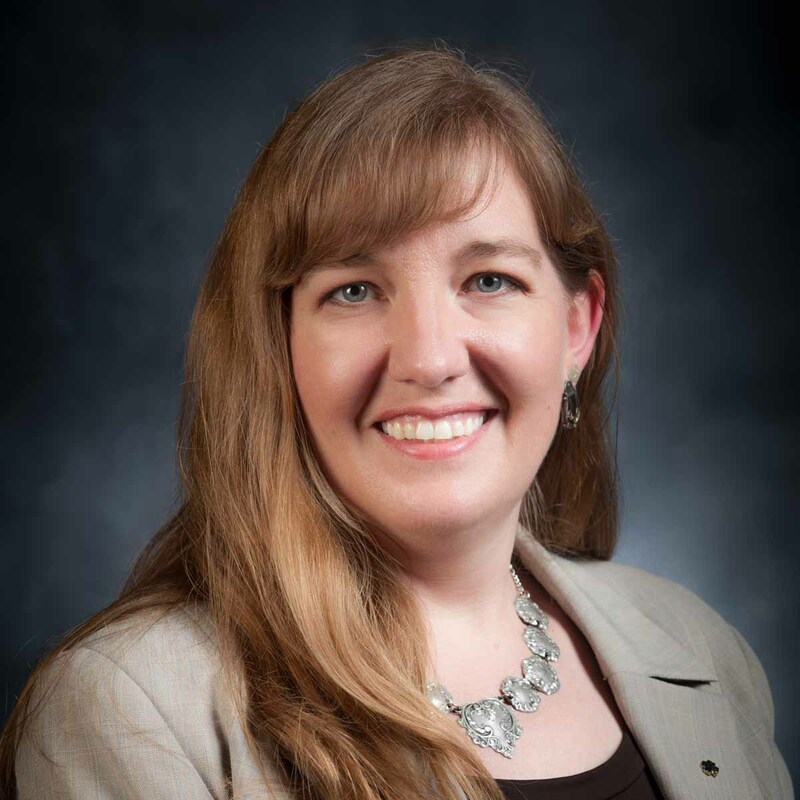 She enjoys teaching and speaking about STEM education and quality assurance. 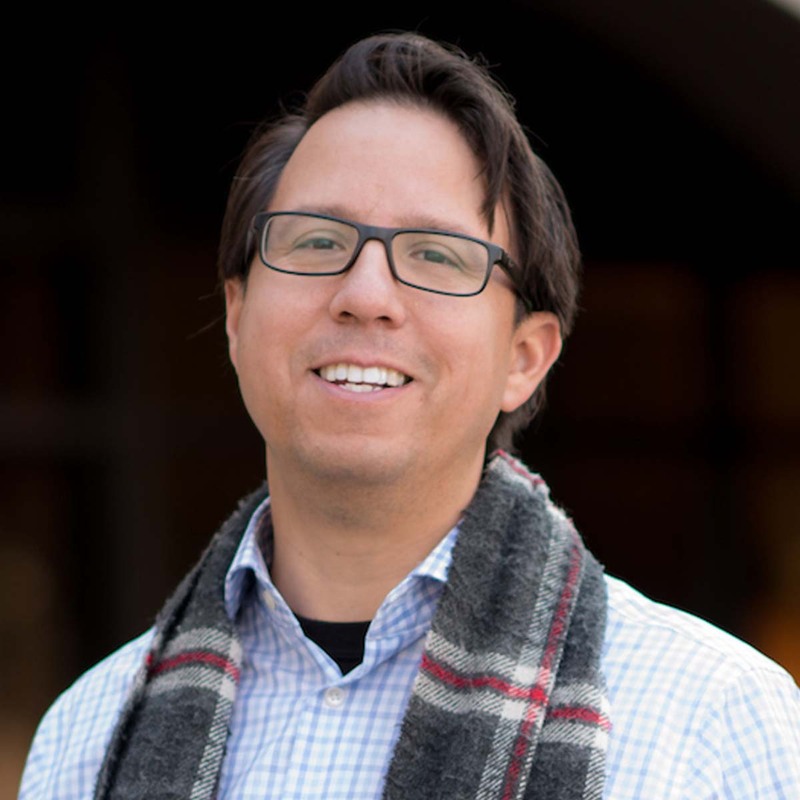 My research is on drought monitoring and forecasting, hydrological modeling, and water resources planning and management in a changing global environment associated with urbanization and climate variability. Continue in biography. Research interests in my laboratory involve naturally occurring toxicants of microbial or environmental origin and the effect of various food processes on their chemistry and biological effects. An area of emphasis is chemical and toxicological fate of mycotoxins, a diverse group of secondary metabolites produced by certain fungi. Current projects include the risk assessment of ochratoxin A in the U.S. We are also developing culturally sensitive education programs for the deaf teenagers to reduce foodborne illness. My research interests are the interface between soil, microbial and ecosystem ecology. Soils, as well as the microbial communities and ecosystem processes supported by soils, are some of the most imperiled systems on the planet. 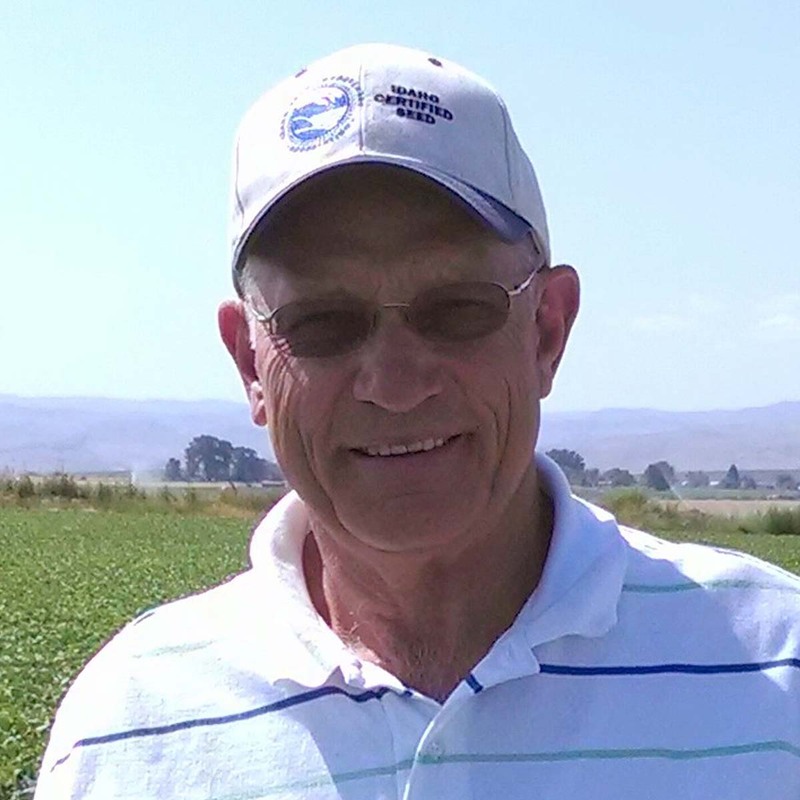 Joseph Sagers is an Extension educator in Jefferson and Clark counties with a focus on agronomy and livestock. 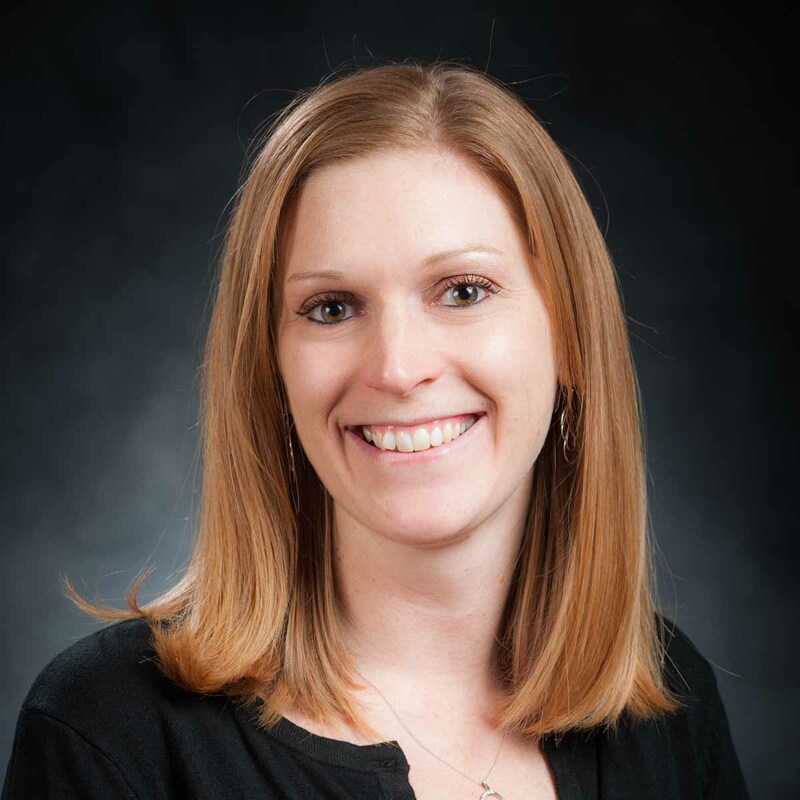 Laura is a registered dietitian nutritionist and licensed dietitian in Idaho. 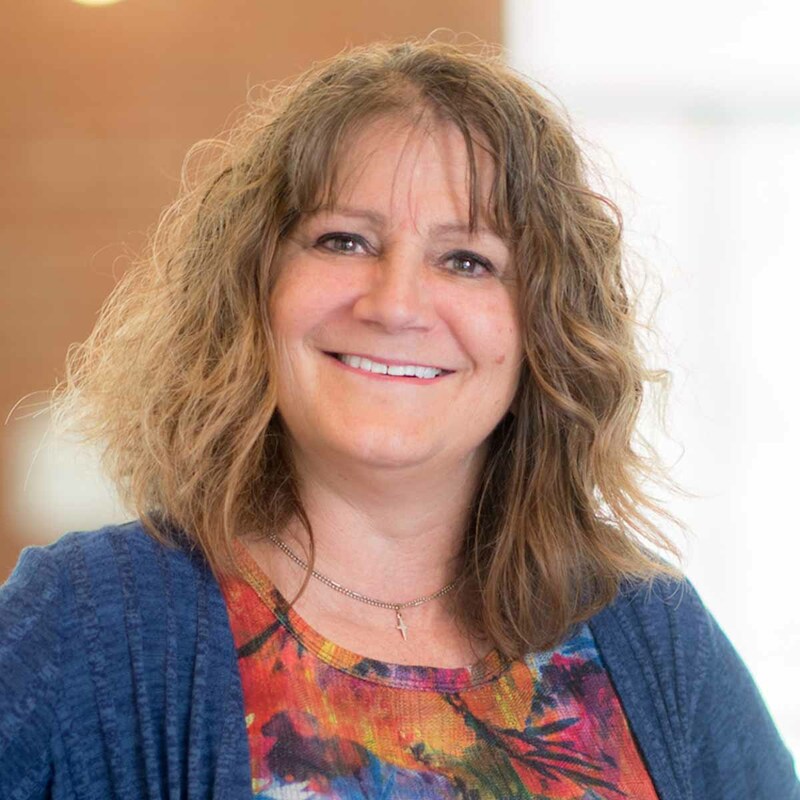 She provides community education to residents in Franklin County, Idaho and is nationally recognized for her work in health, nutrition and food safety. 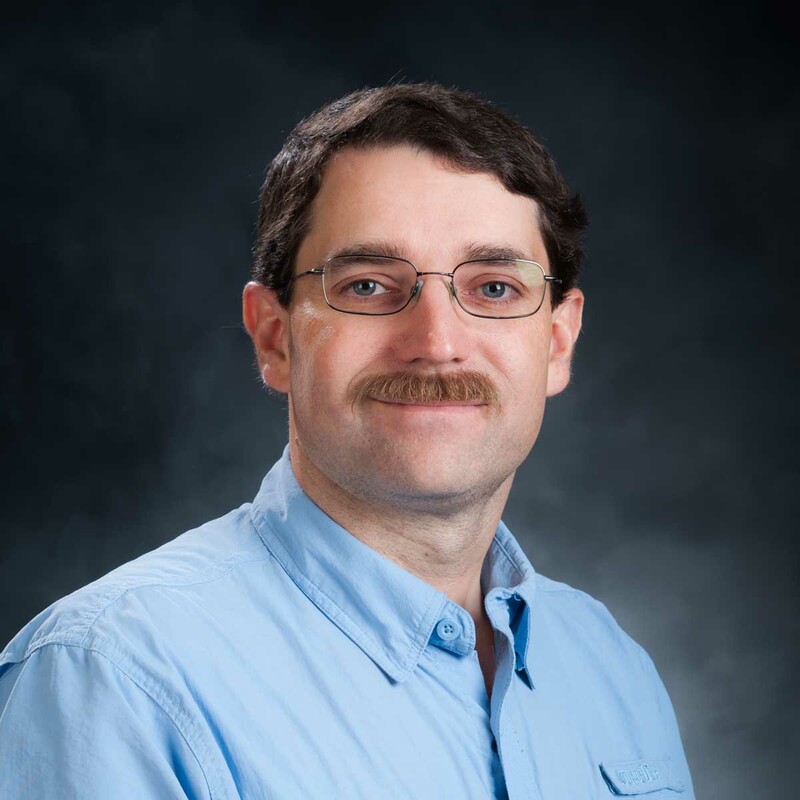 Schroeder’s research focuses on improving cereal-based cropping systems through a combination of crop rotation, nutrient management and agronomic inputs. A specific focus of the research is to understand and manage soil acidity, and examines strategies for management of soilborne fungal diseases. 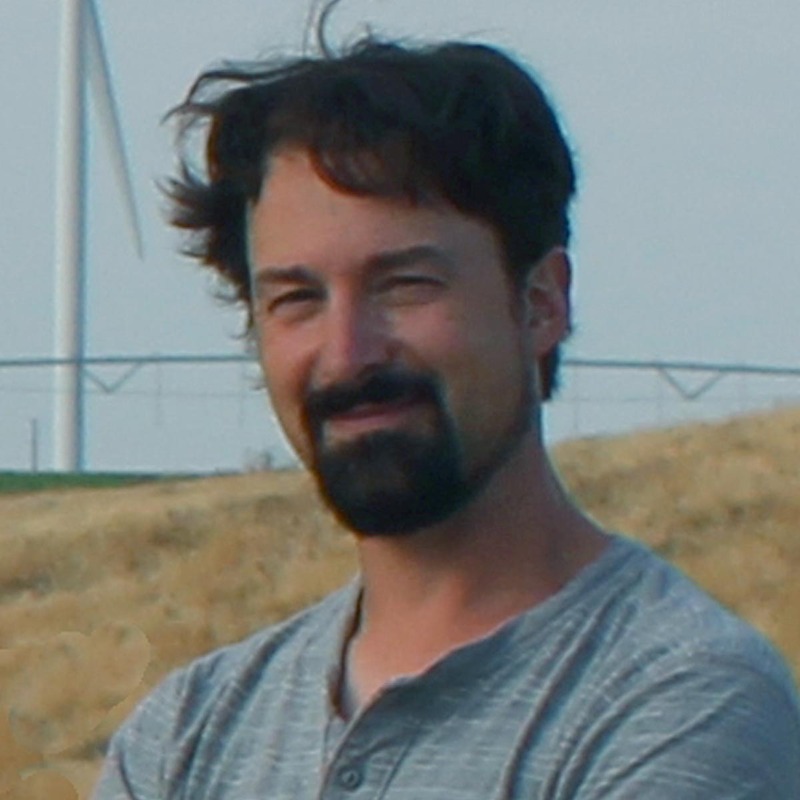 Schroeder directs the small grain and grain legume Extension variety trials for northern Idaho, providing objective variety performance and yield data for public and private materials. 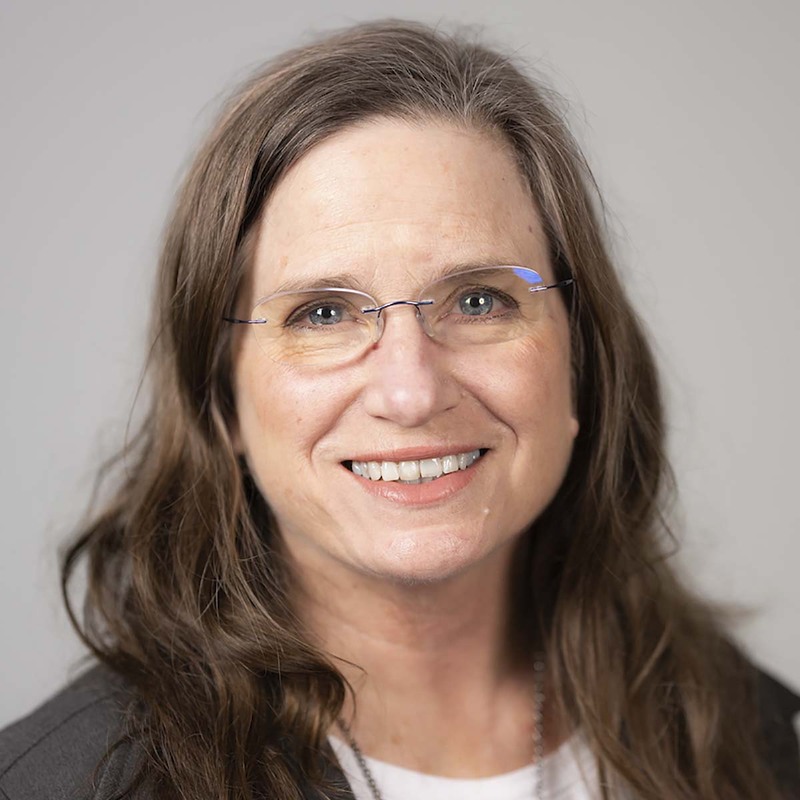 Donna has experience with volunteer and project-based learning programs, grant-writing, program design, supervision of personnel, training of individuals in multiple venues and risk management. 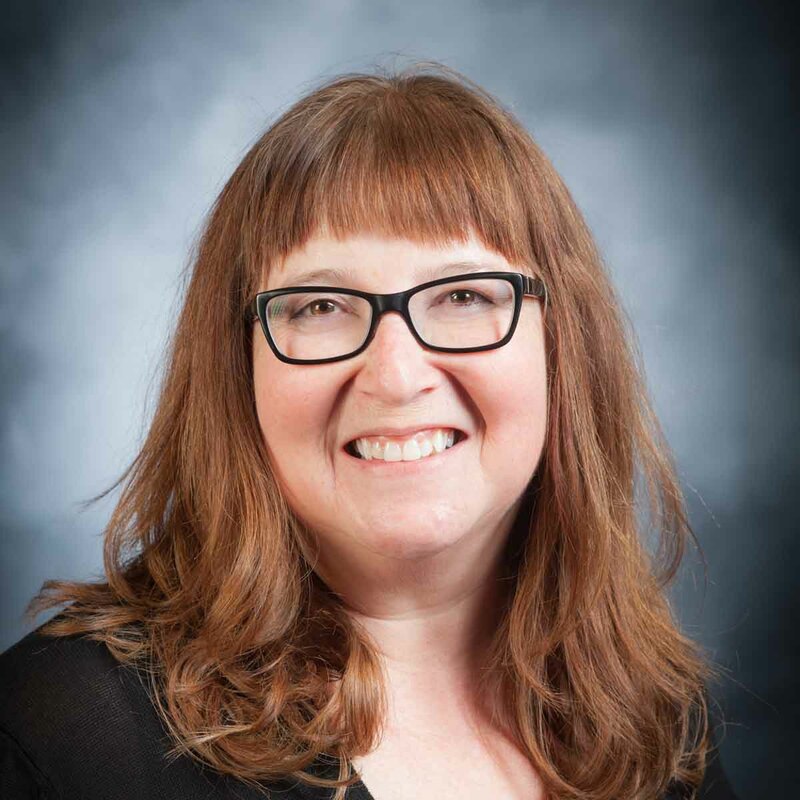 Before joining University of Idaho Extension in 2018, she served as principal at an elementary school in Emmett. Responsibilities: Plot herbicide treatment, weed management, barley quality data, seed preparation, data compilation, equipment operation, fabrication and maintenance. Shelstad’s areas of emphasis includes positive youth development, public speaking, youth personal financial education and new 4-H staff orientation. She also provides mentoring and leadership for 4-H professionals in southern district UI Extension counties. 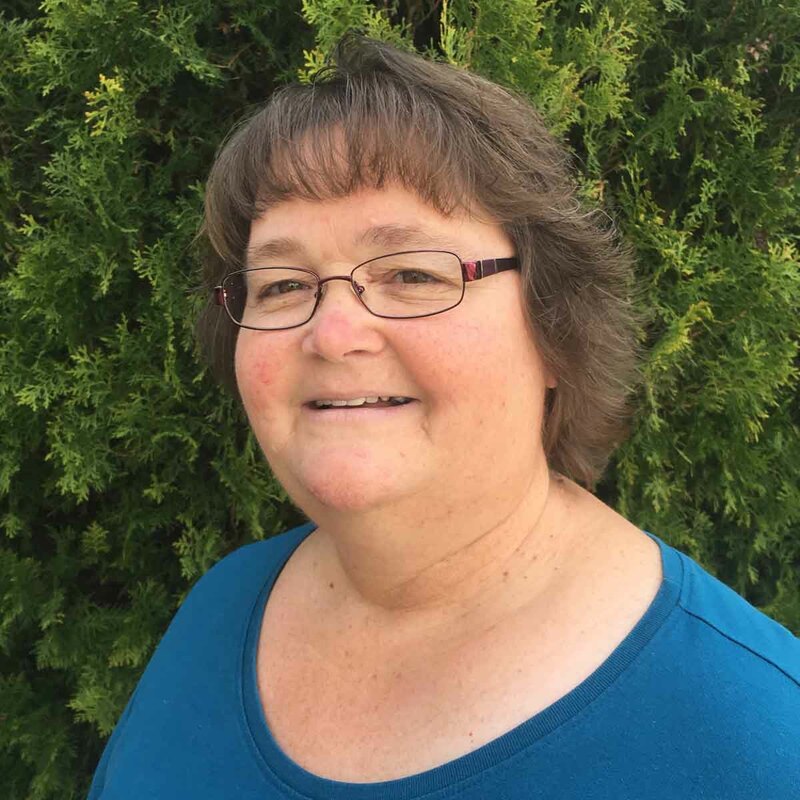 Gail provides leadership for the Benewah County 4-H, UpRiver Afterschool, youth development camps and the Idaho Master Gardeners of Benewah County. She also provides educational resources in agriculture and livestock topics. 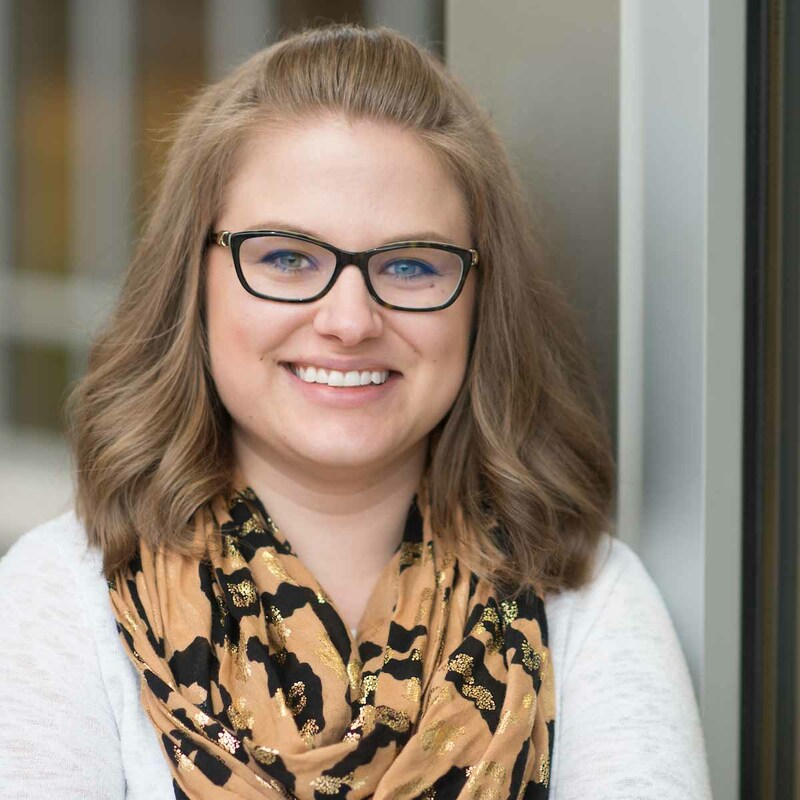 Meranda has worked with UI Extension since 2014, focusing in livestock and 4-H programming. Before that, she worked for Agri Beef Co. while completing her master's. During her schooling at UI she worked for several years as a research assistant. 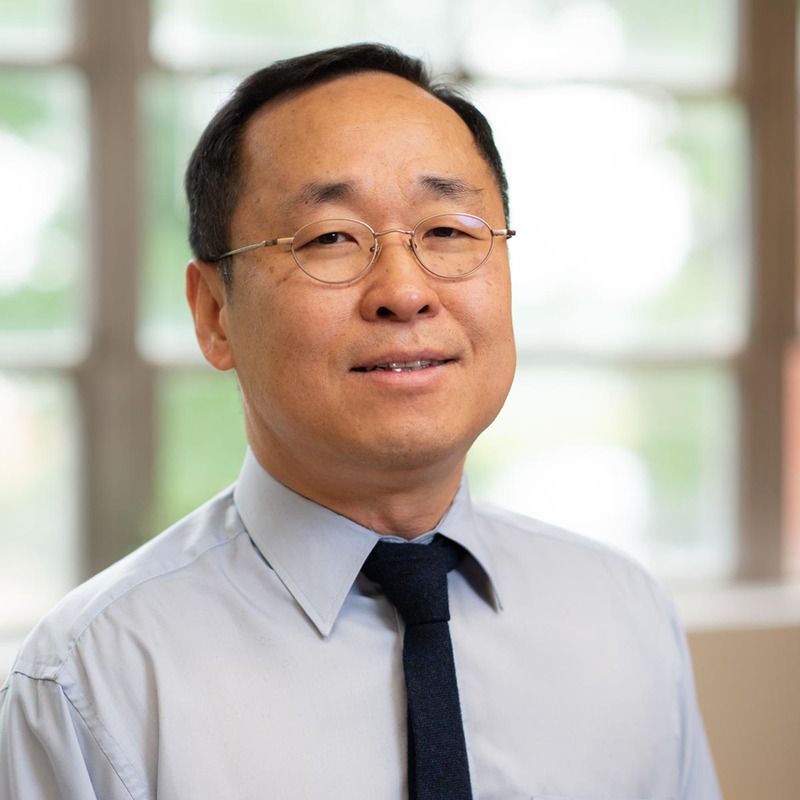 For cereals and cereal products, I have a profound interest in understanding the chemical reasons for protein functionality and have characterized and manipulated various protein sources to function in a similar manner to wheat gluten. For seafood, focused on the area of seafood chemistry and functionality to develop new ways to reduce fishery wastes and to characterize how seasonal and physiological cycles affected fish composition. Cereal grains is my main focus. I deal a lot with water and water related issues. I also coordinate the 4-H activities in the county. The Farm Ranch Management Team is also a main focus of mine. 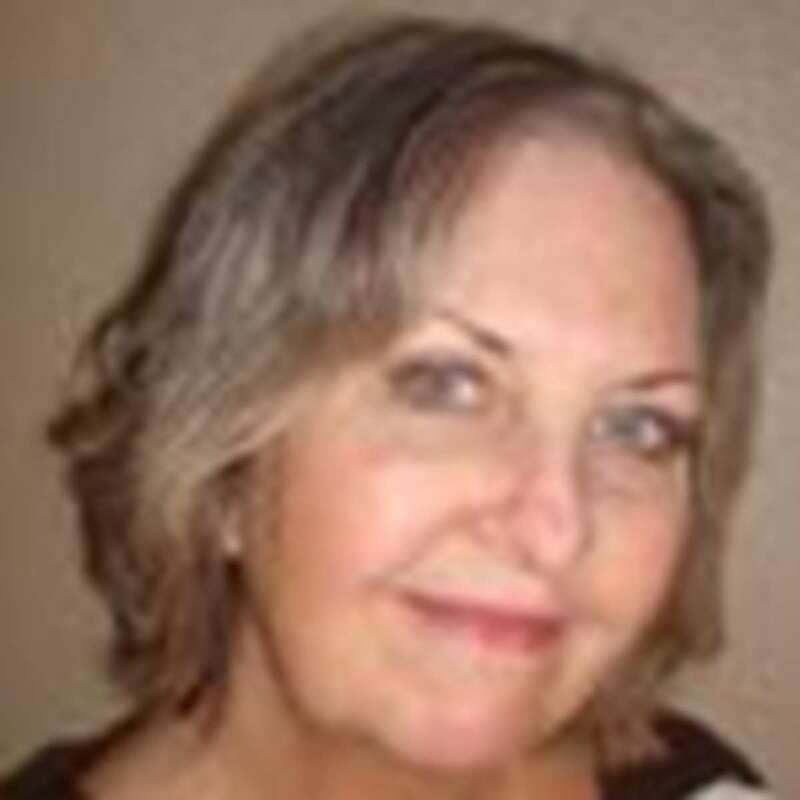 Rose graduated from Boise State University with a teaching certificate and taught 30+ years in area schools, while owning 1,000 head of white-faced ewes and 900 head of boar goats. She also trained donkeys, mules and ponies to drive in harness. Rose teaches the 4-H enrichment activities in area elementary schools. 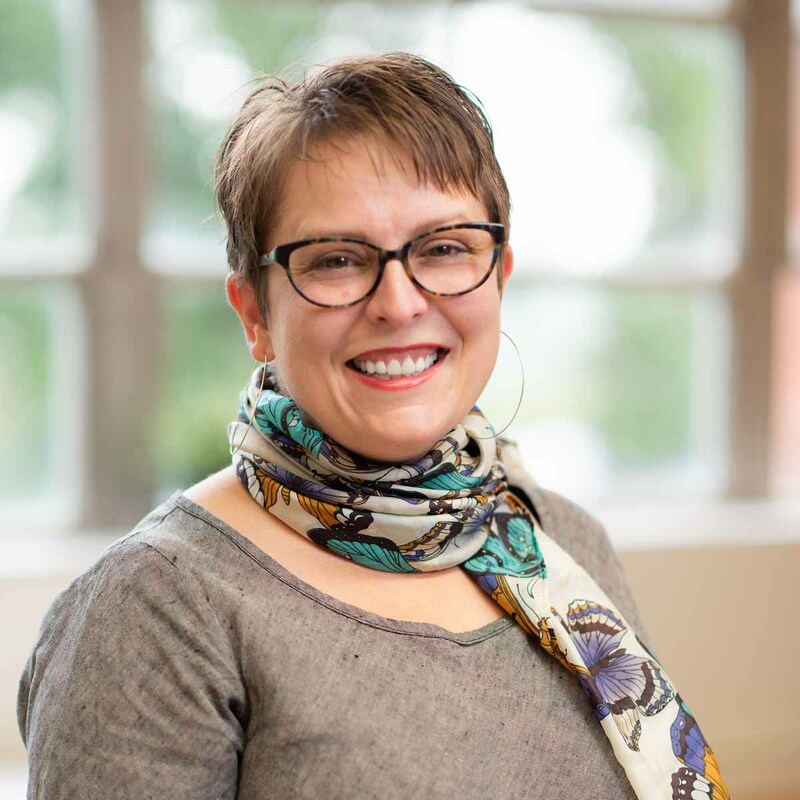 Marnie Spencer works as the UI Extension eastern district director, supporting Extension educators in 14 counties and Fort Hall Reservation. 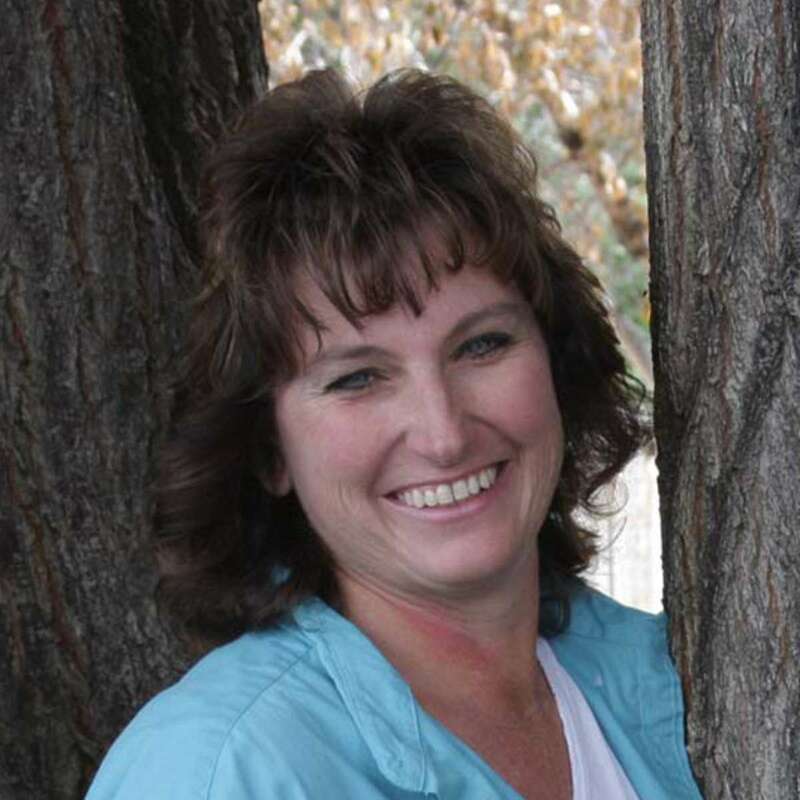 Previously, she worked as a family and consumer sciences and 4-H Extension educator in Bingham County. Marnie is a registered dietitian nutritionist and worked as a clinical dietitian in New Jersey prior to her work with University of Idaho. 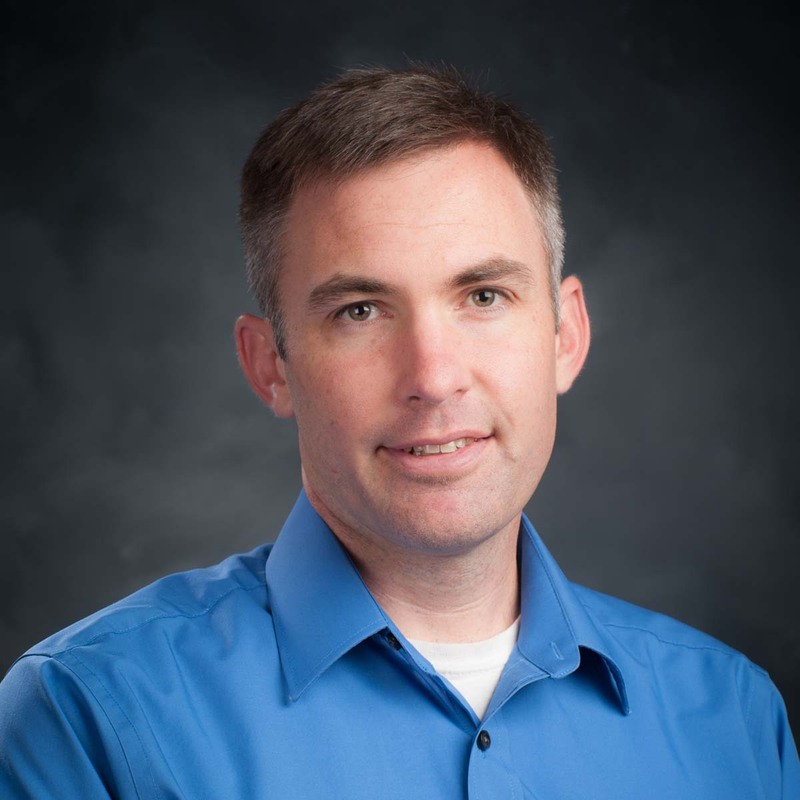 Brad grew up in Boise, Idaho and subsequently attended the University of Idaho in 2004. He graduated with a bachelor's in plant science in 2008 and entered a graduate program in 2009. He completed his research project in entomology in 2012 and received his master's in entomology. 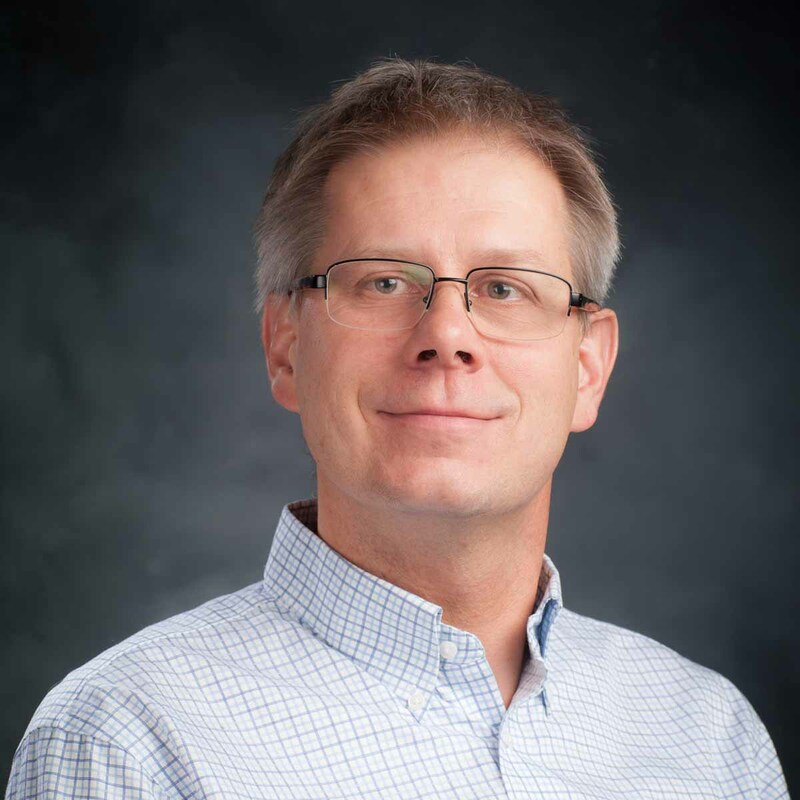 My Environmental Soil Chemistry program is focused on gaining a better understanding of reaction processes in the environment to gain new insights into contaminant and nutrient speciation, reaction pathways, and mineralogy in soil and water systems. I lead the 4-H Youth Development program in Ada County, build community partnerships, strengthen our volunteer base and increase funding for our programs. I work with community partners, adult volunteers and families to help more youth "make the best better." Diagnostic Toxicologist for the Washington Animal Disease Diagnostic Laboratory (WADDL). Evaluates, coordinates and interprets results of veterinary diagnostic toxicology samples submitted to the UI ASL. Consults with veterinarians concerning veterinary toxicology cases and diagnoses. Maintains communications with WADDL and WI personnel concerning veterinary toxicology services and cases. Conducts field investigations of animal poisonings when needed. 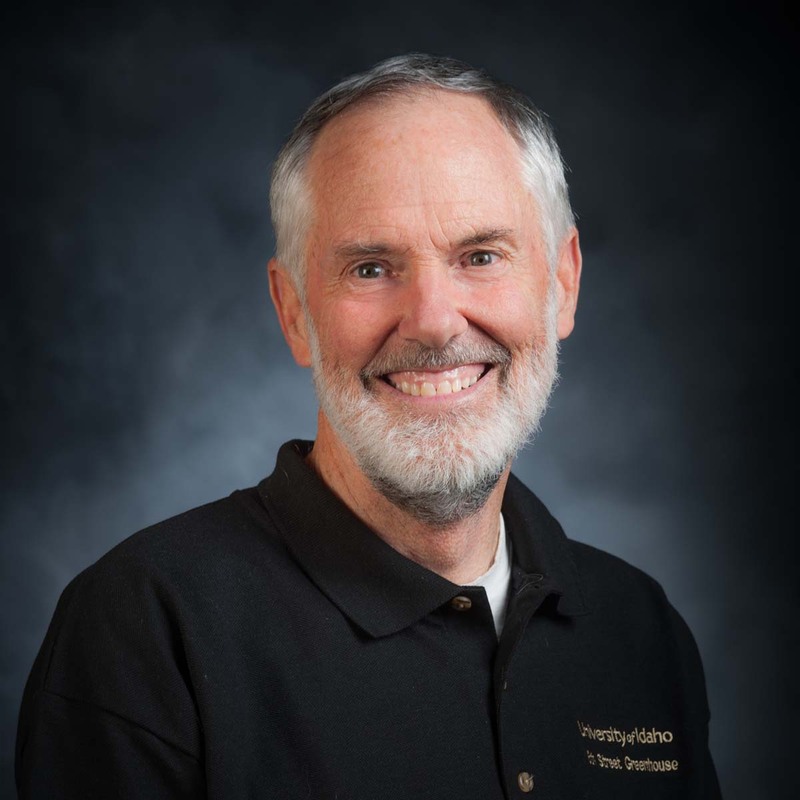 Note: The Veterinary Diagnostic Toxicologist has responsibilities at the University of Idaho and Washington State University outside the UI ASL. The duties listed above reflect her duties only as applied to the laboratories. I deliver pest management and STEM focused extension programs to Idaho farmers and youth. My main emphasis is the Integrated Pest Management of insects and voles. Toomey is an experienced youth development leader with an unwavering commitment to Idaho families and youth. 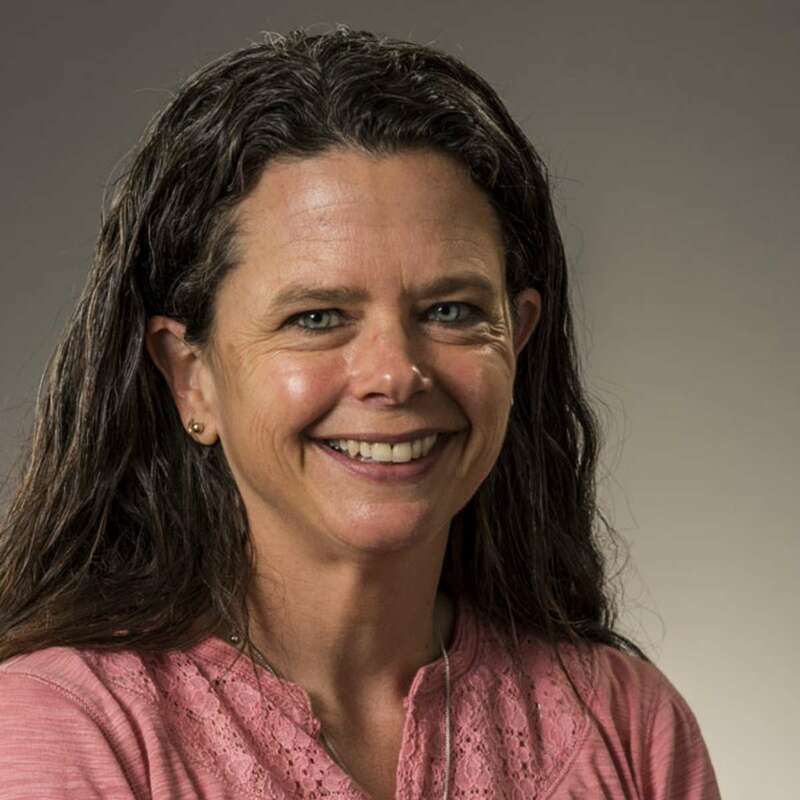 She directs the Idaho 4-H healthy living program building strong partnerships within and outside the university. Toomey has diverse experiences working with rural communities and directing outreach to Latino youth and families. Mutually, Mir and Jim work on different pest related projects and programs such as grasshoppers, Mormon crickets and mosquito abatement, to help Elmore County ranchers, farmers and citizens. Jim regularly surveys known standing water sites to monitor for mosquito larvae. These areas are treated to control mosquito larvae. He sets traps to test mosquitoes for WNV. In the early evening, he is fogging areas that experience high mosquito populations during the season. 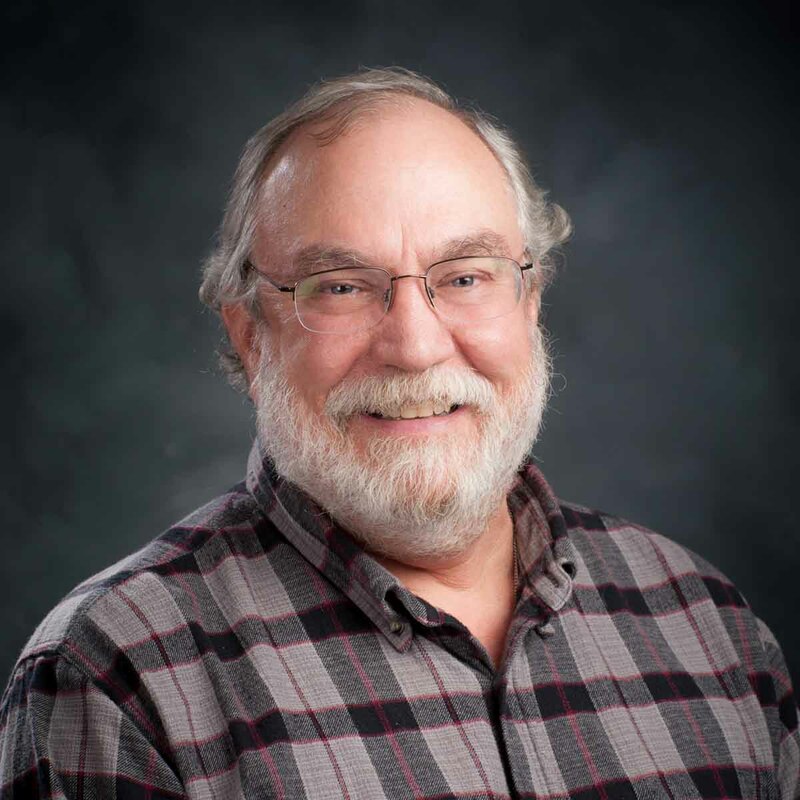 To report areas of standing water or high mosquito populations in Elmore County you can call Jim directly at 208-587-2304 or visit the Elmore county website at www.elmorecounty.org/pest to email us directly. 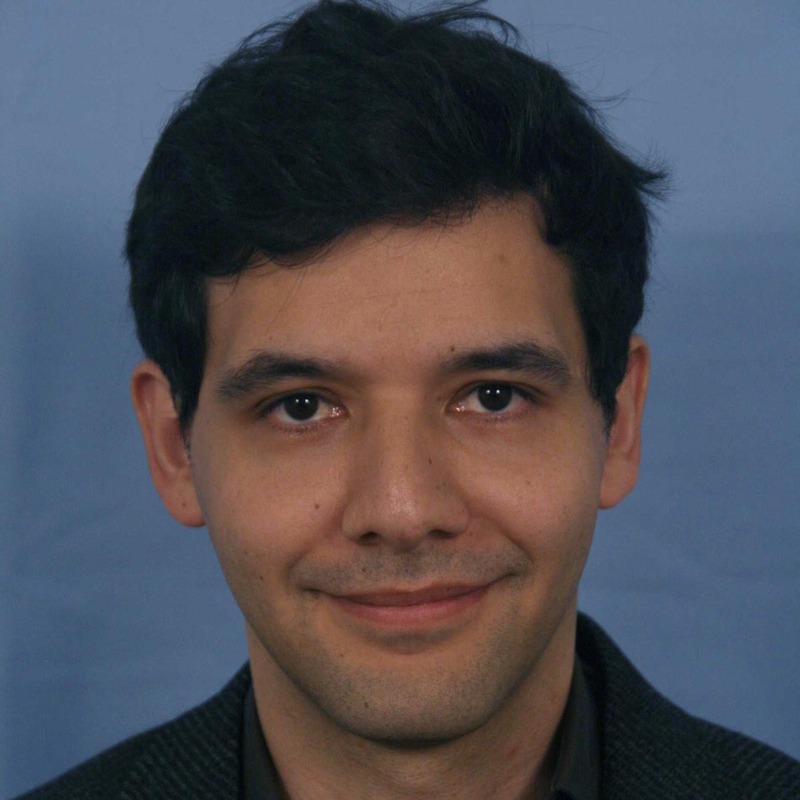 Andres' research deals with understanding the role of risk on marketing and finance strategies in the food and agricultural industry. 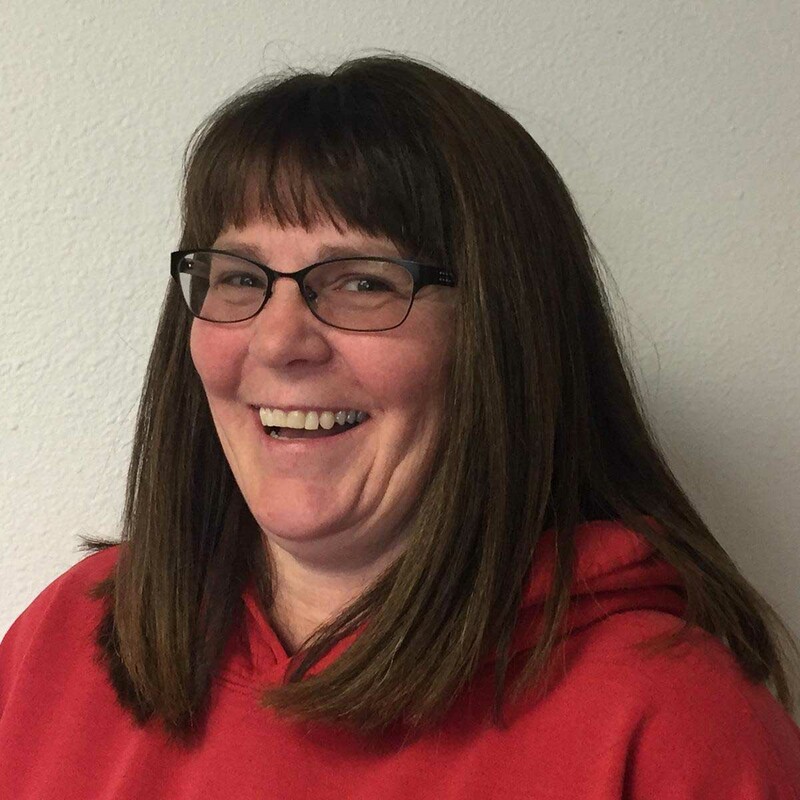 Angela maintains numerous grants over the years and keeps all the accounts in order for family and consumer sciences, agriculture, 4-H, 4-H Friday Friends and the noxious weed department. Teresa coordinates the 4-H program in the county and is responsible for recruiting, training and supervising volunteer leaders and 4-H members. She works as a member of a team to develop 4-H programming that meets the youth development needs of Twin Falls County youth and families. She serves as liaison for the 4-H program between the district director, Extension specialists and educators. 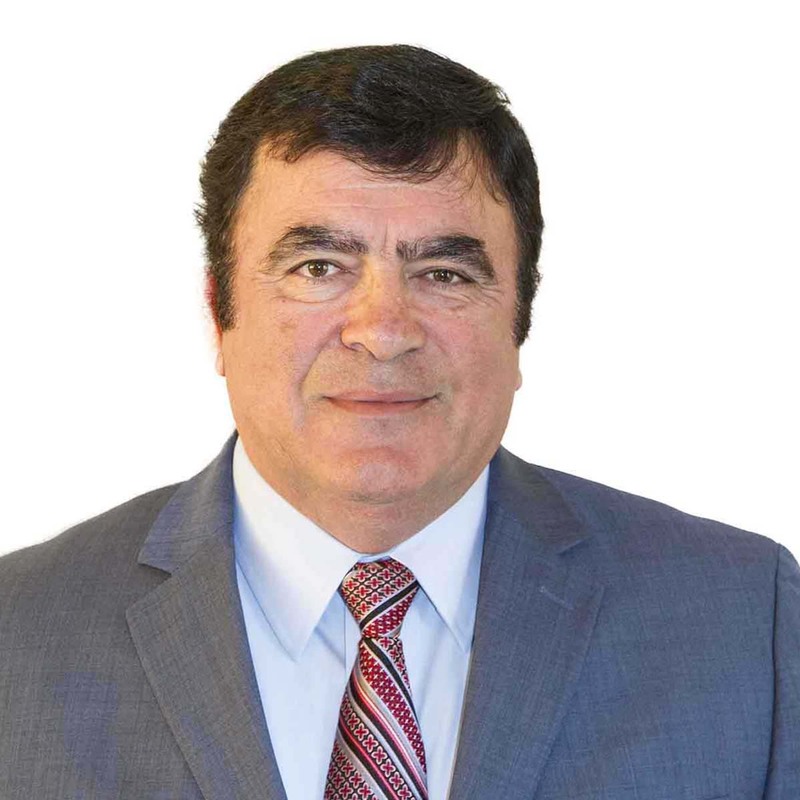 Ünlü is an instructor for three senior-level and a graduate-level food science courses at the University of Idaho and Washington State University. Ünlü’s research laboratory has a food microbiology/ biotechnology focus targeting main agricultural interests, commodities (dairy, potatoes, fish) and byproducts (cheese whey, potato peel waste, fish skin/bones) in ID and WA. 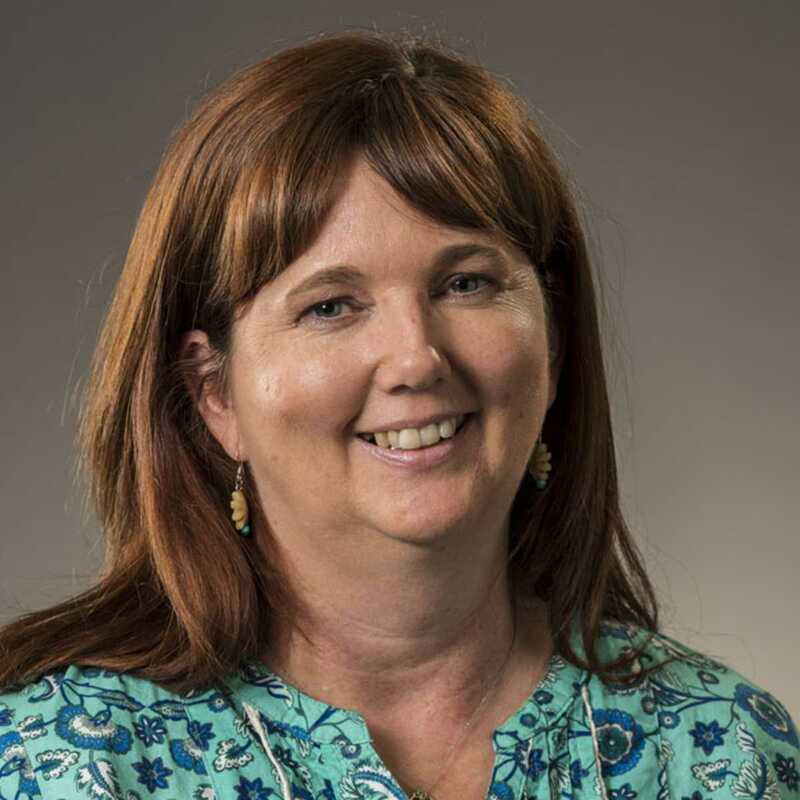 Chandra provides leadership, instruction and support for 4-H Youth Development programs focusing on youth development, adult volunteer development, youth education program development, expanding partnerships and participation, and membership growth. I teach design, apparel technology and industry-aligned courses with emphasis on applied learning through projects that simulate industry processes. I enthusiastically support undergraduate research projects and entrepreneurial endeavors. 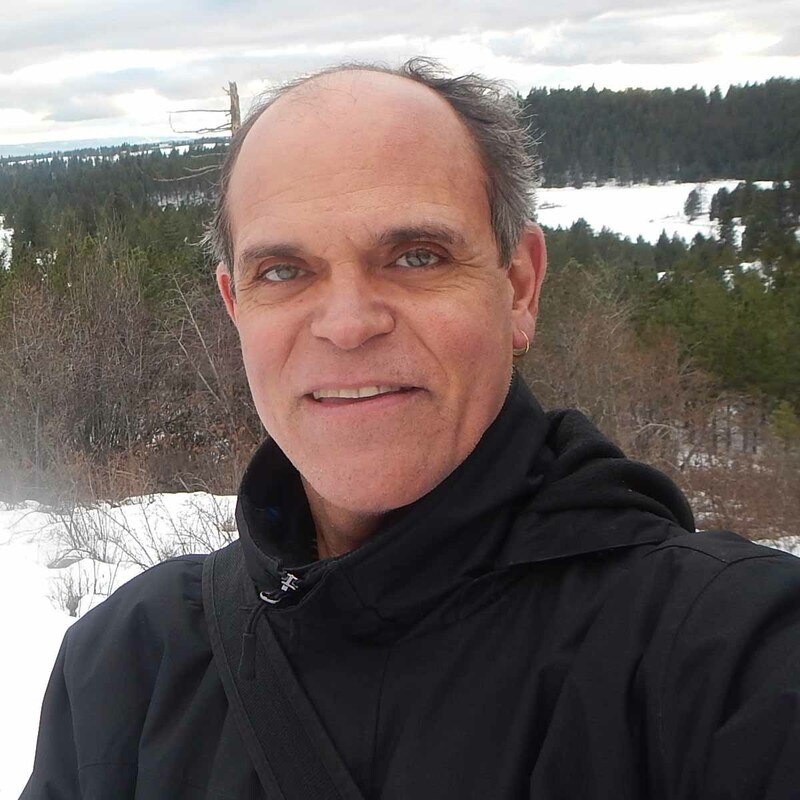 Bill conducts programming in land-based economic development and land stewardship in Clearwater and nearby Idaho counties. Landowners learn how to generate income from their land while enhancing ecological benefits. 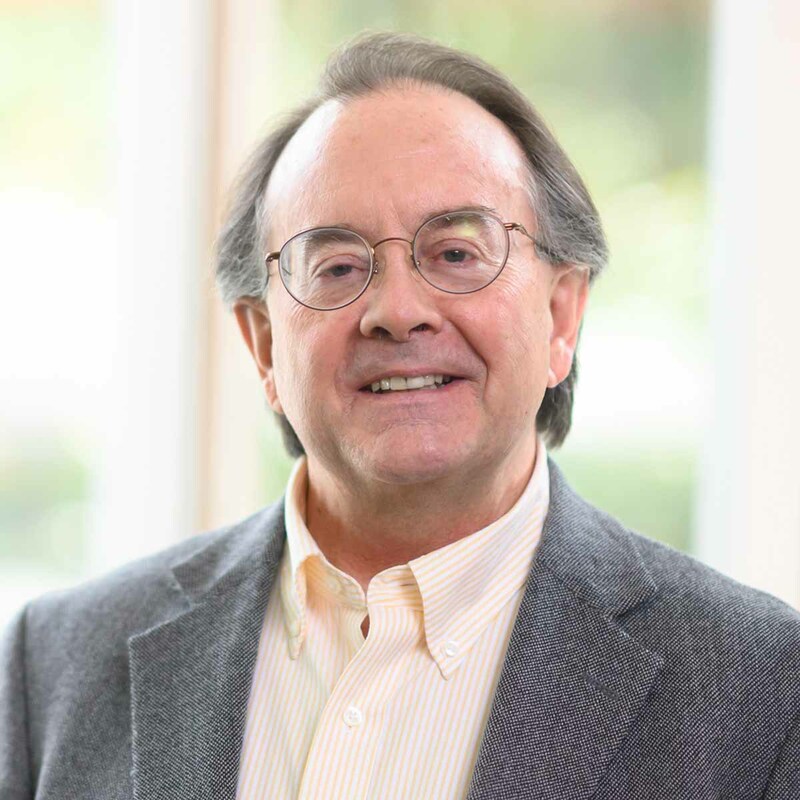 Watson is a natural resource and regional development economist whose research focuses on the role of natural resources in the economic health of communities and evidence based economic development planning. Jennifer provides educational programs associated with enhancing local agriculture, community food systems and 4-H Youth Development. Her interests include healthy seasonal cooking, gardening, season extension, food security and permaculture design. I use my experience and education in horticulture to teach the public about all aspects of horticulture. I hope to teach, train and certify Master Gardeners as a volunteer force to serve the public within the county. 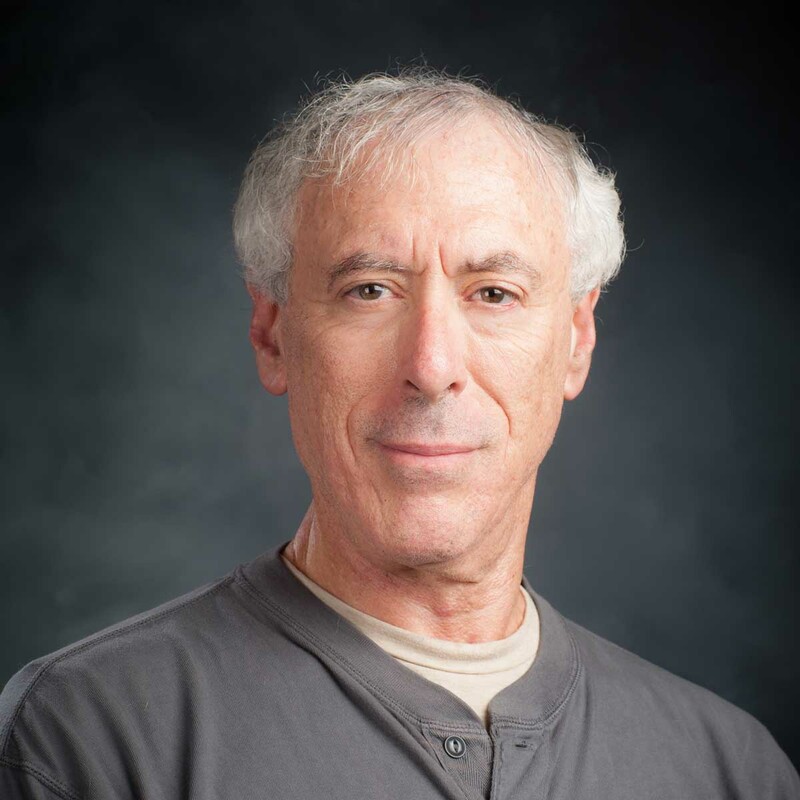 David’s research experience includes geographic determinants of evolution, bacterial components of sick building syndrome, intercellular communication, bacterial biofilms and fungal pathogens of legumes. He brings a broad scientific experience to fieldwork, assisting with data collection and proper application of herbicides and fertilizers. 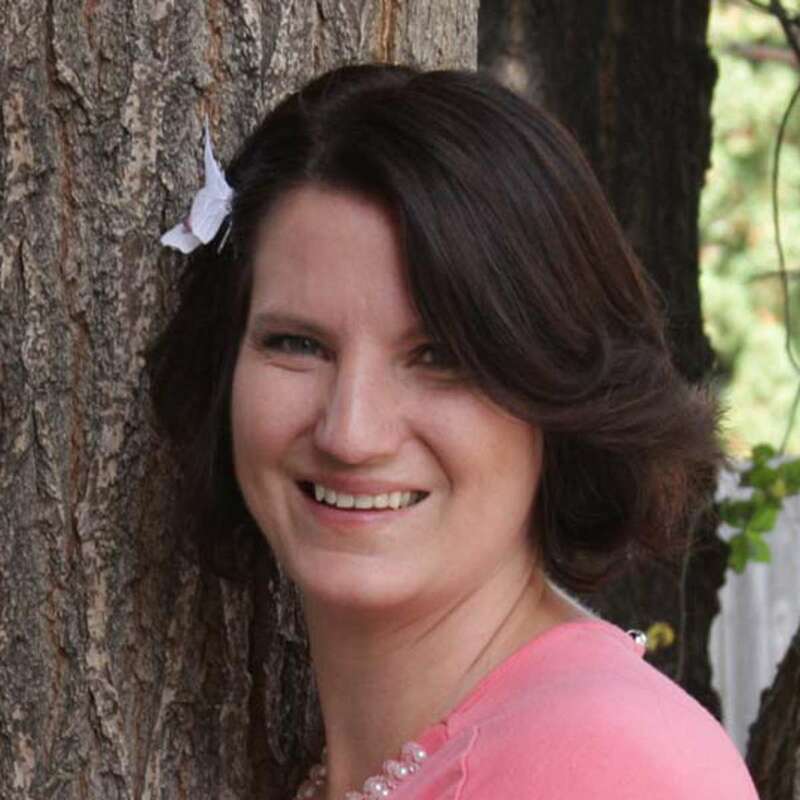 Shannon has a strong agriculture background from growing up on a small farm and being involved in a family ranch. Her degrees in animal science and human resources complement each other as she works with cattle producers, natural resource managers, 4-H members and community members. She is married, has two grown children and enjoys her job. 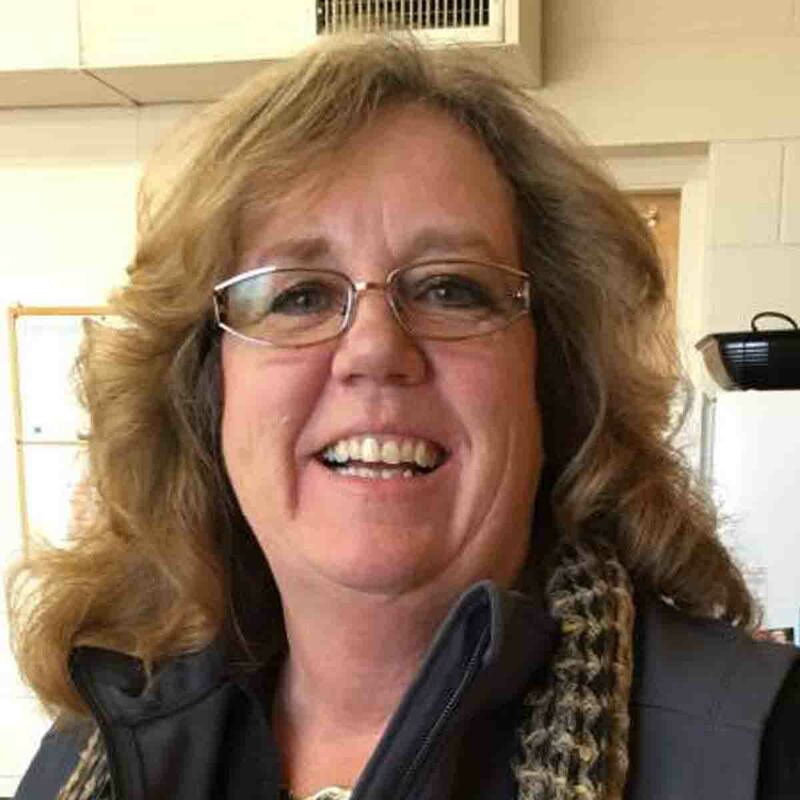 Carmen is the Extension educator in Lincoln County, located in Shoshone, ID. 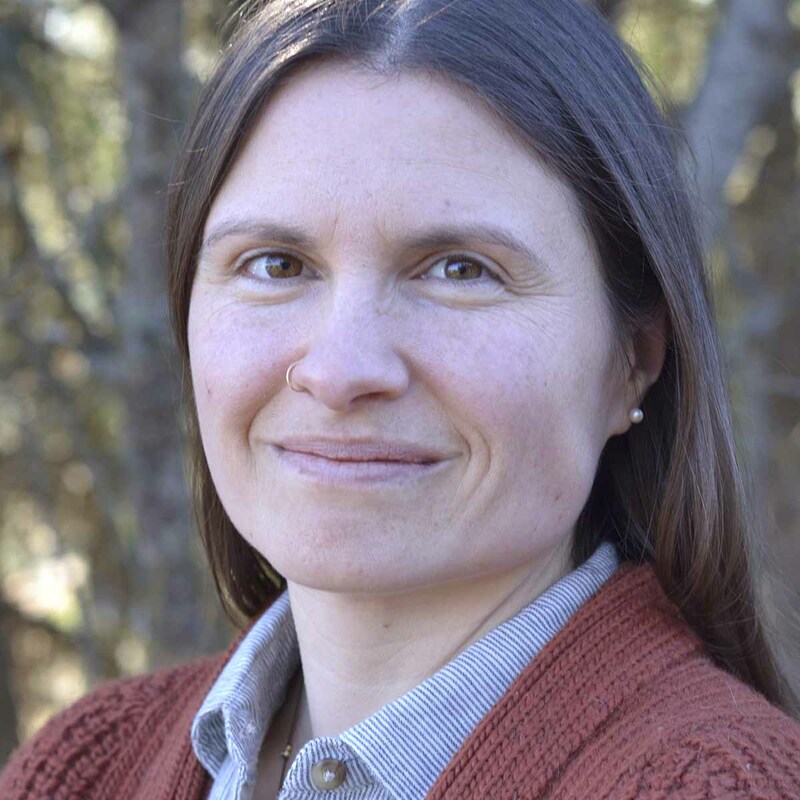 Her programming efforts focus on livestock and forage education for surrounding producers. 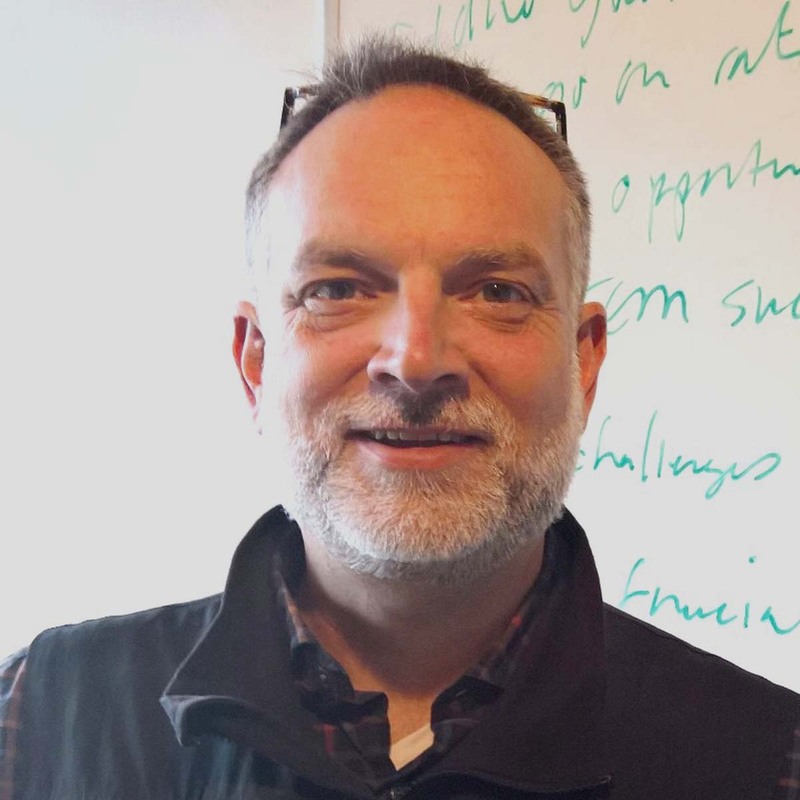 As a member of the state 4-H Youth Development team, Jim provides leadership in program development and 4-H volunteer management for the 10 northern Idaho counties. He also provides statewide leadership for the Idaho 4-H horse and rapidly growing shooting sports programs. 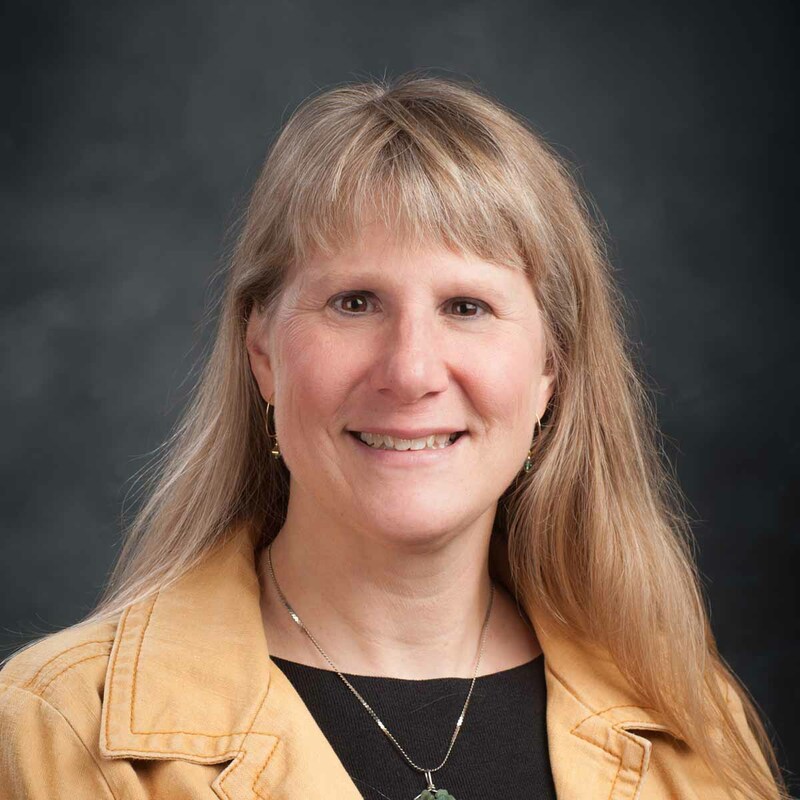 Sharla Wilson serves as the 4-H Extension educator for Kootenai County and is an assistant professor with the University of Idaho. Wilson oversees 4-H Youth Development programming in Kootenai and Shoshone counties. I provide leadership in the areas of food safety, food preservation, nutrition and youth development. I focus primarily on food preservation classes, hand washing education and cooking skills classes. Kattlyn Wolf received her B.S. in Animal Science in 2000 and her B.S. in Vocational Agriculture in 2002 from the University of Wyoming. She was a member of the Collegiate Meat Judging Team, Sigma Alpha, Alpha Tau Alpha, Block and Bridle and Collegiate FFA and was one of two College of Agriculture Senators in the Associated Students of the University of Wyoming. She received her honorary state FFA degree from Wyoming in 2005. James manages the Plant Clinic at Parma offering a range of diagnostic tests and advice to growers. 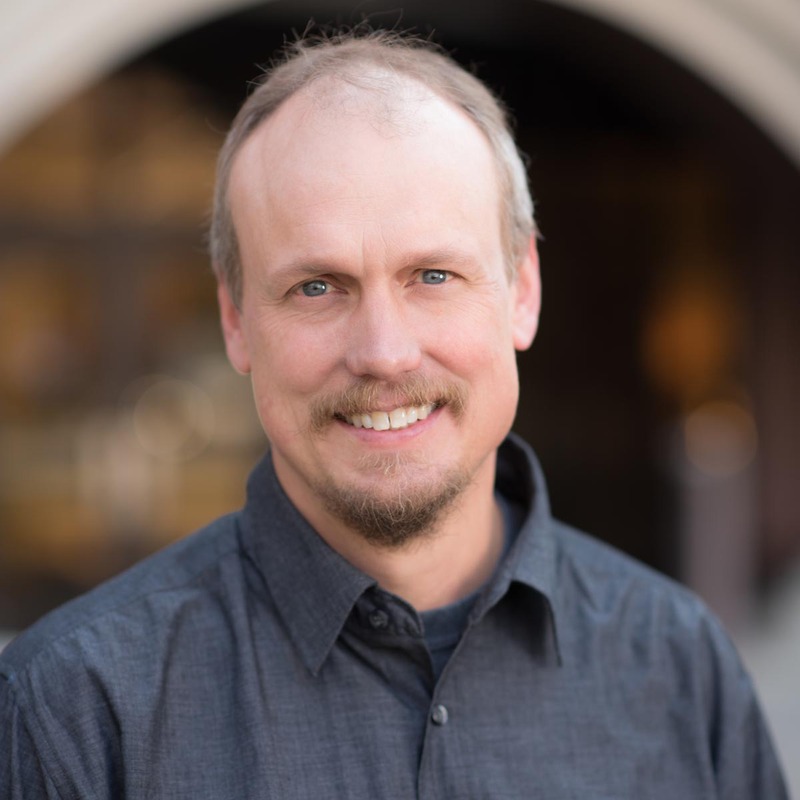 In addition, James has a research program characterizing plant pathogens and developing new diagnostic methods for diseases across a range of crops. My research focus is on modeling radiation, energy balance, sensible and latent heat fluxes in SVAT system both from micrometeorological measurement and remote sensing images.